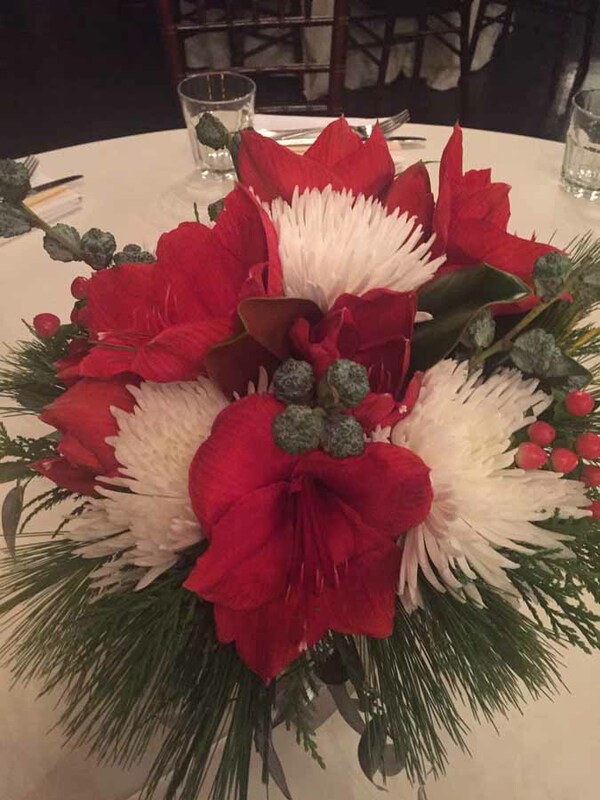 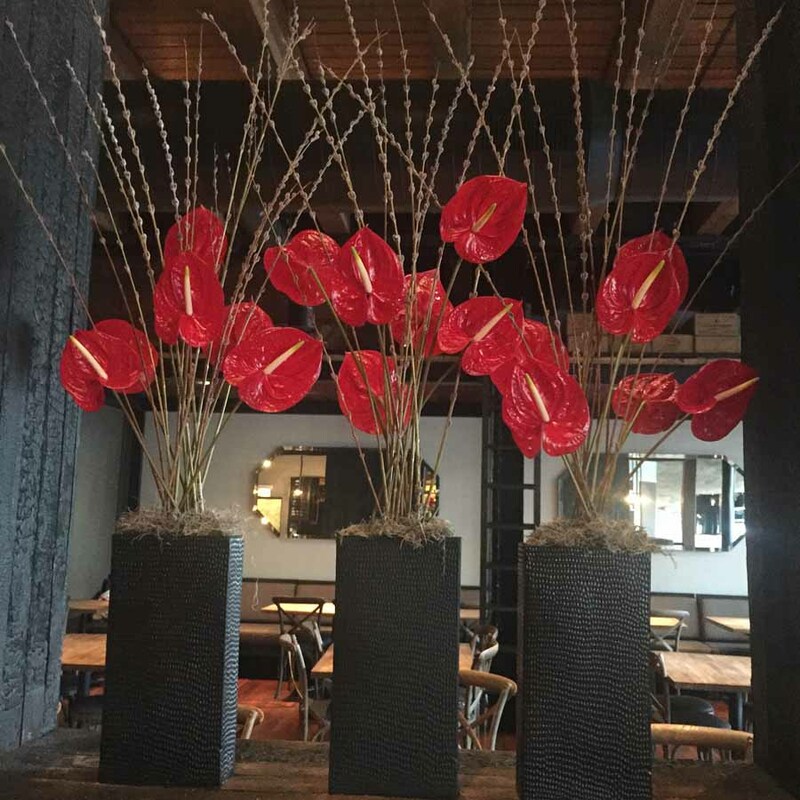 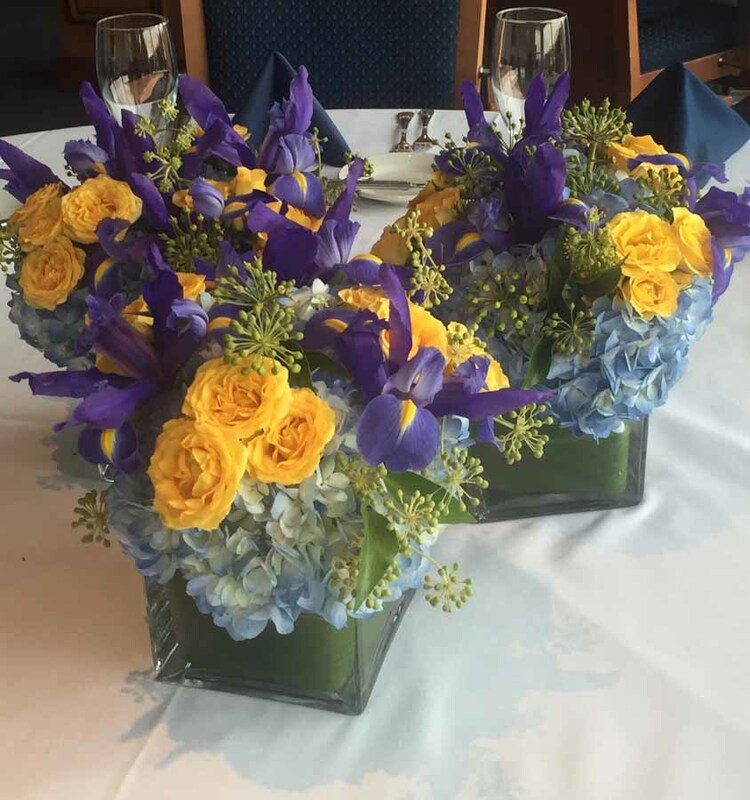 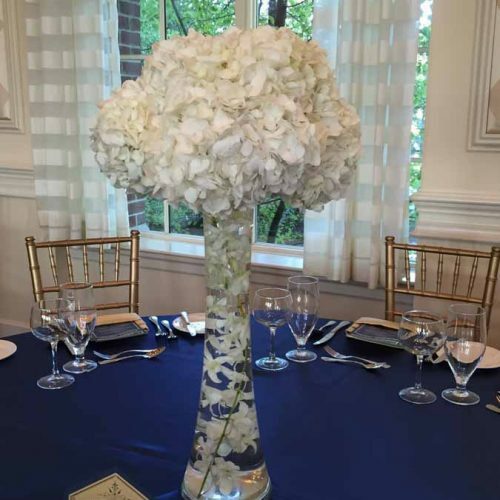 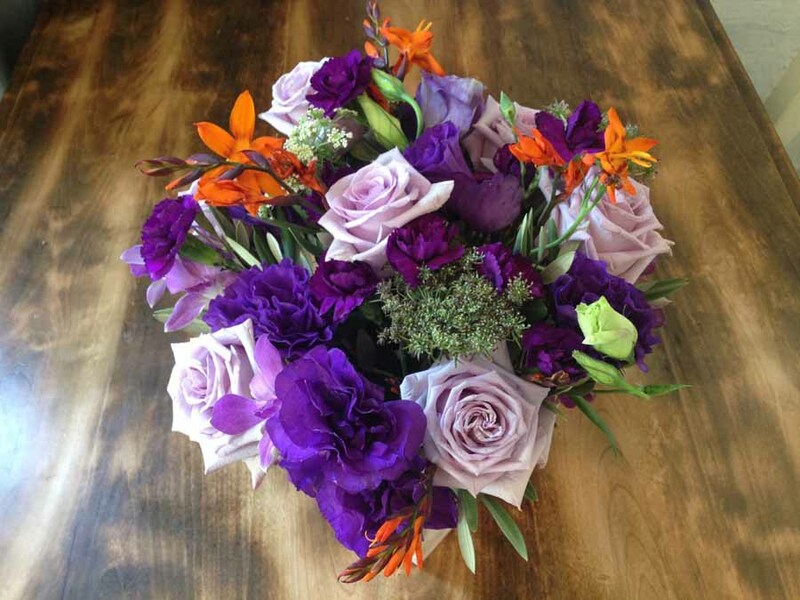 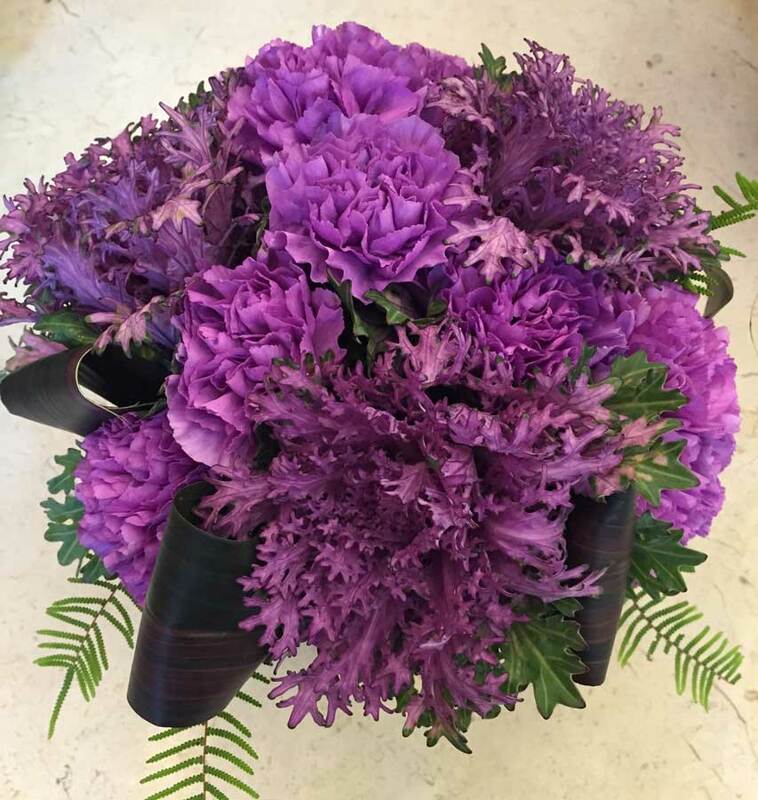 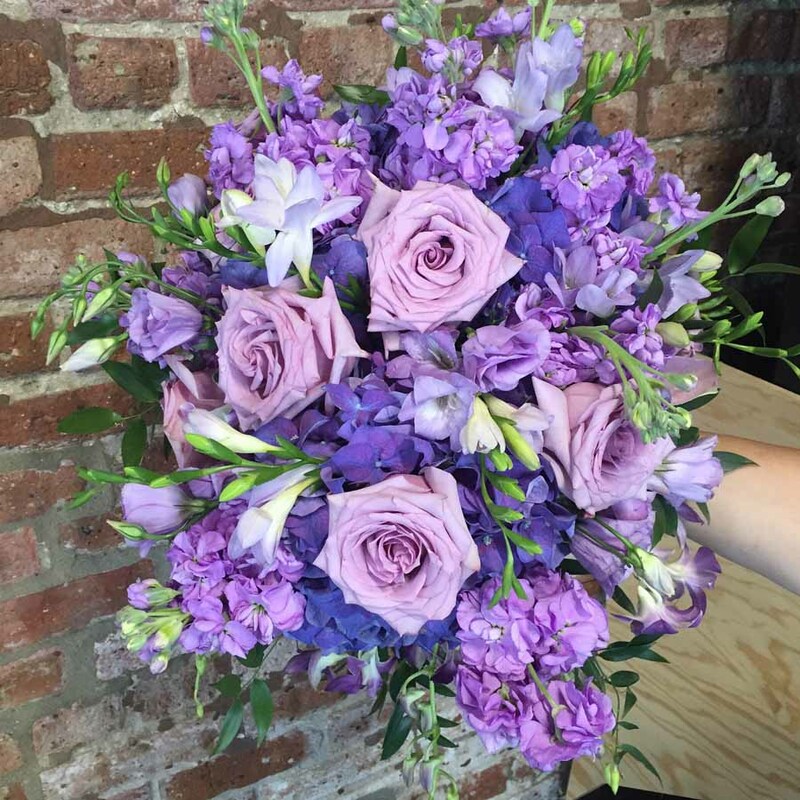 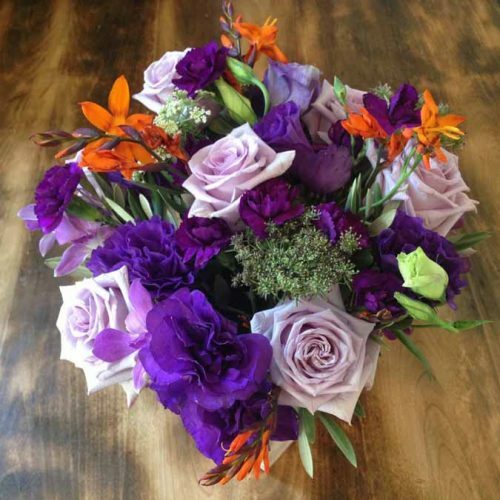 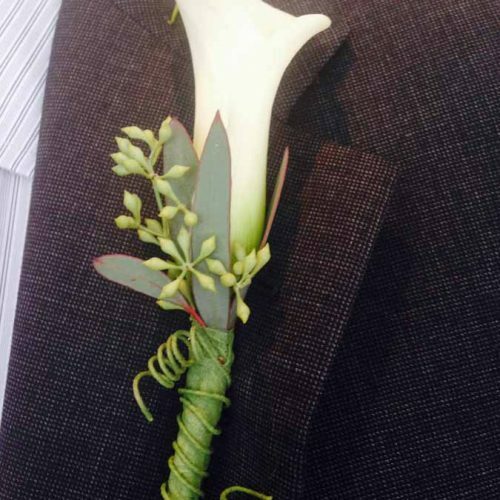 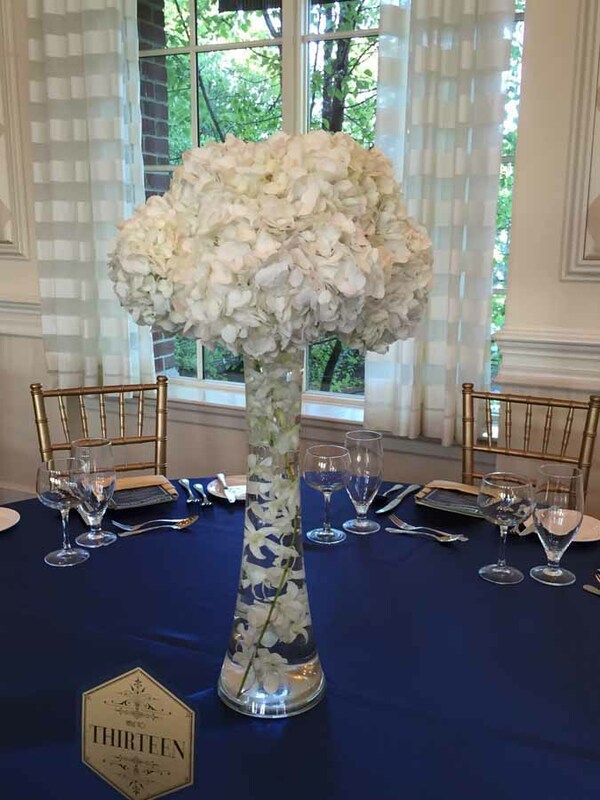 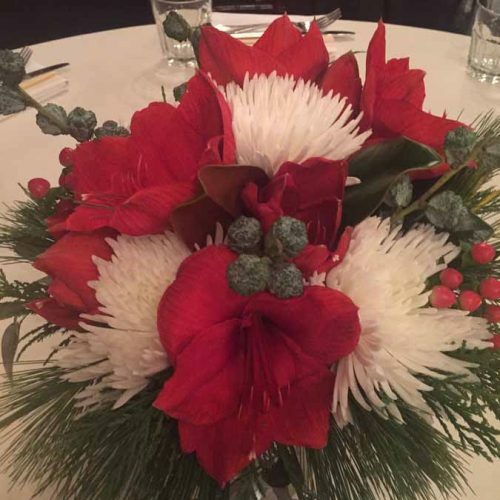 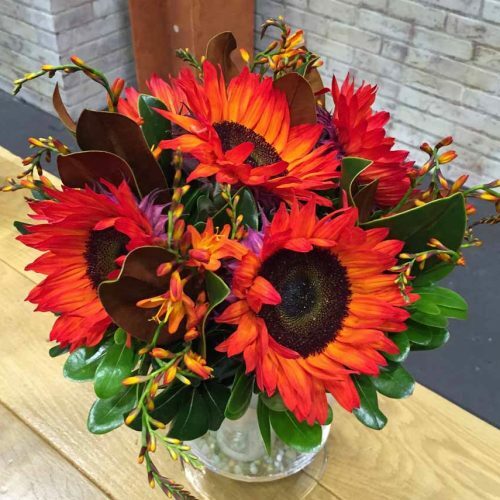 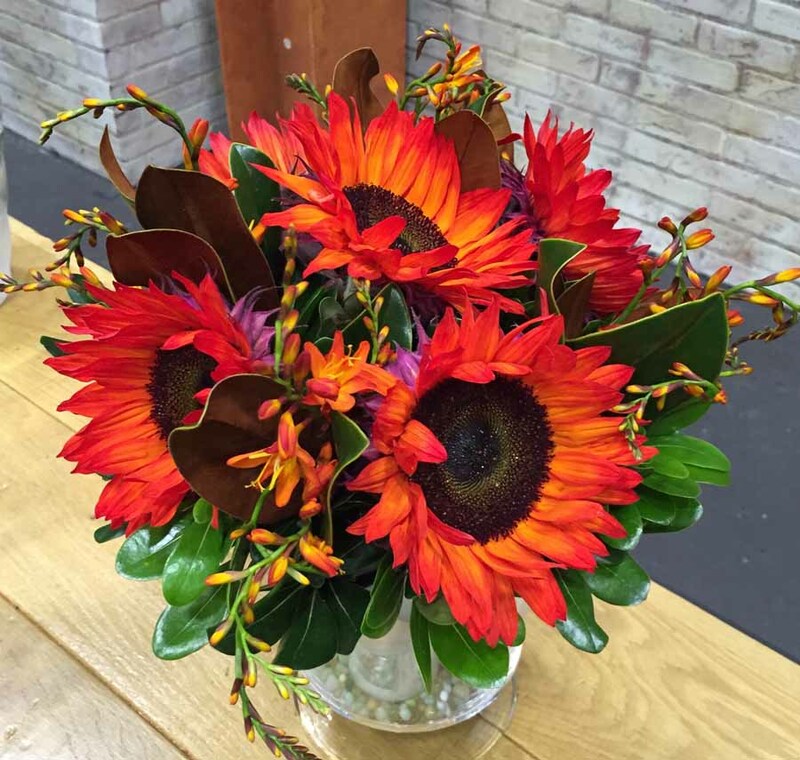 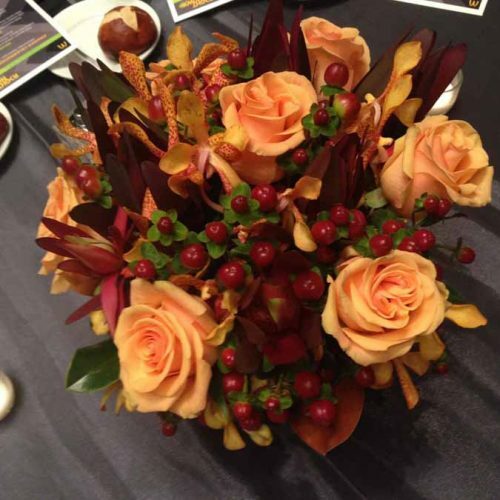 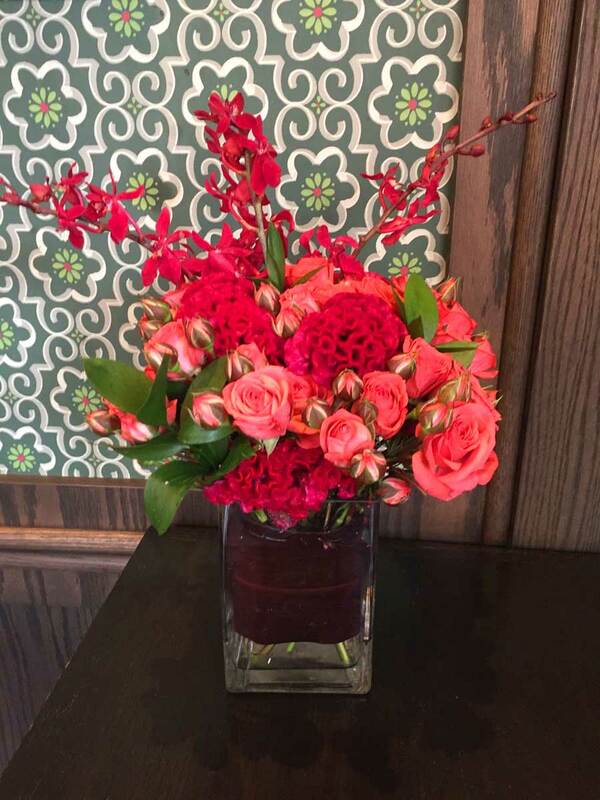 color & company creates floral art for all occasions. 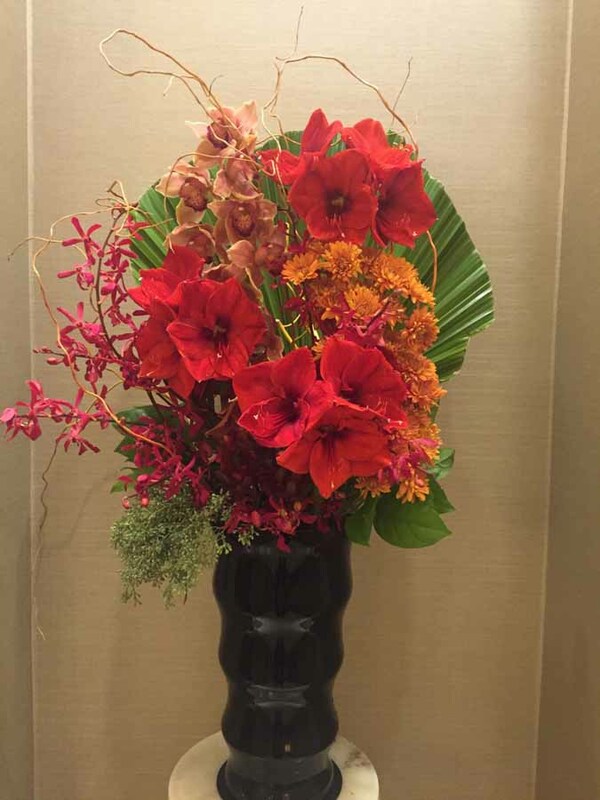 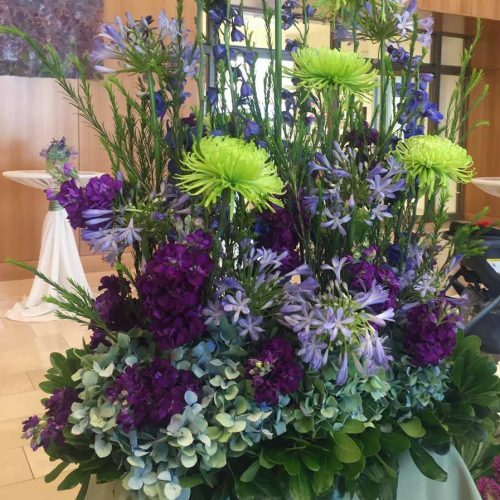 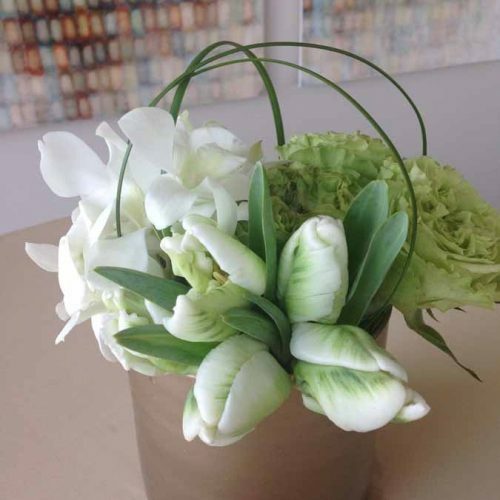 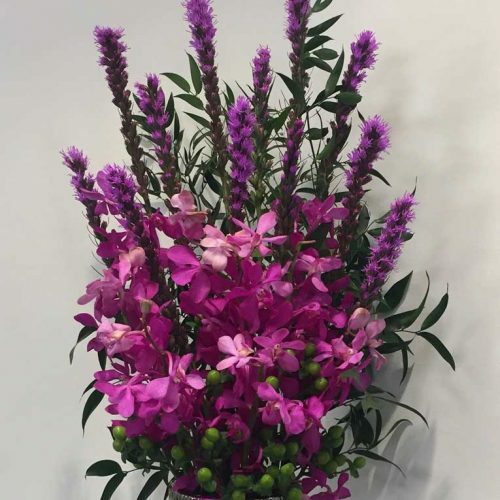 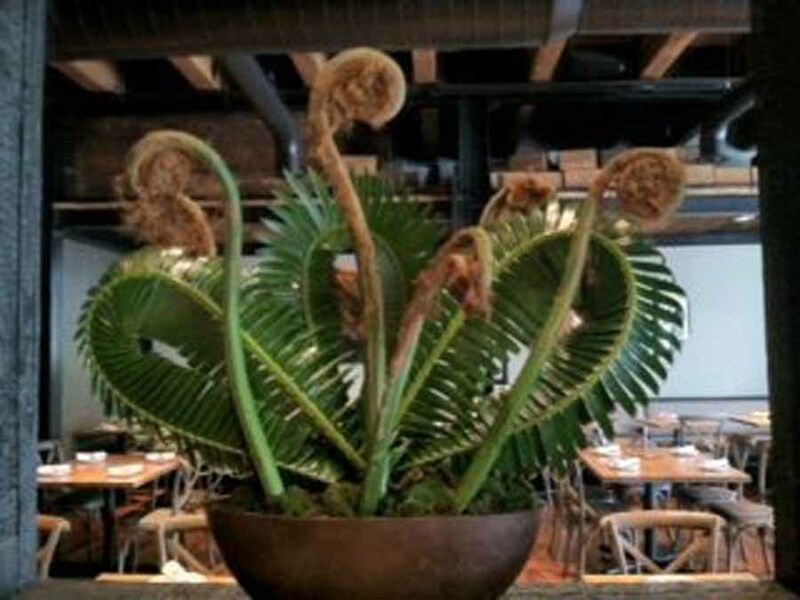 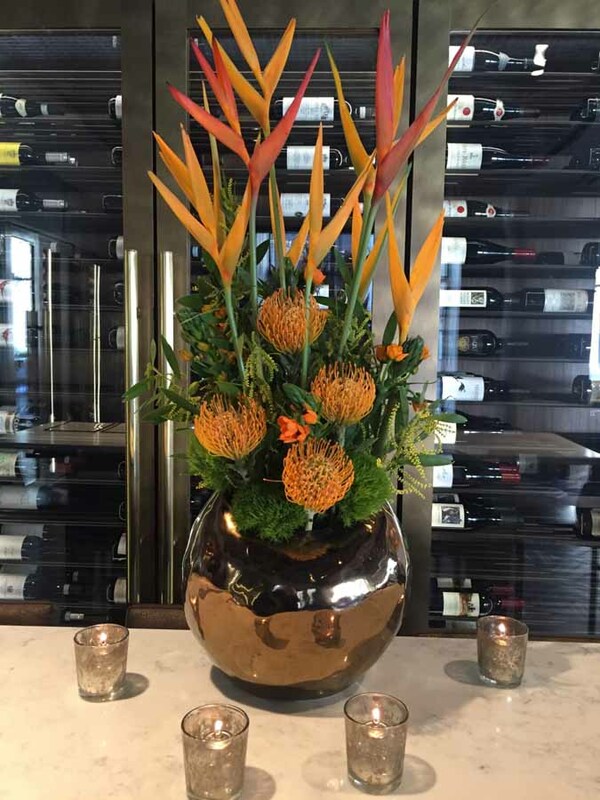 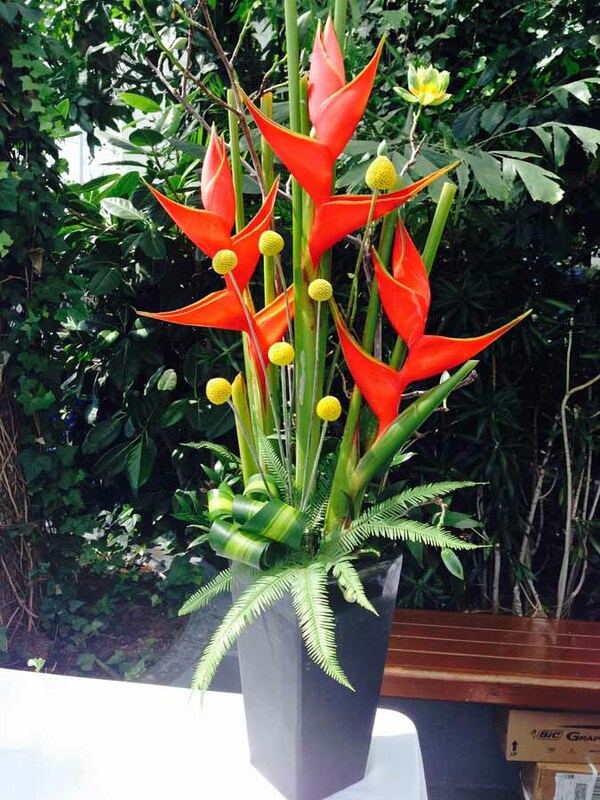 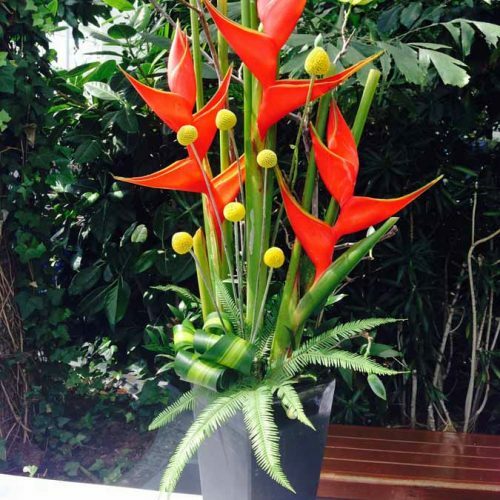 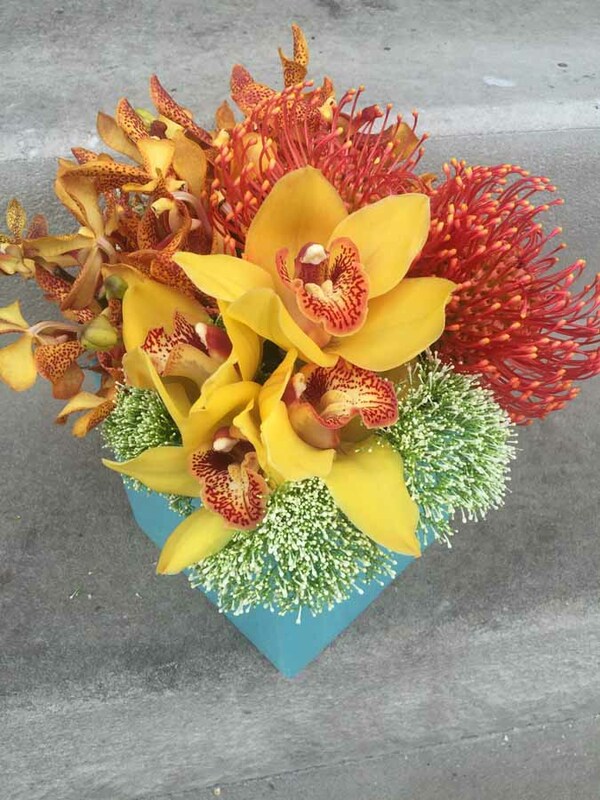 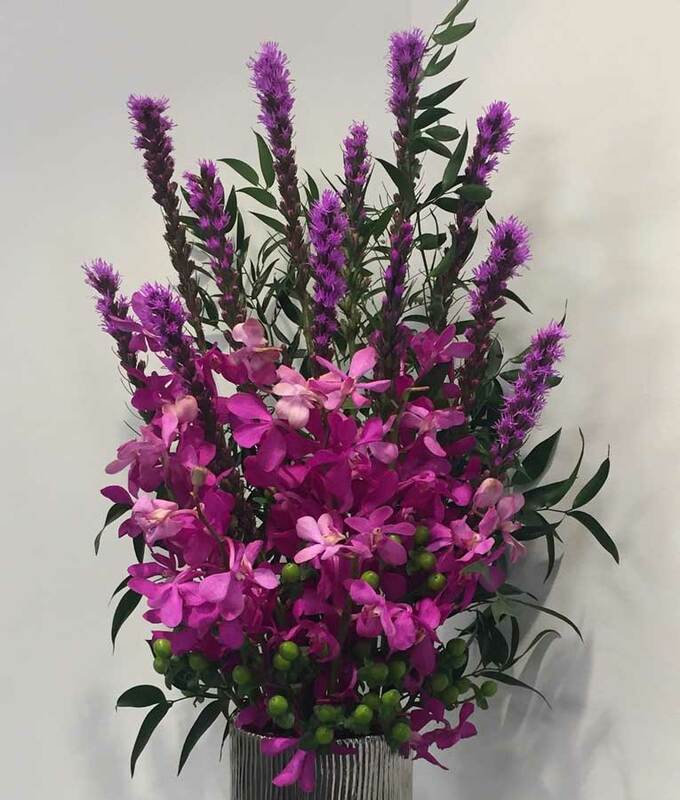 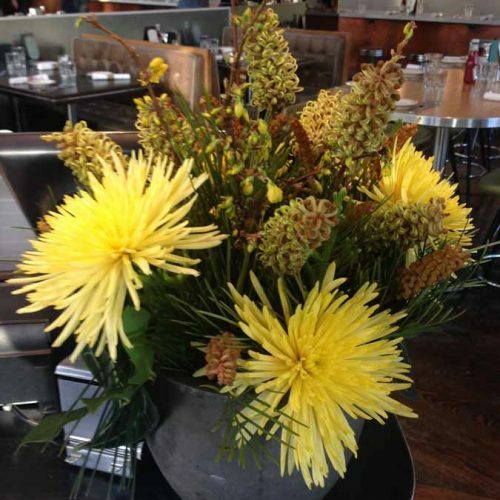 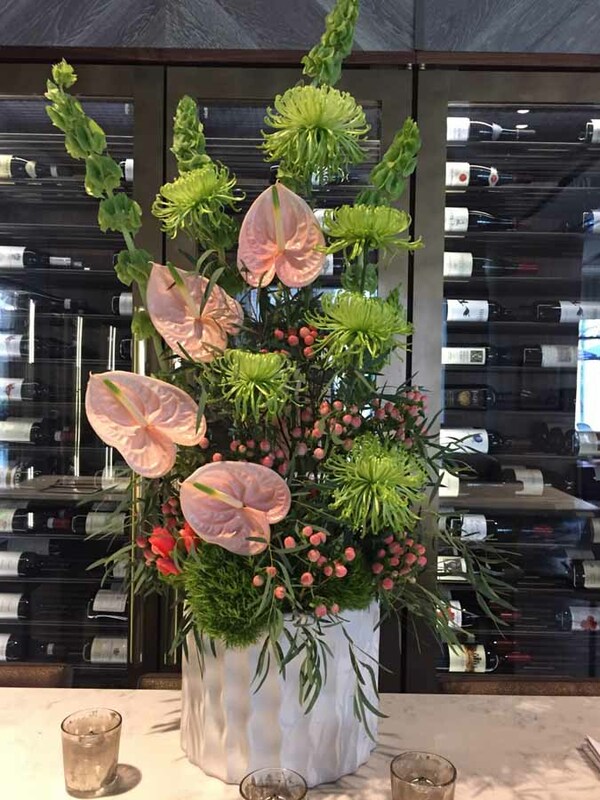 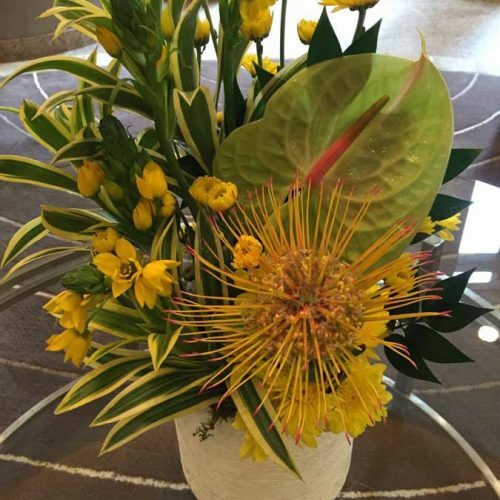 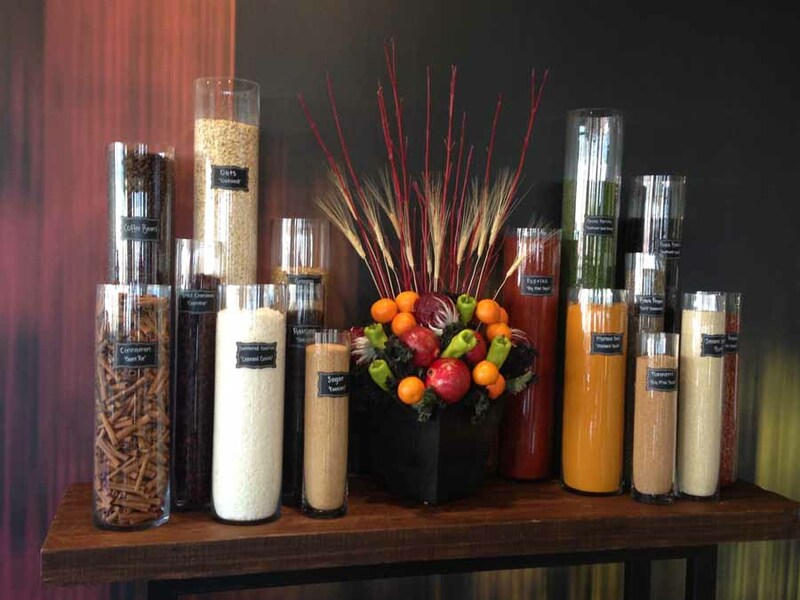 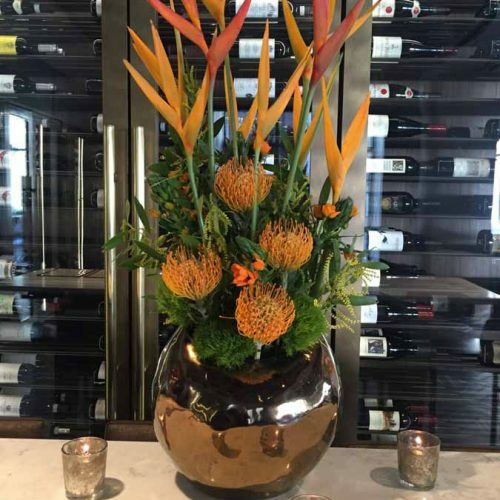 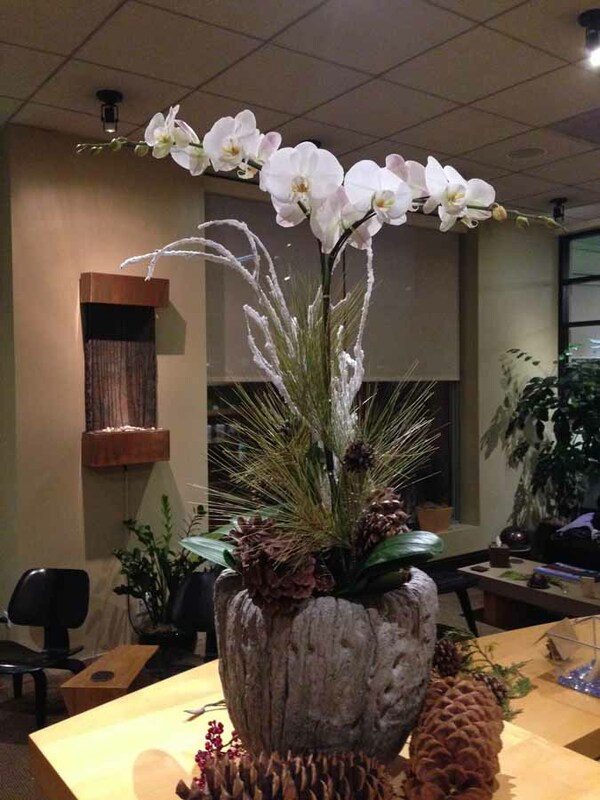 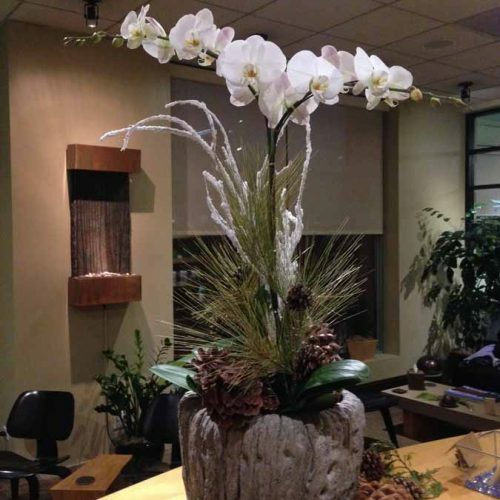 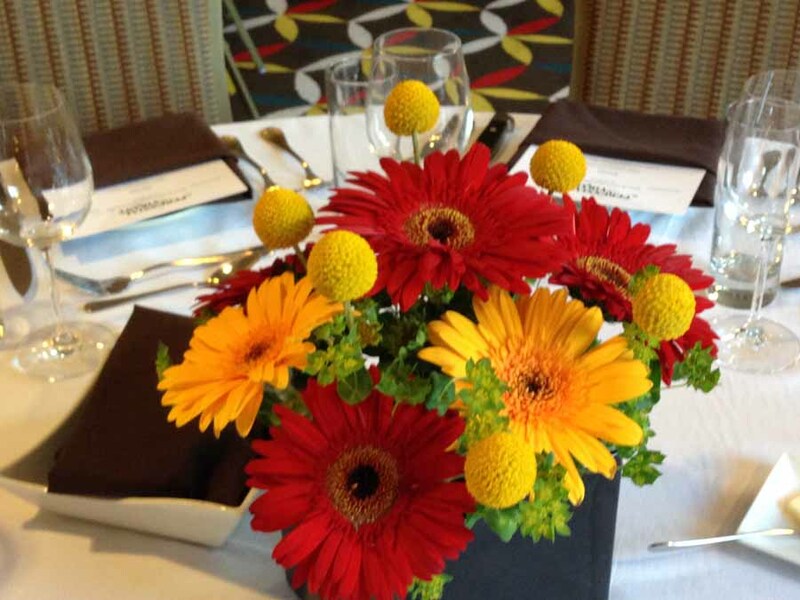 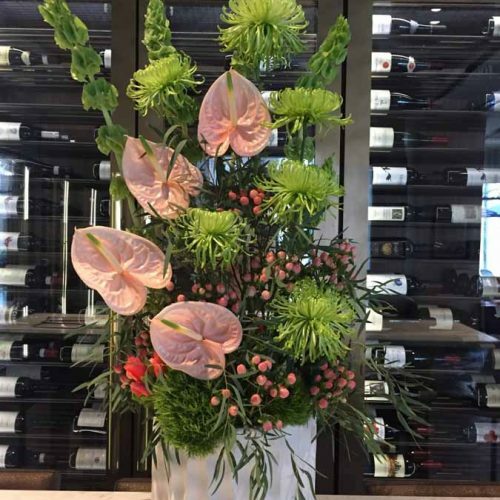 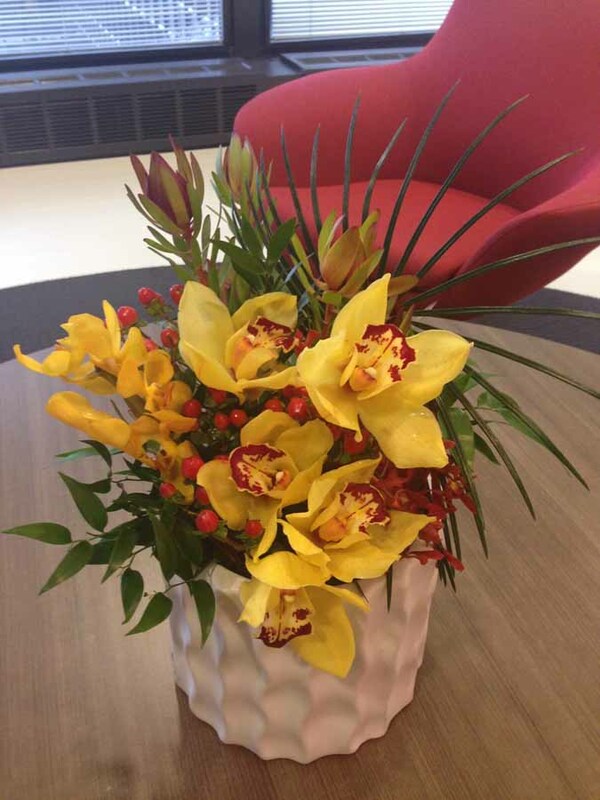 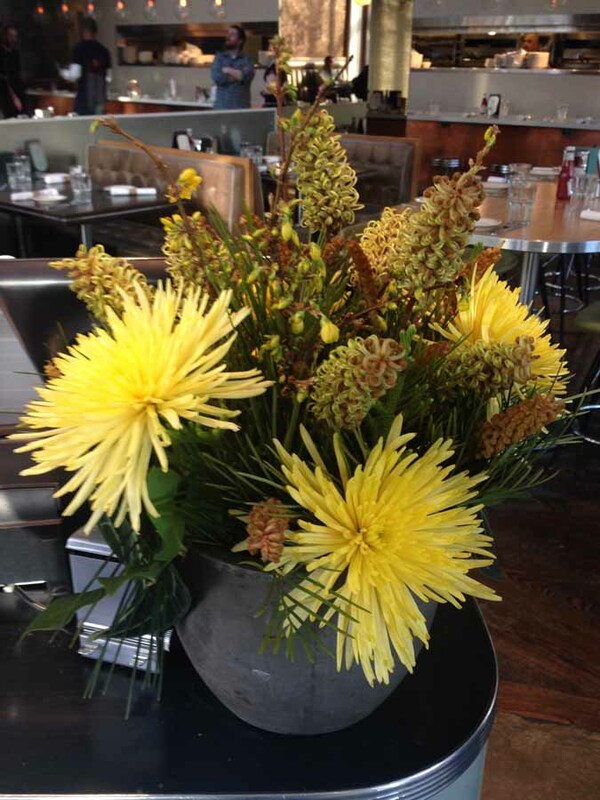 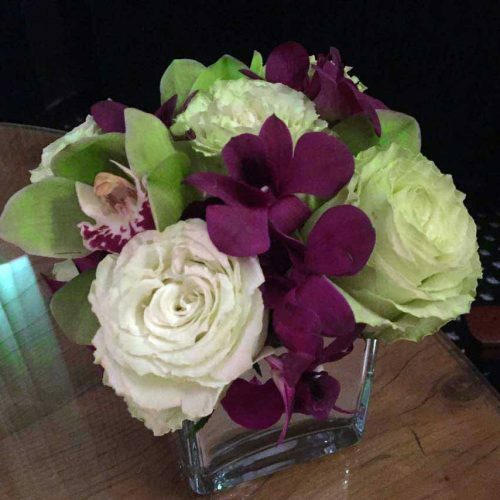 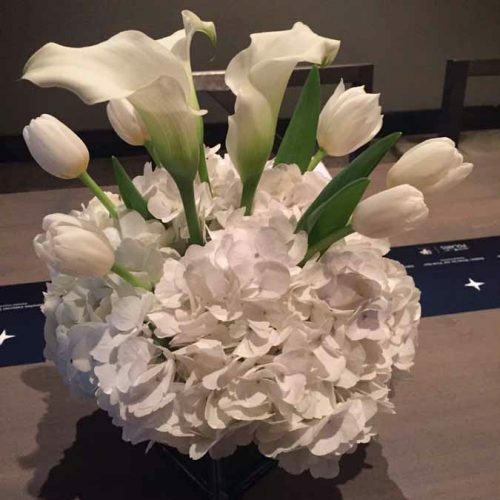 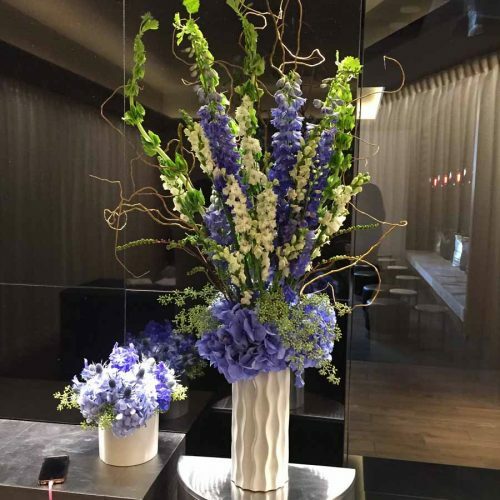 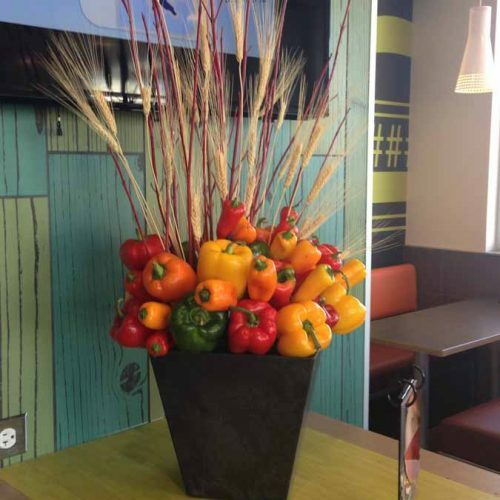 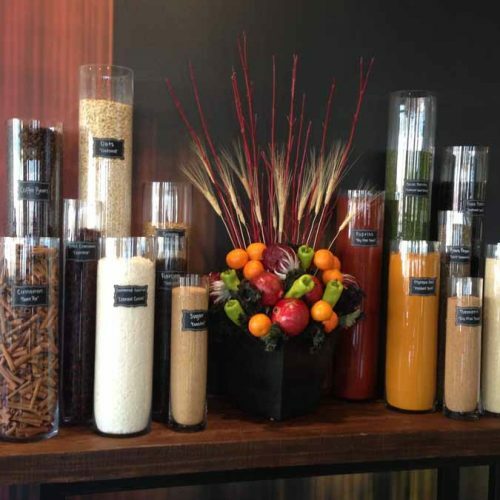 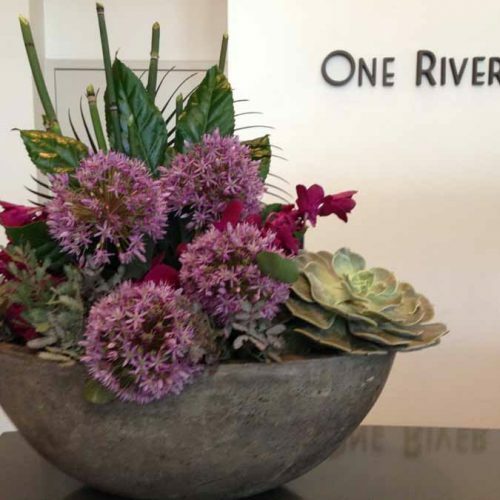 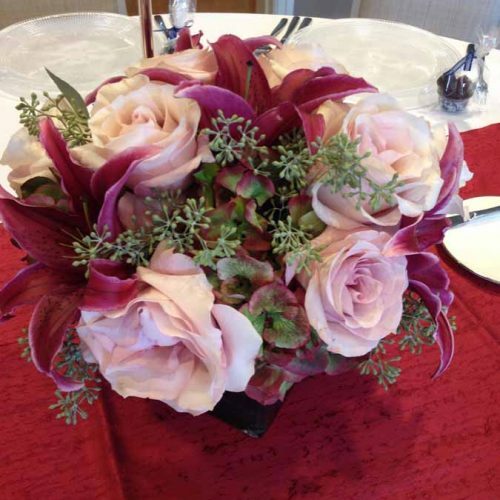 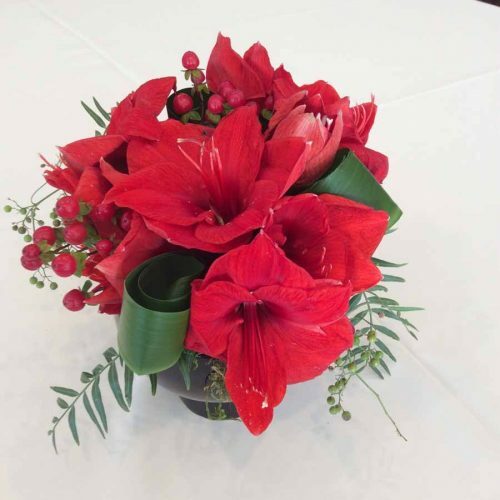 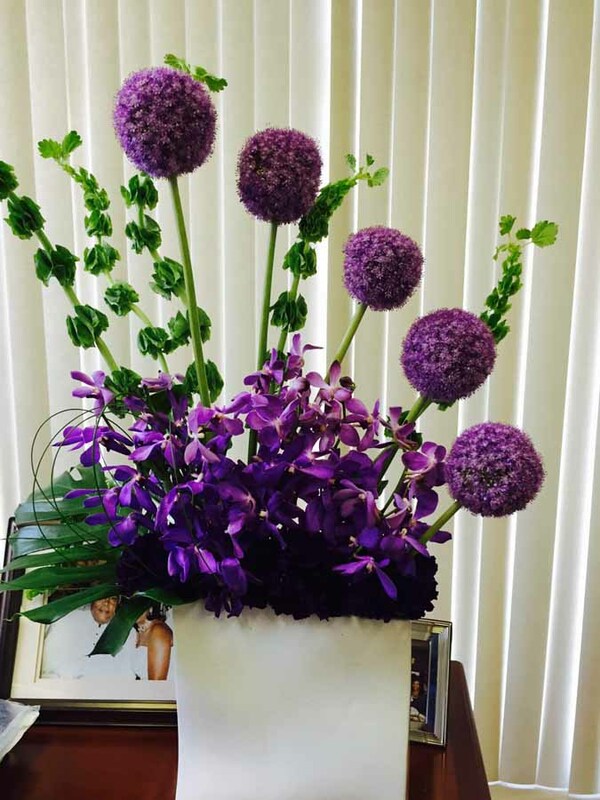 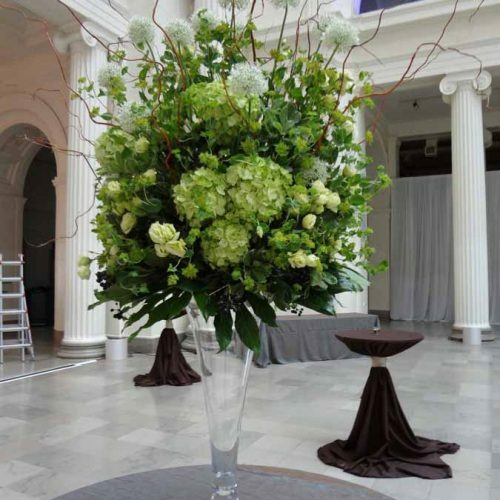 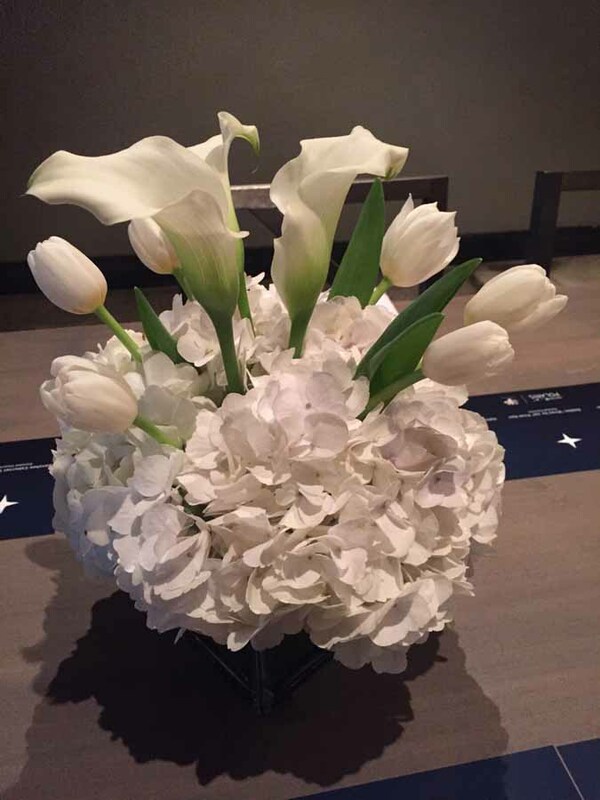 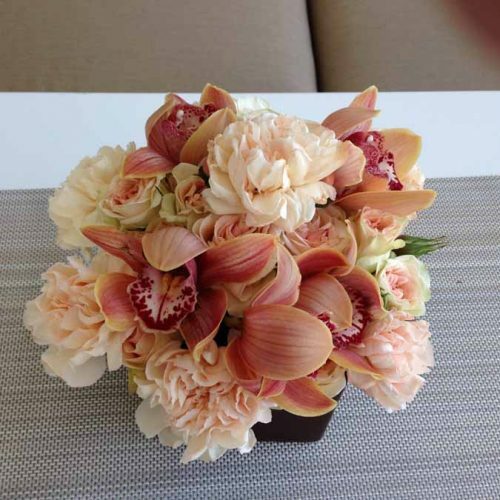 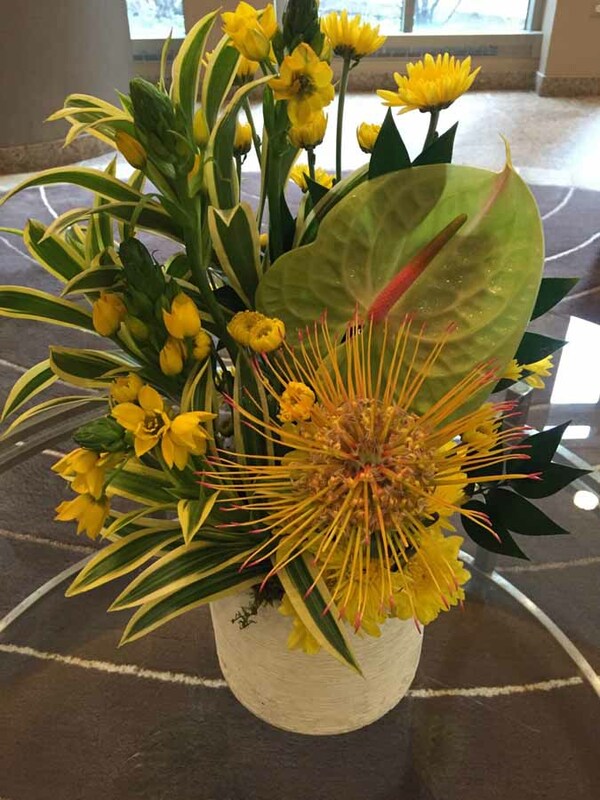 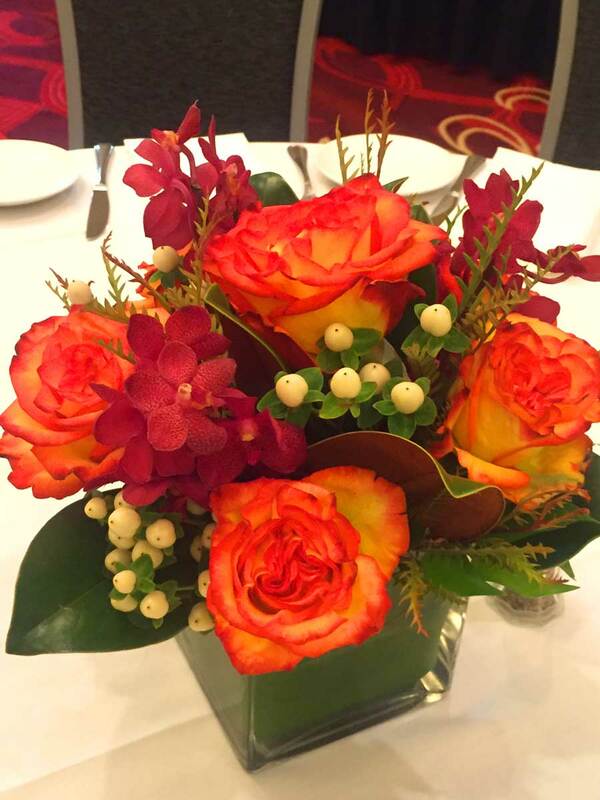 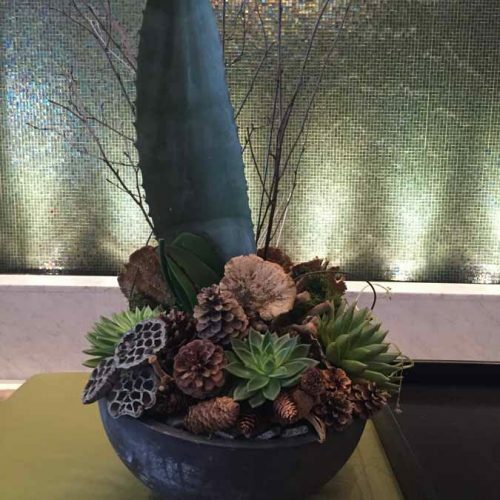 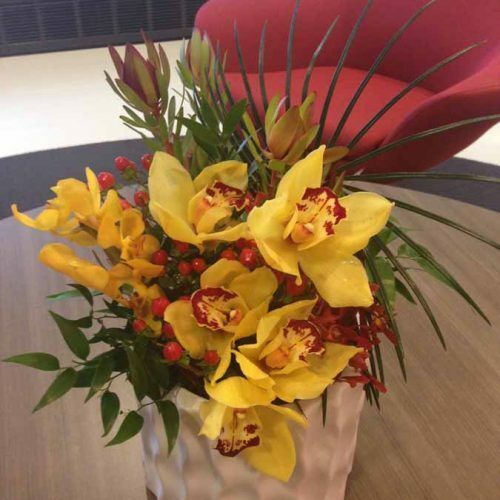 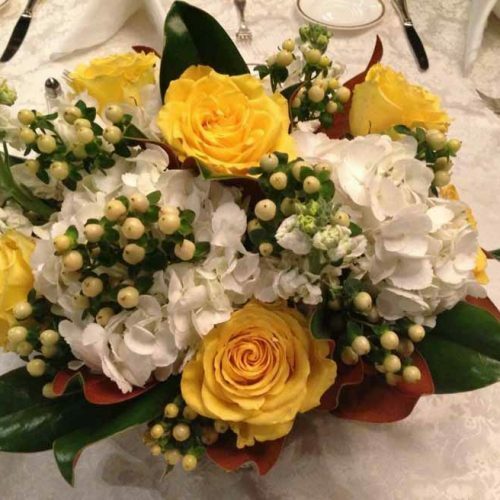 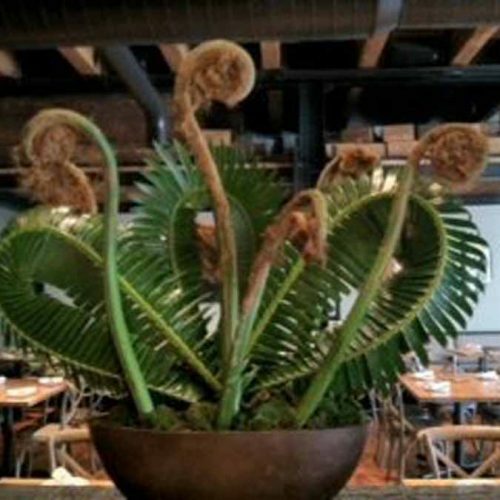 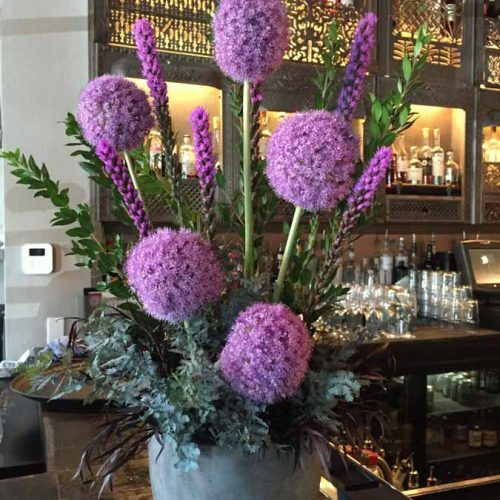 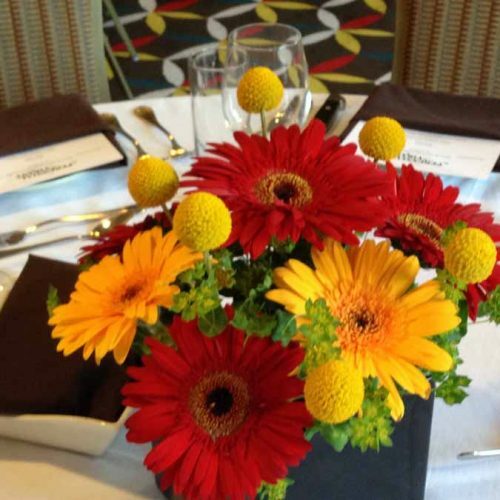 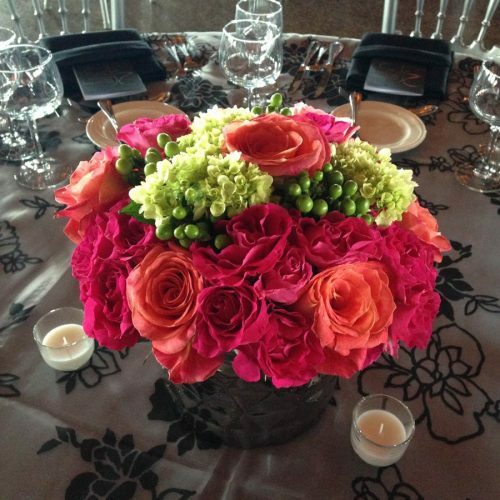 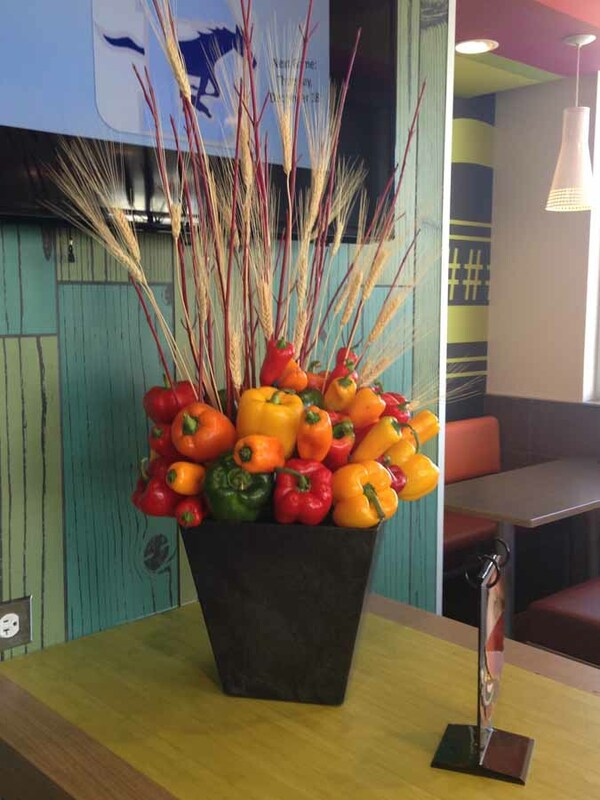 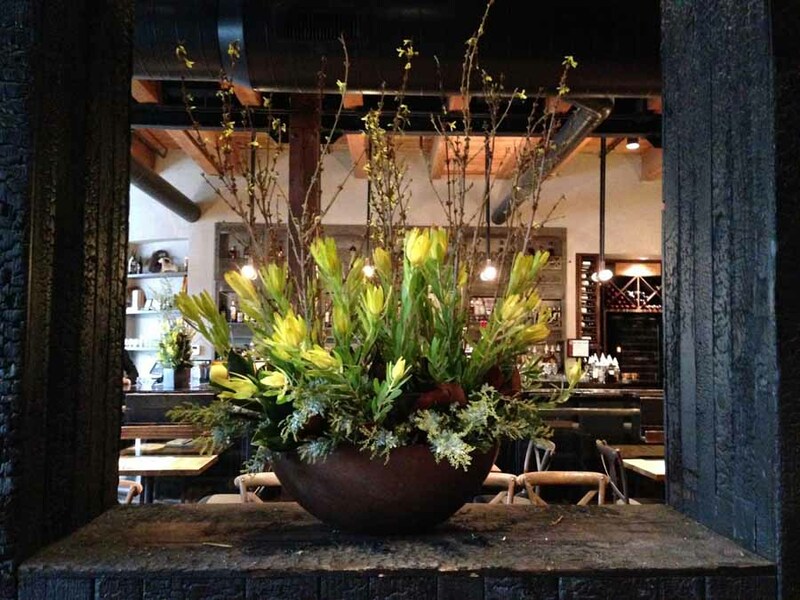 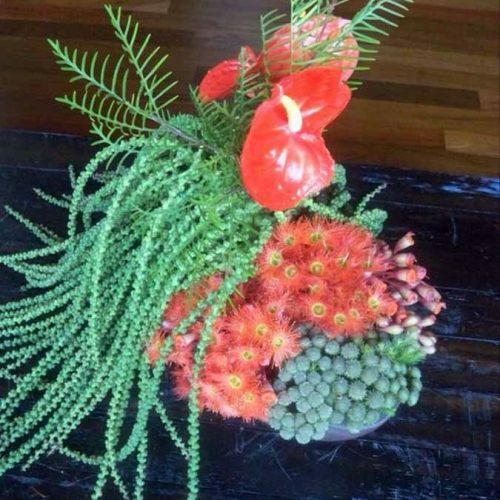 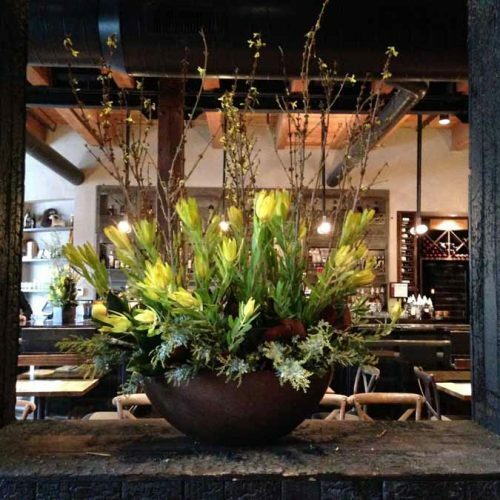 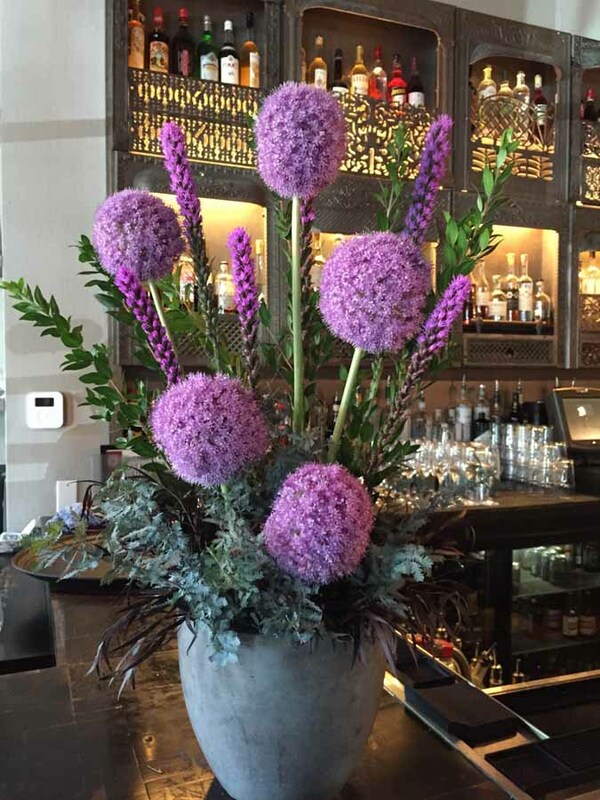 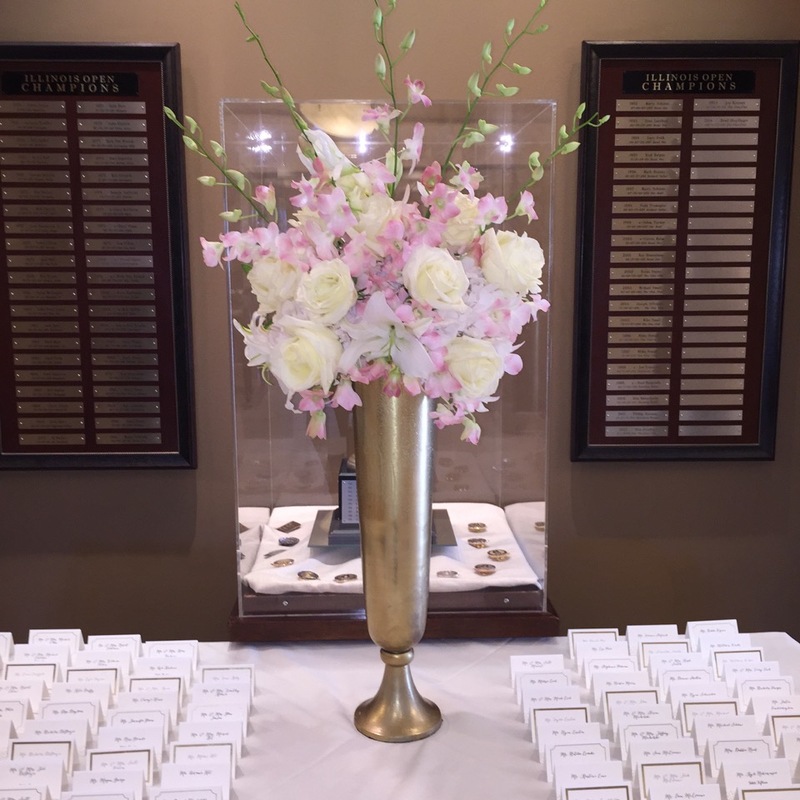 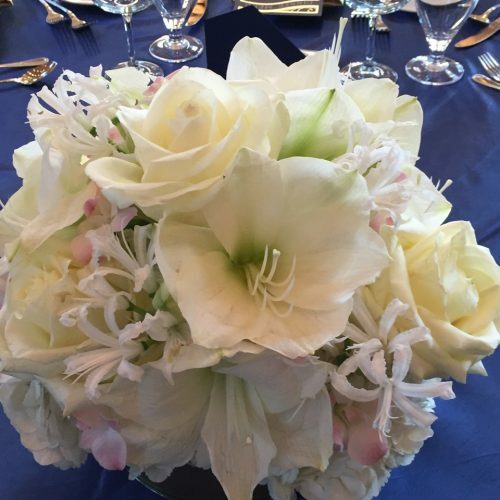 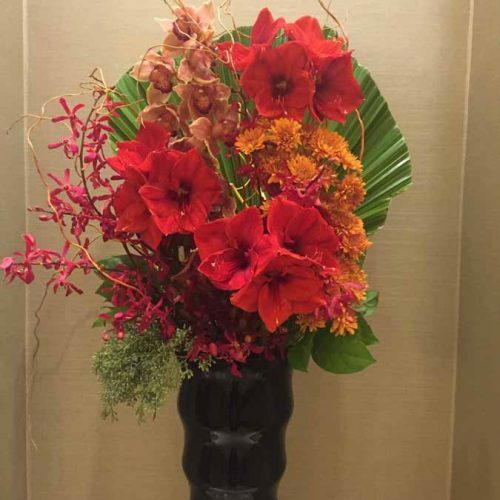 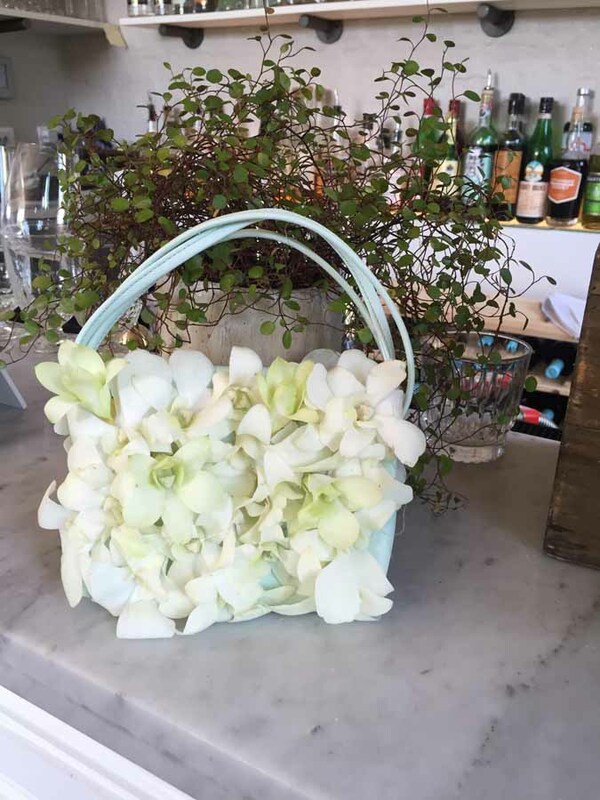 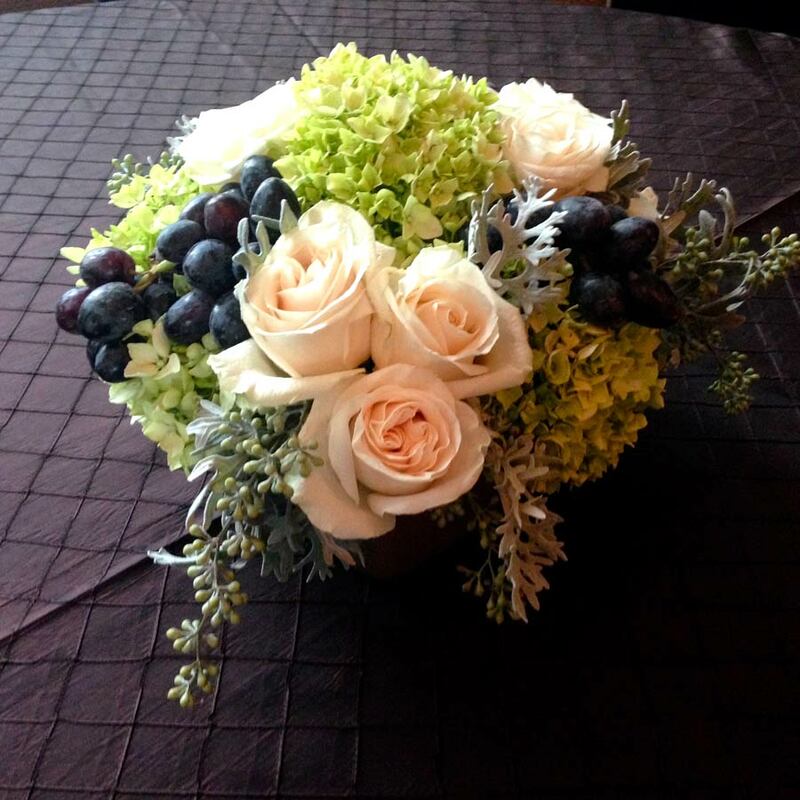 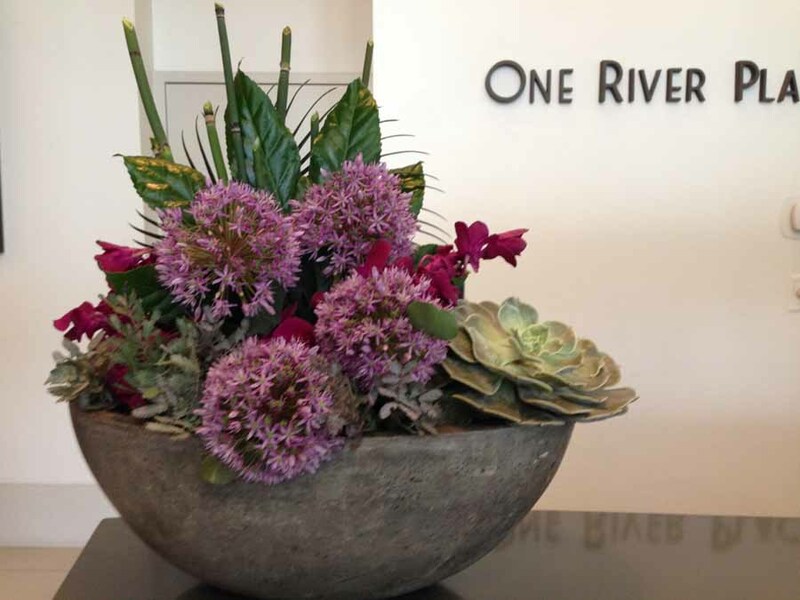 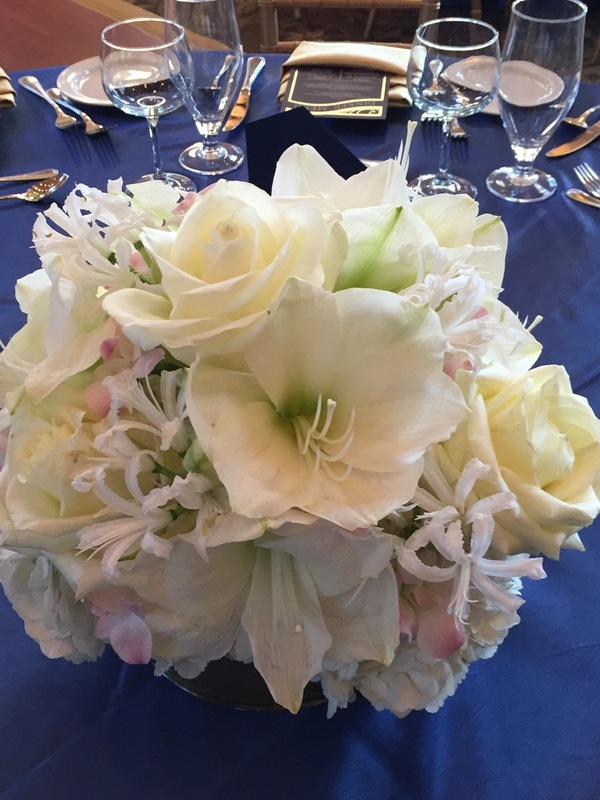 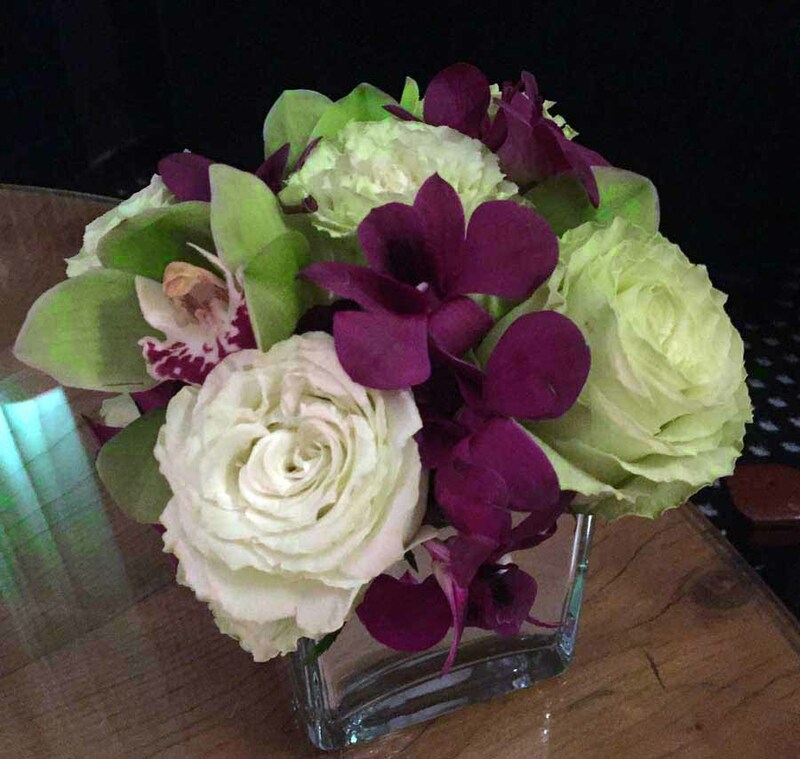 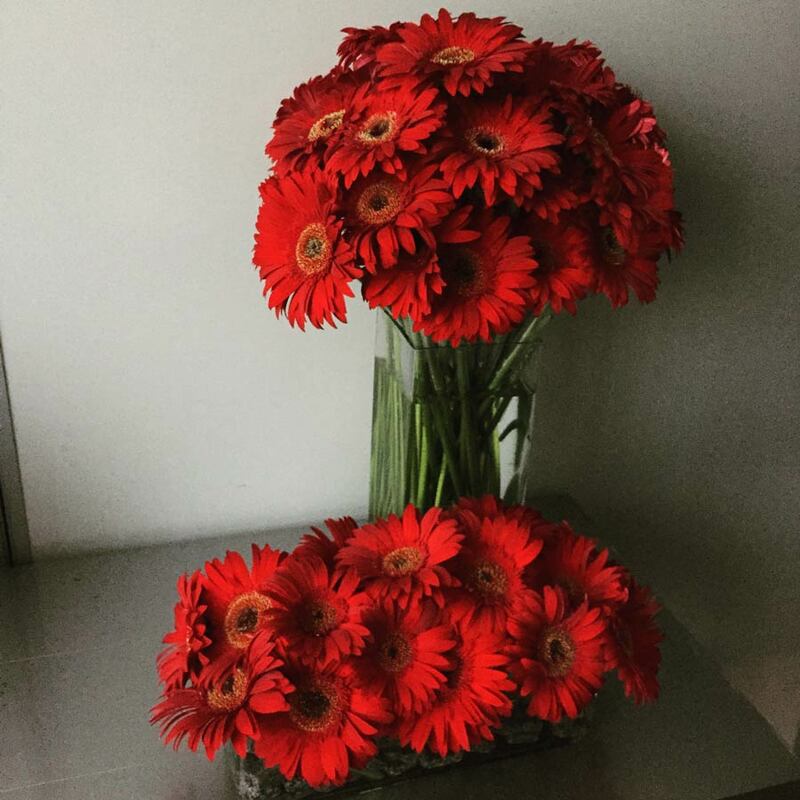 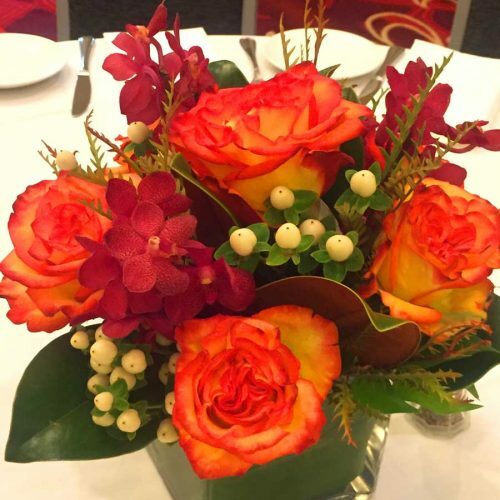 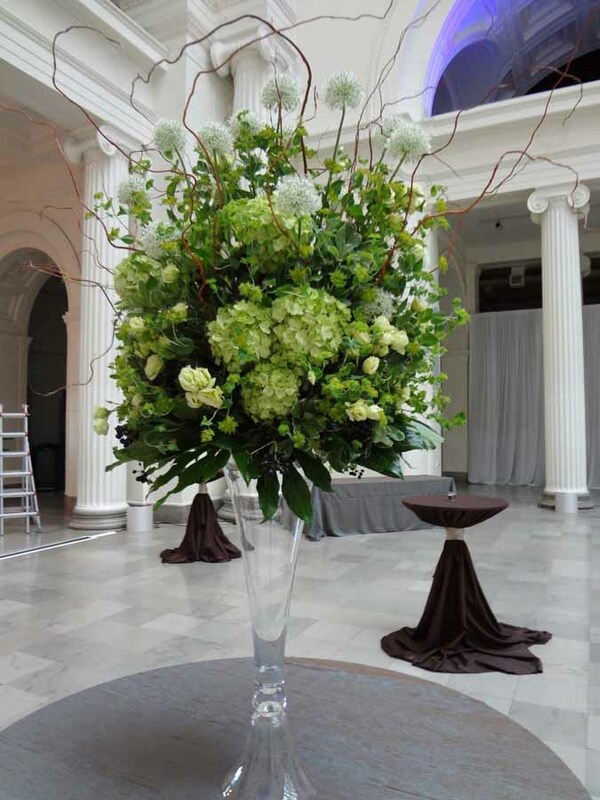 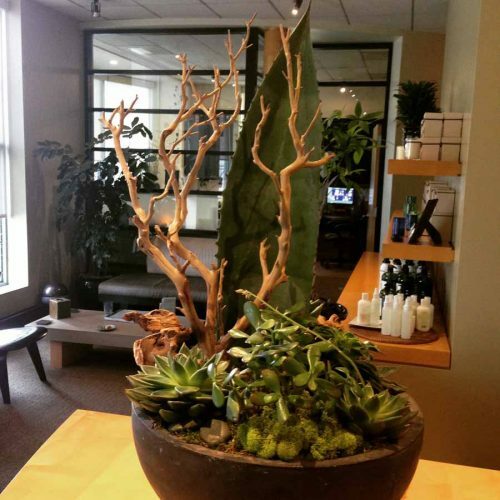 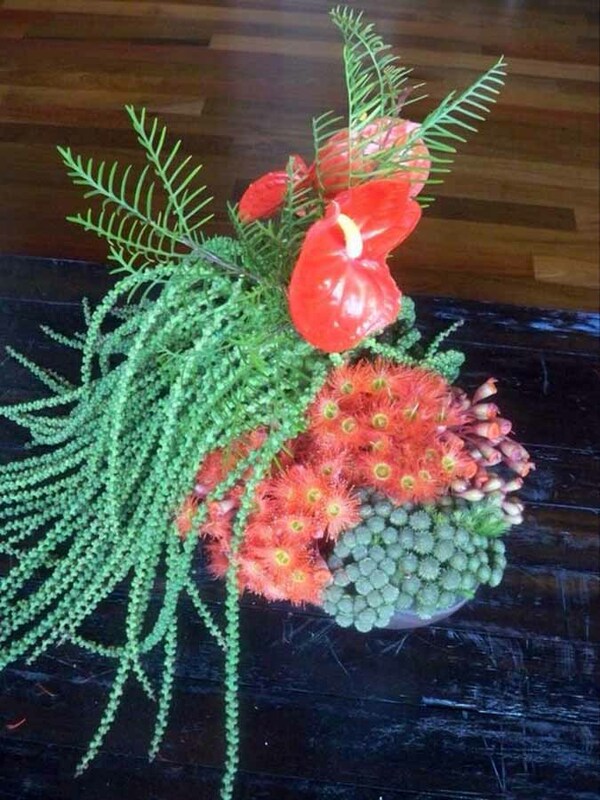 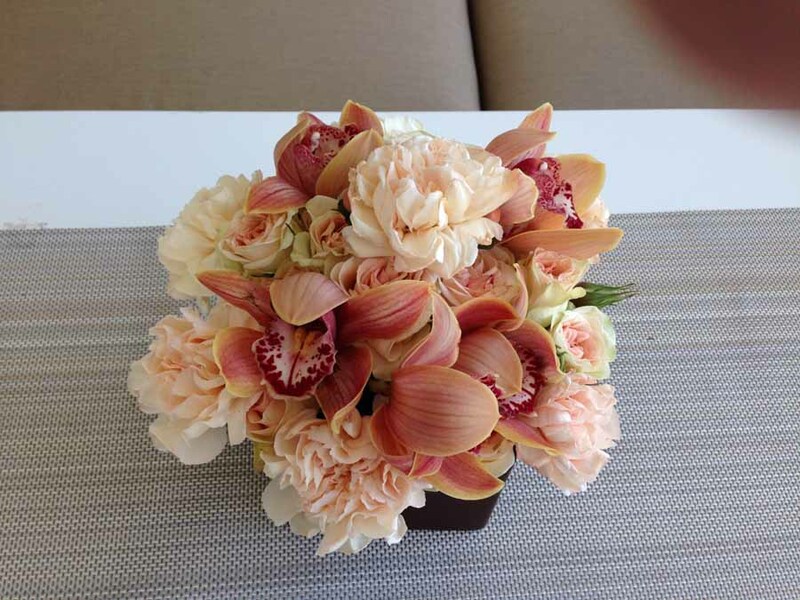 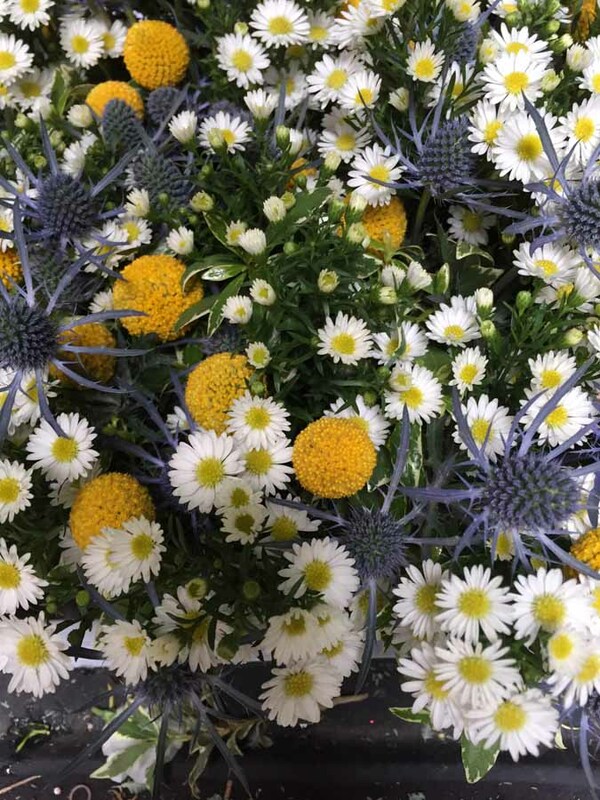 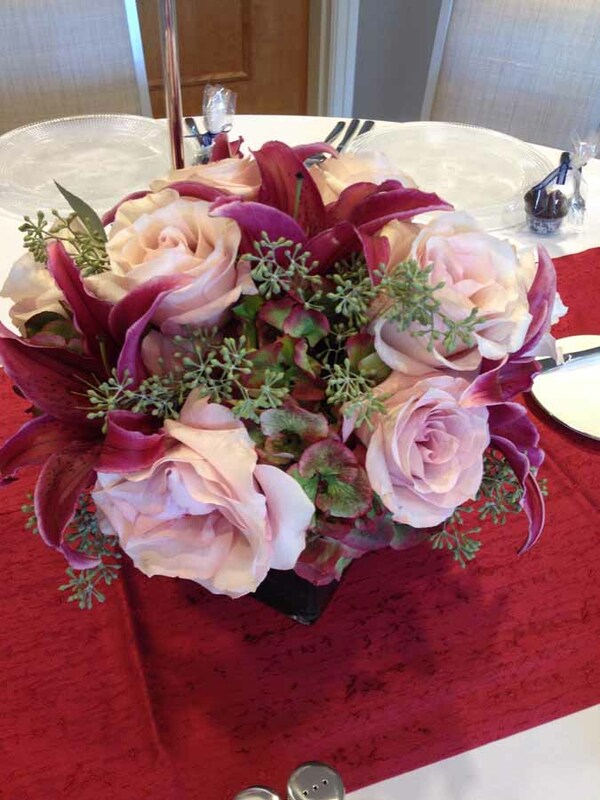 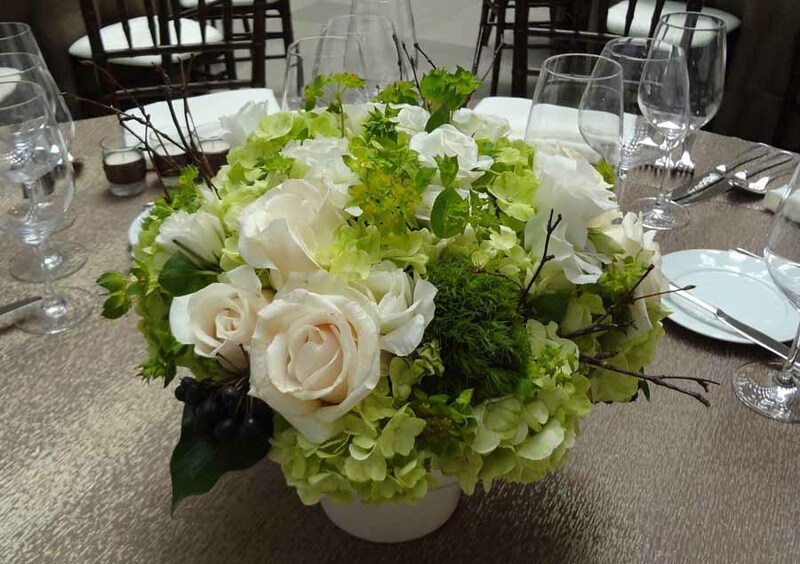 We offer weekly floral service for restaurants, lobbies and corporate offices. 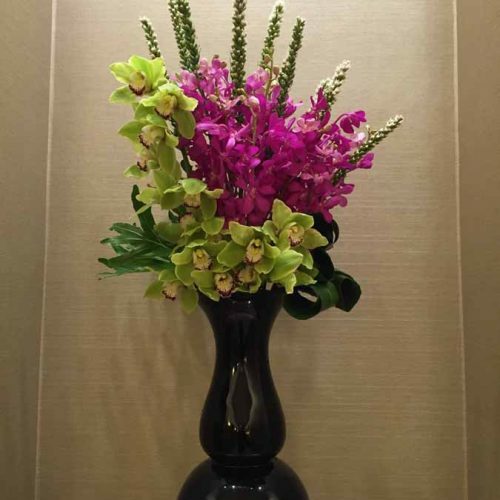 All our work is custom designed to accent your environment with vivid color transforming your surroundings. 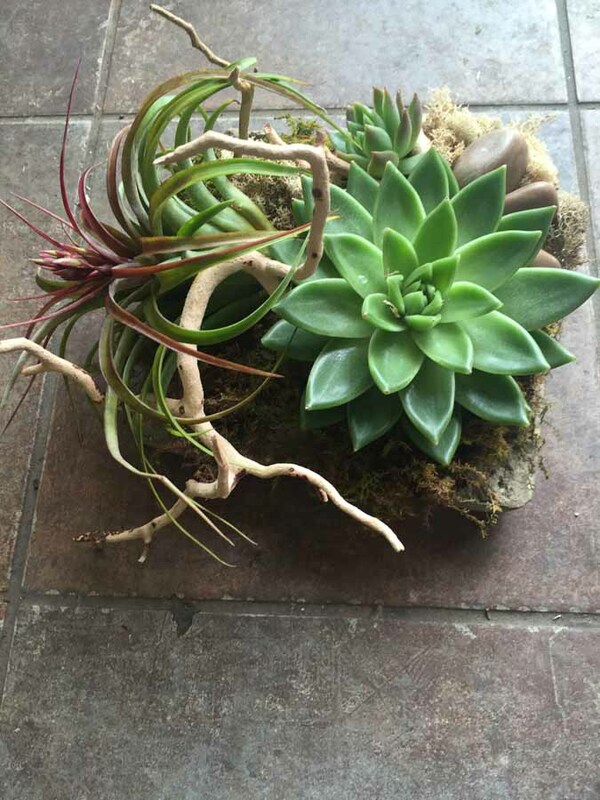 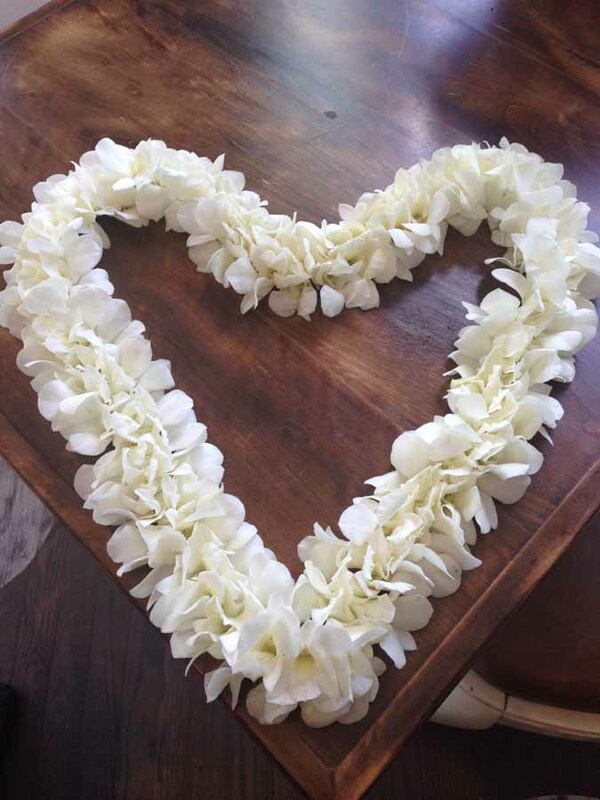 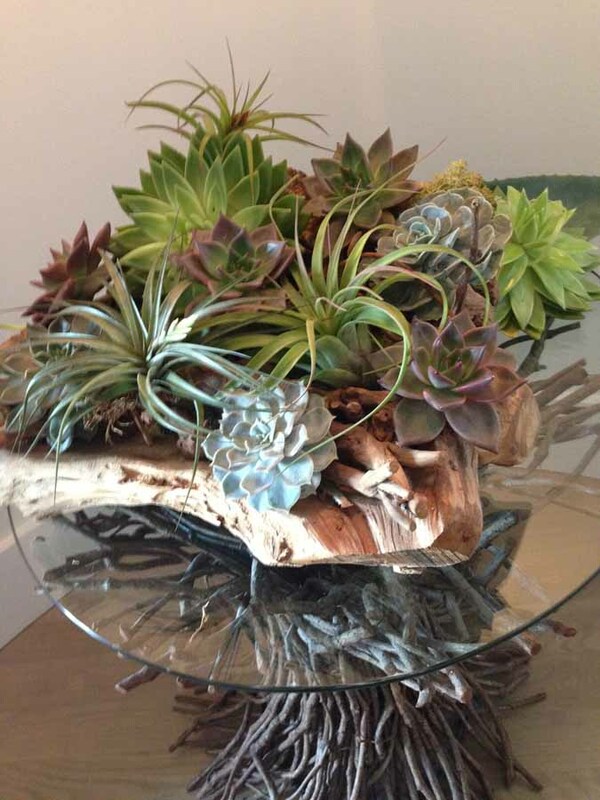 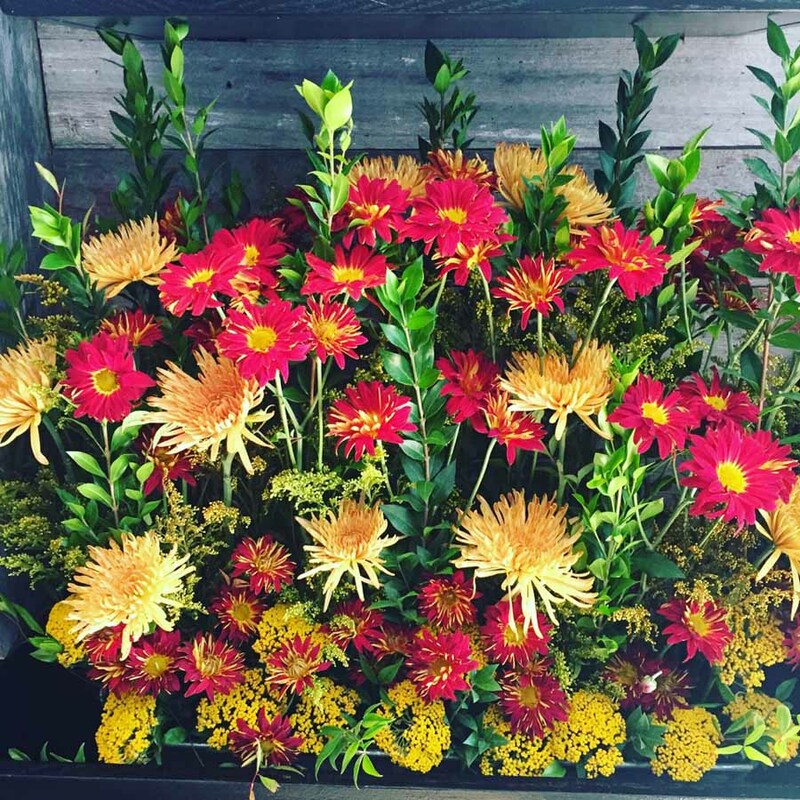 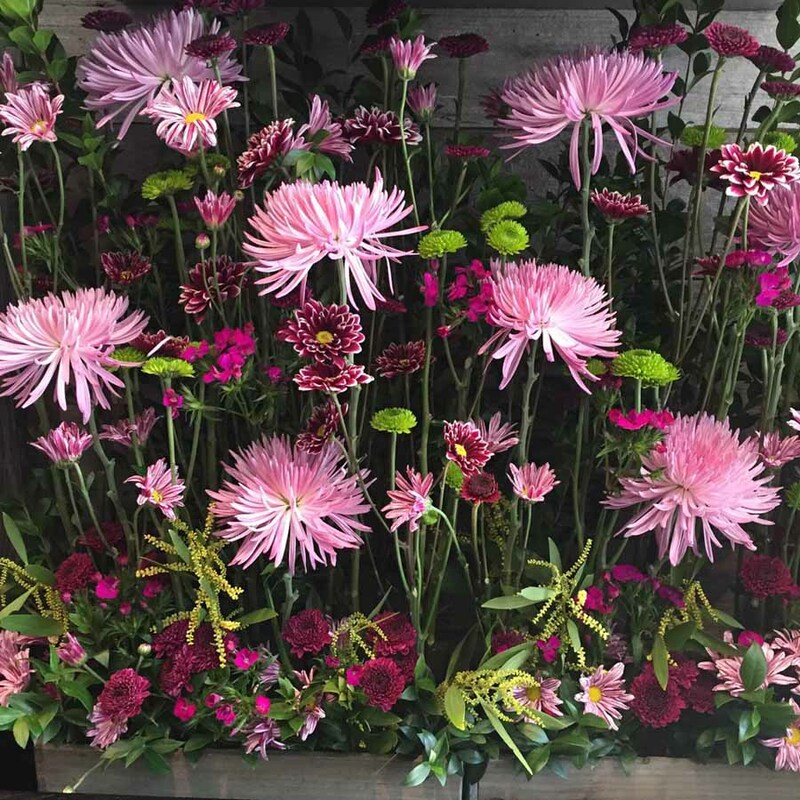 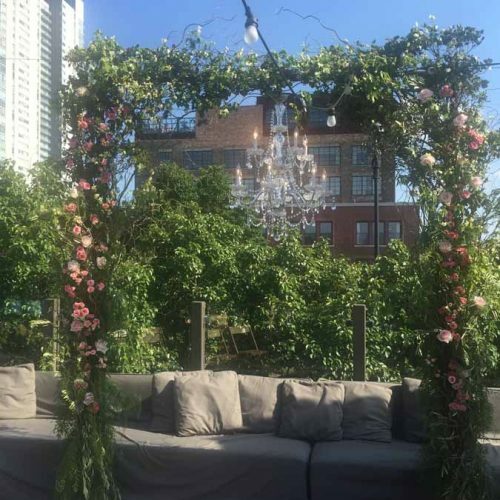 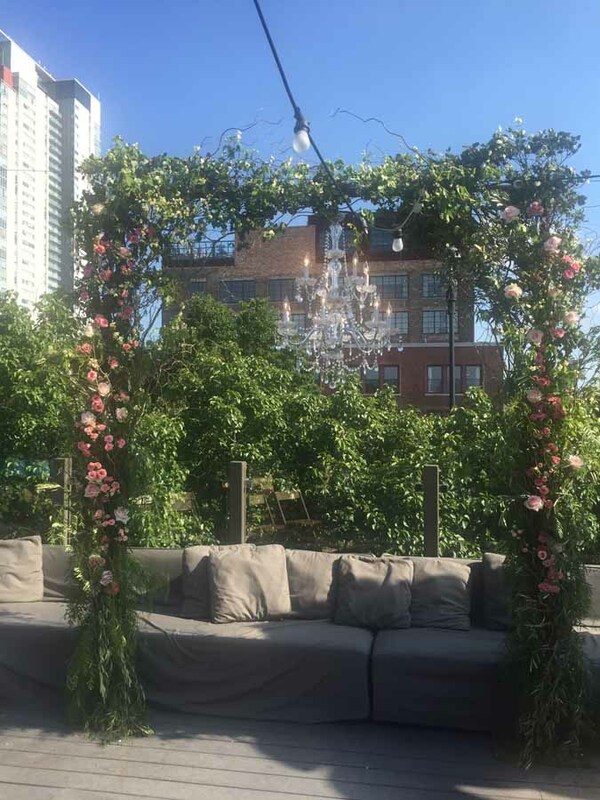 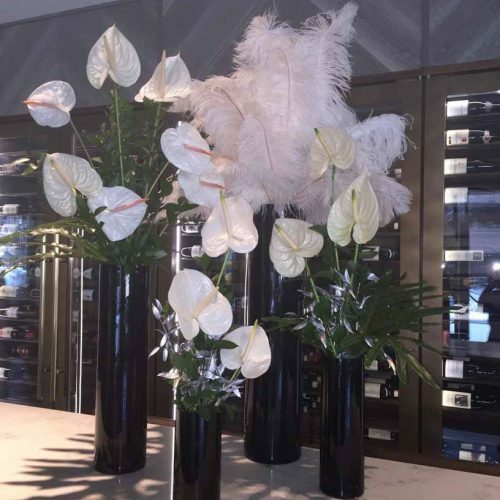 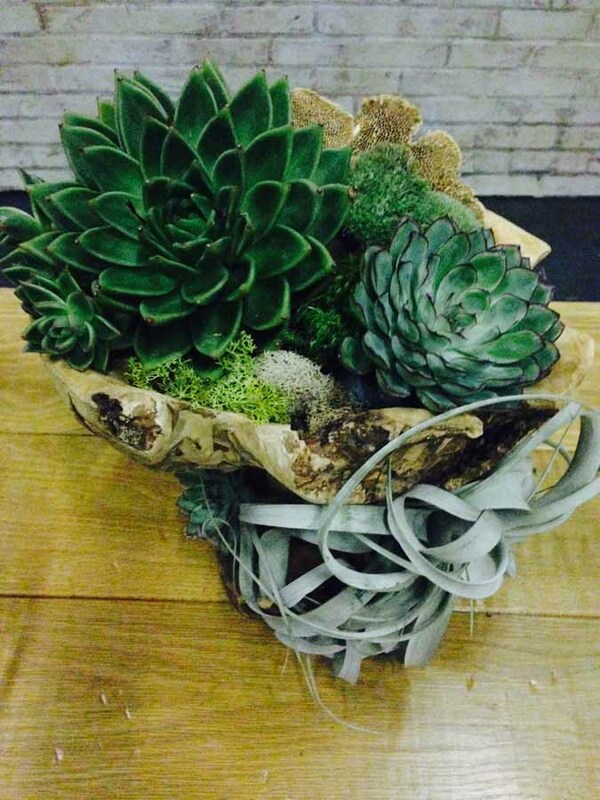 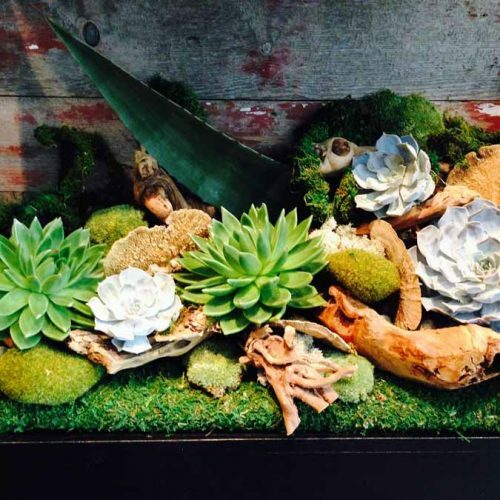 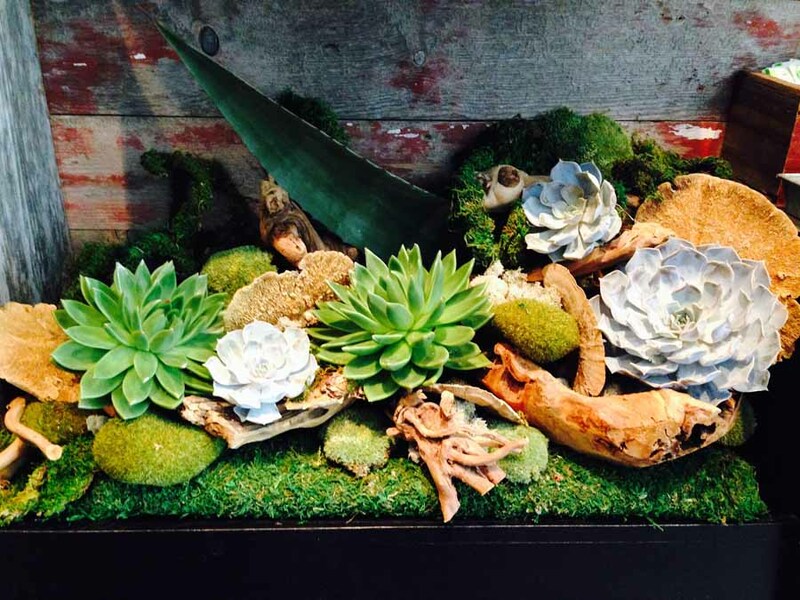 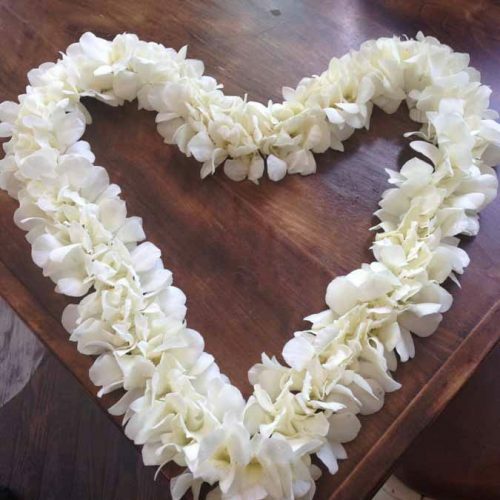 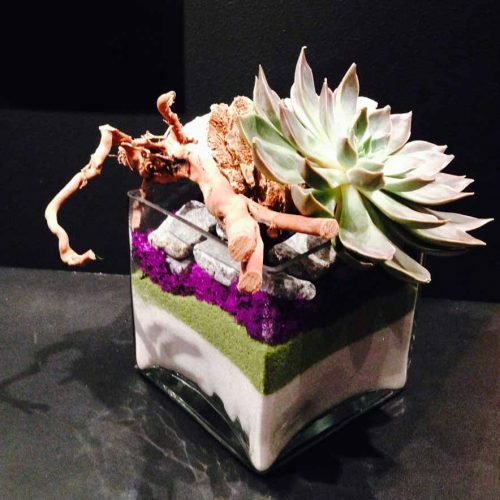 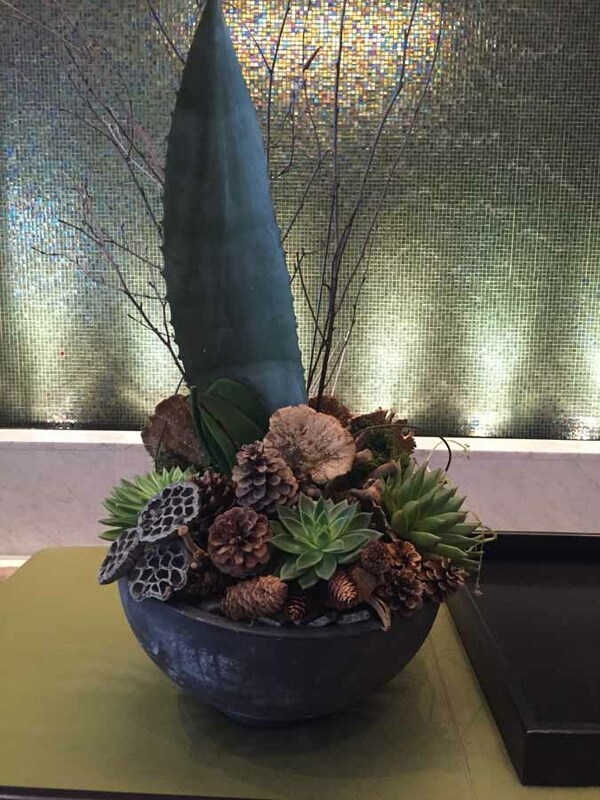 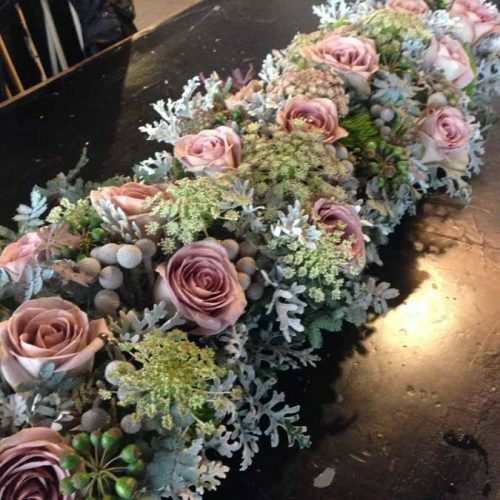 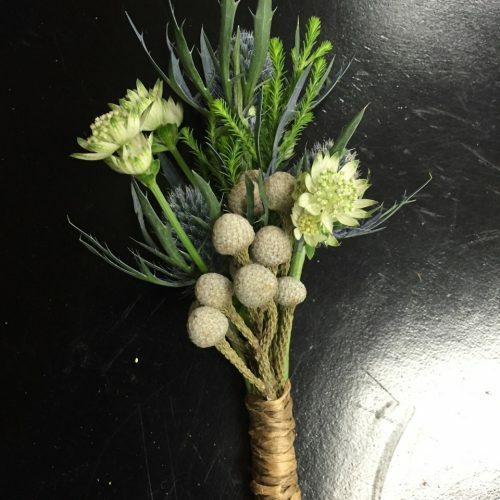 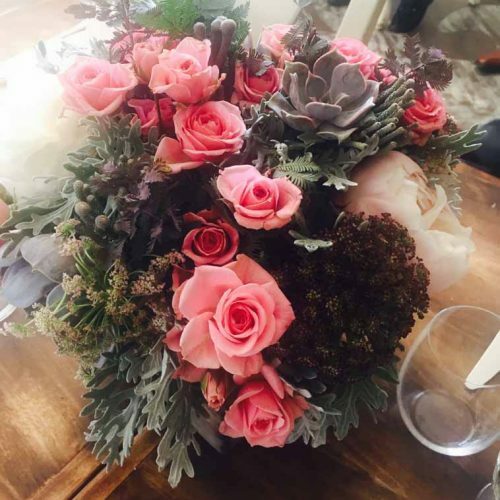 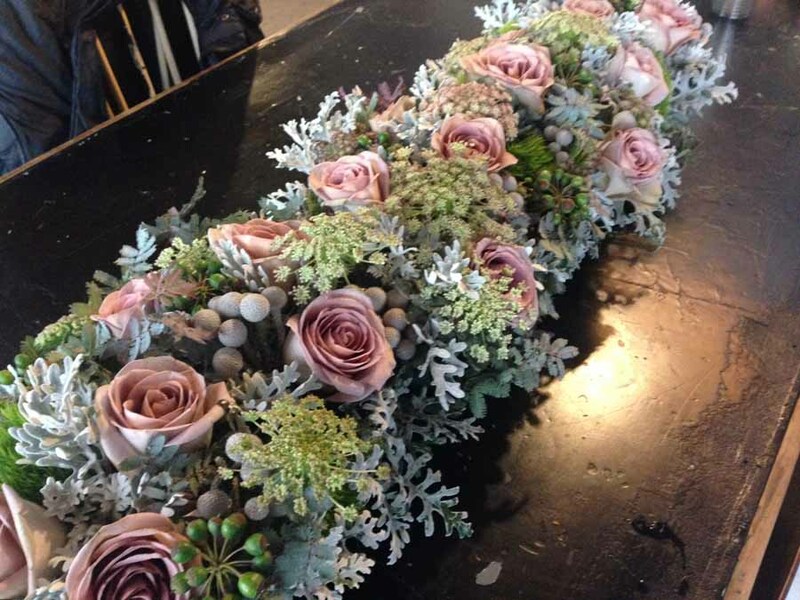 Our creative displays of flowers, succulents, branches and botanicals illuminate your special occasion—wedding, venue, photoshoot, workspace or home. 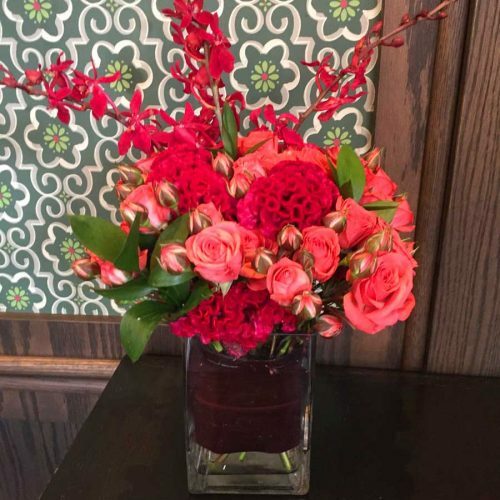 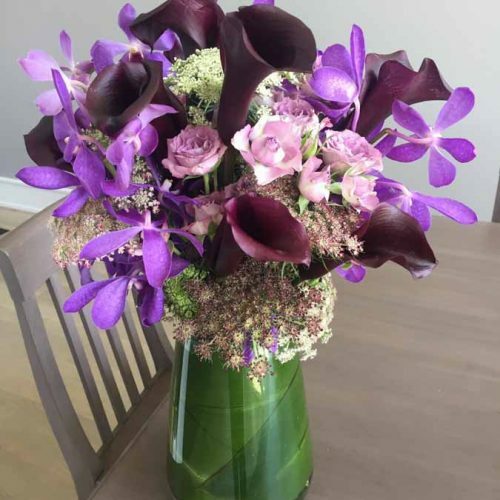 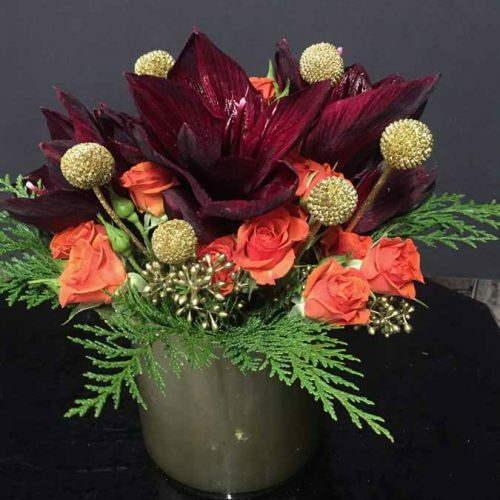 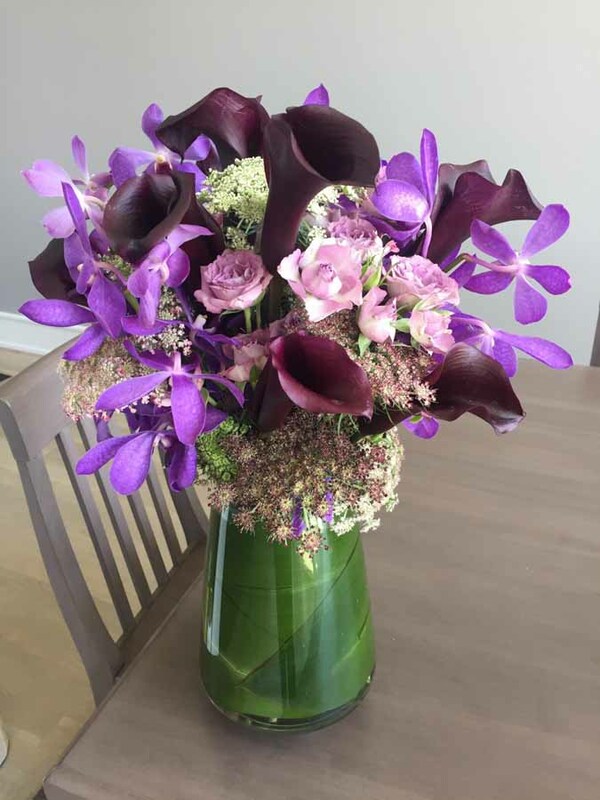 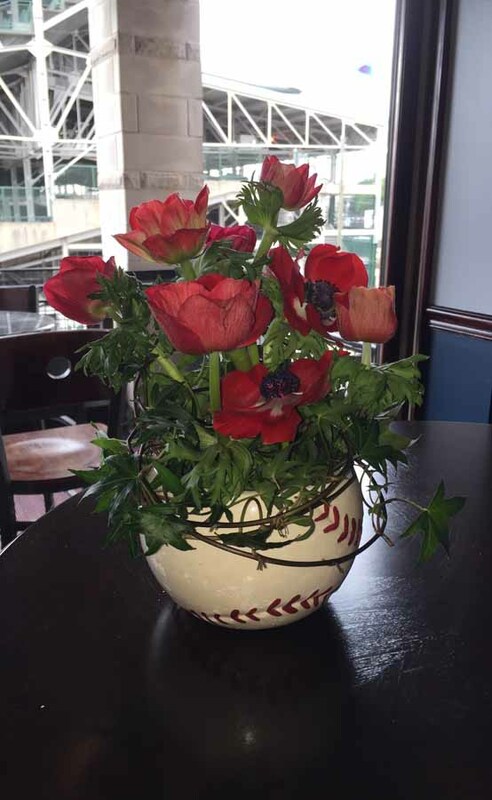 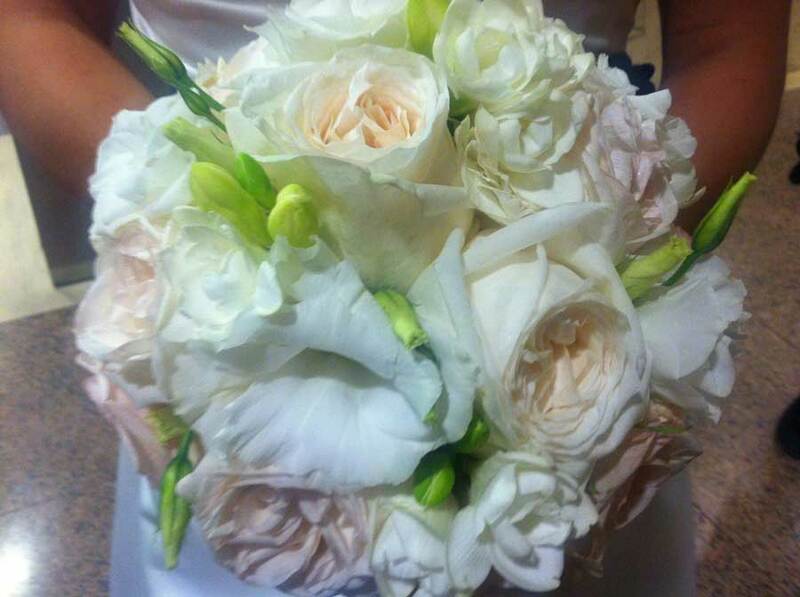 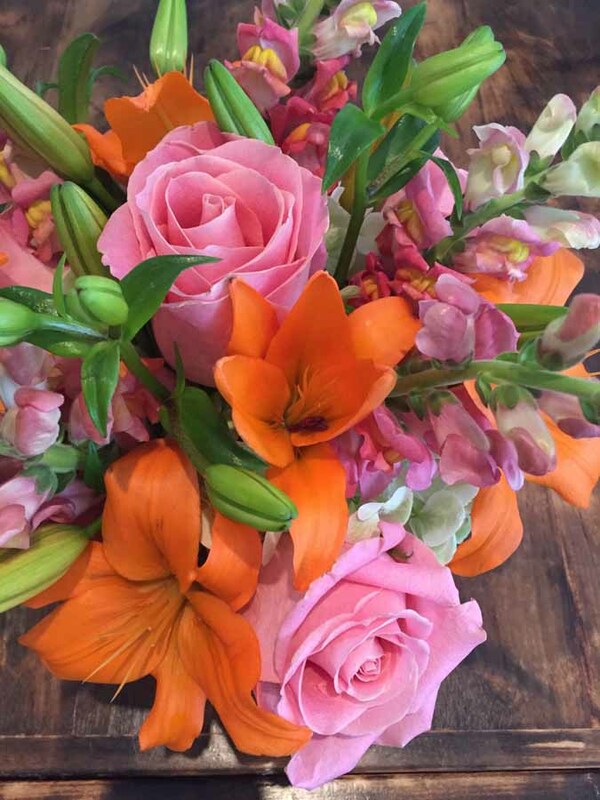 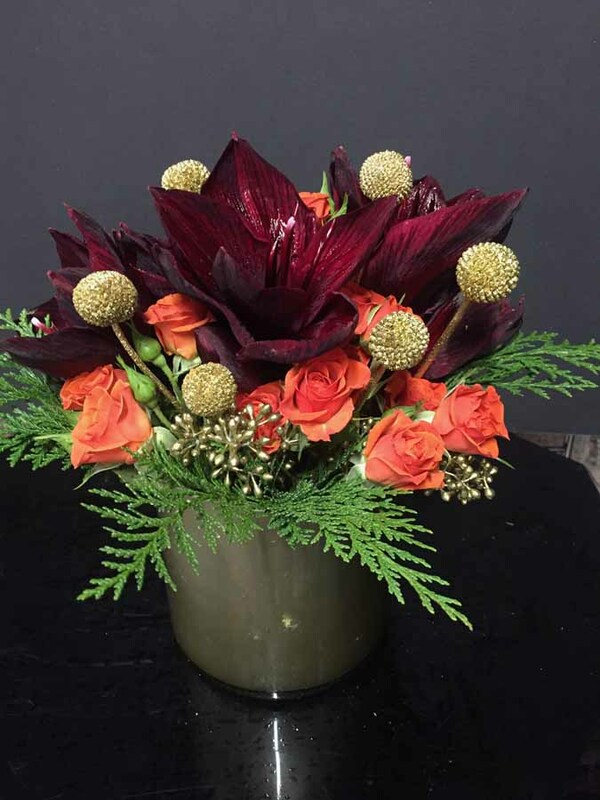 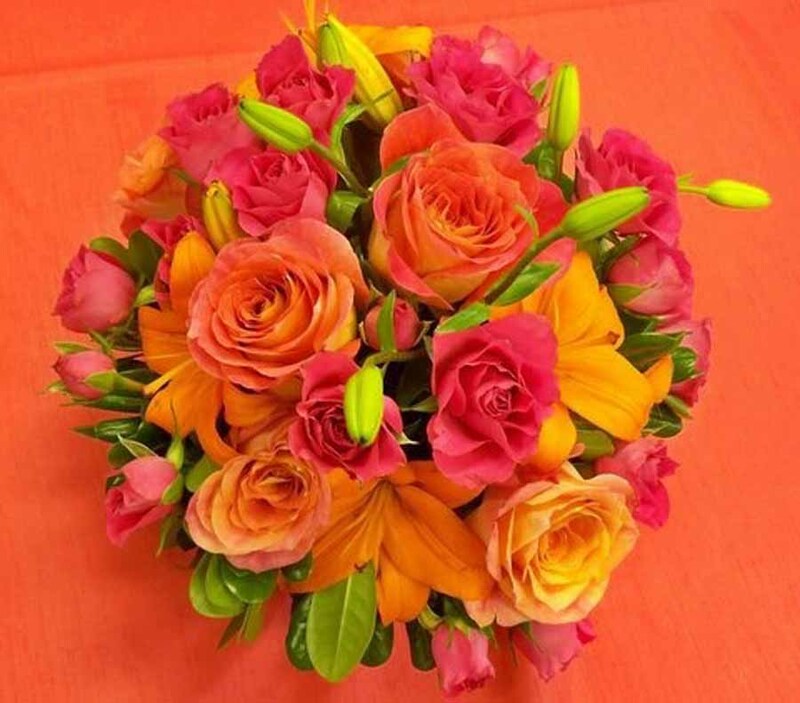 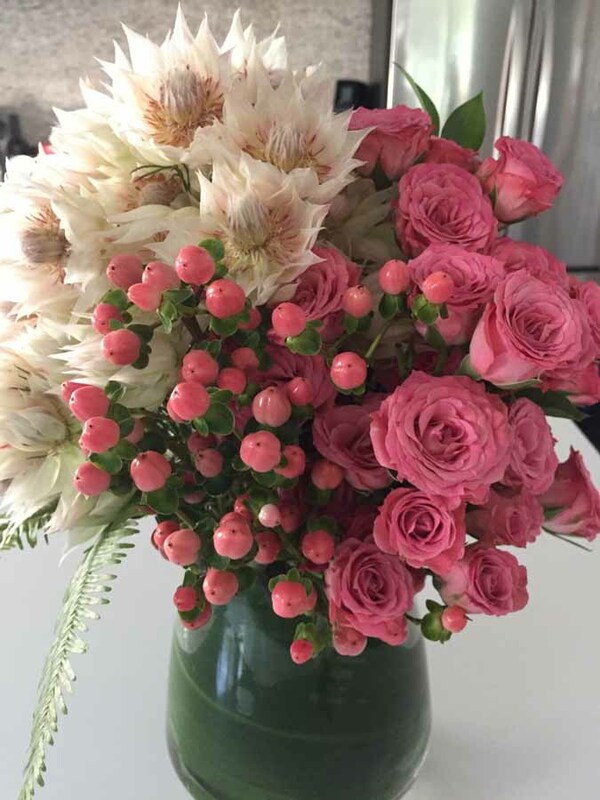 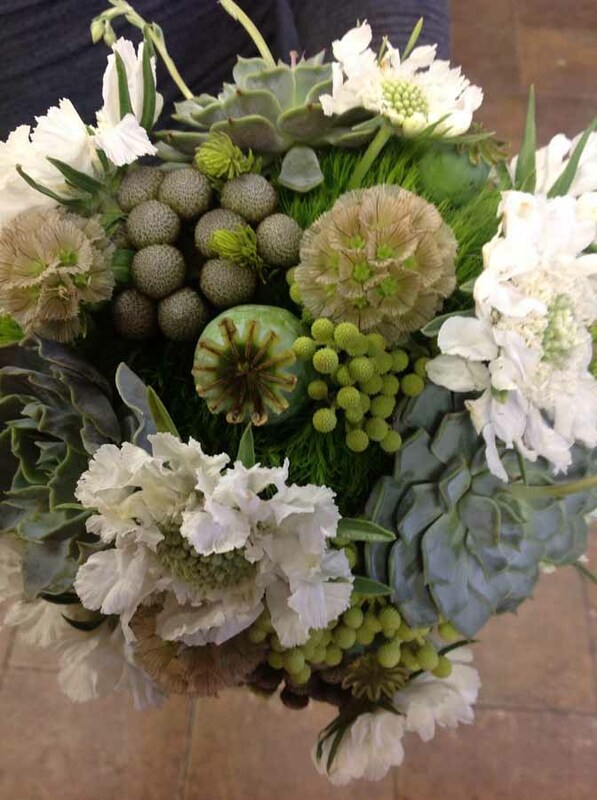 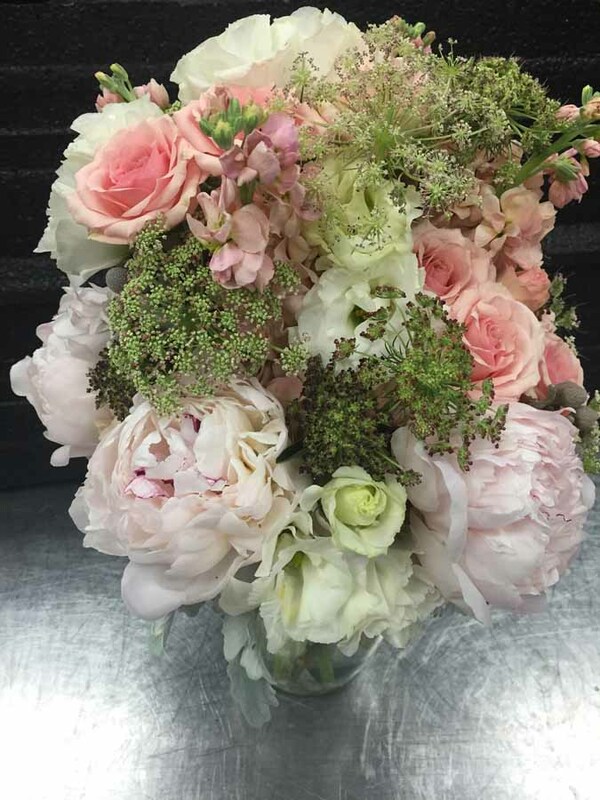 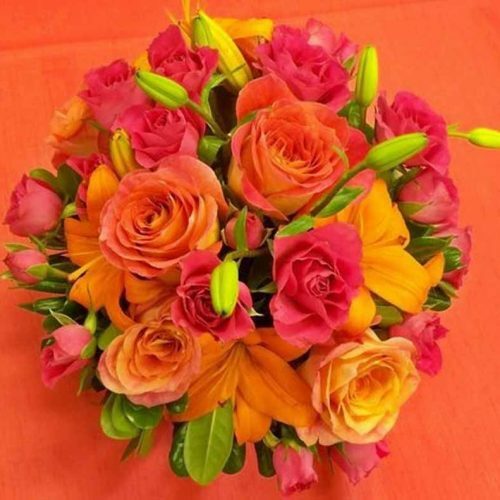 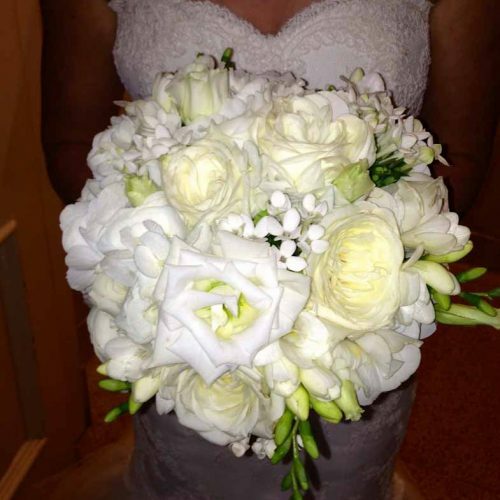 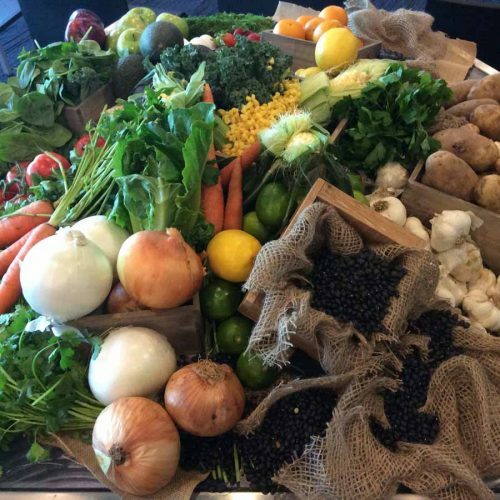 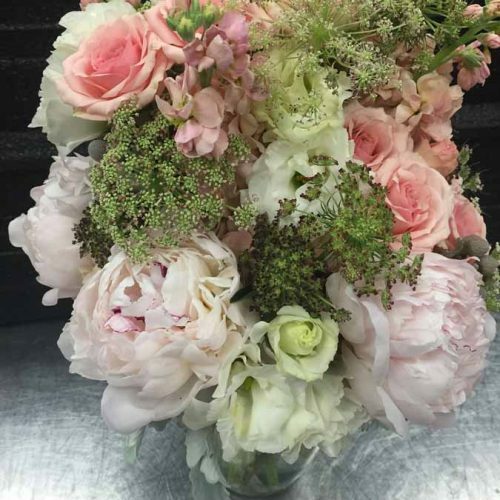 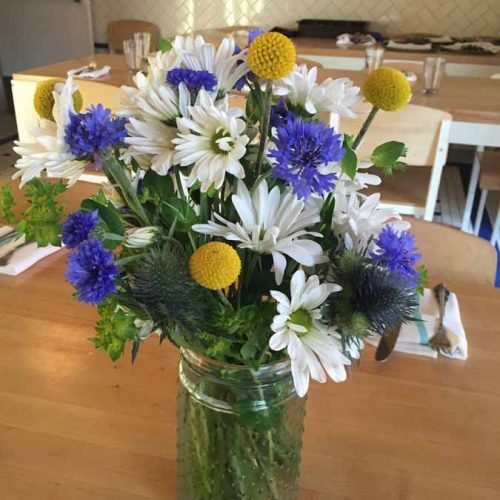 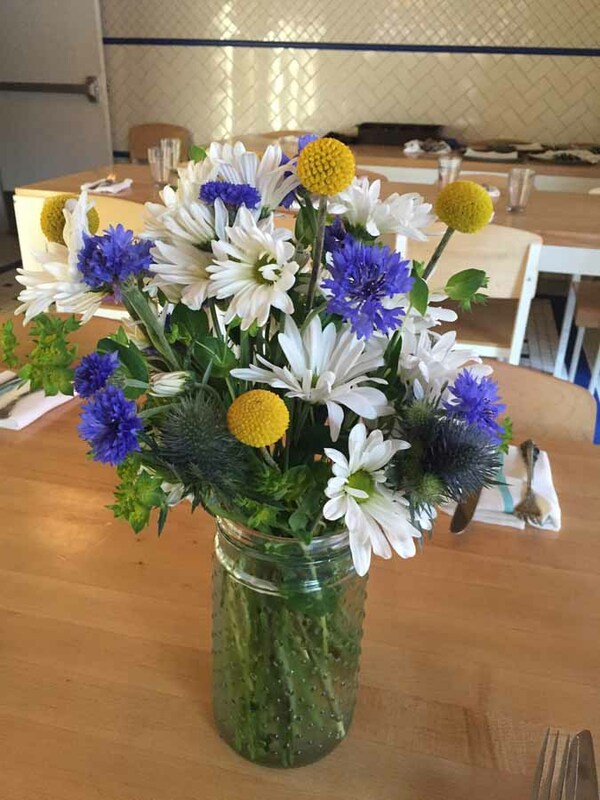 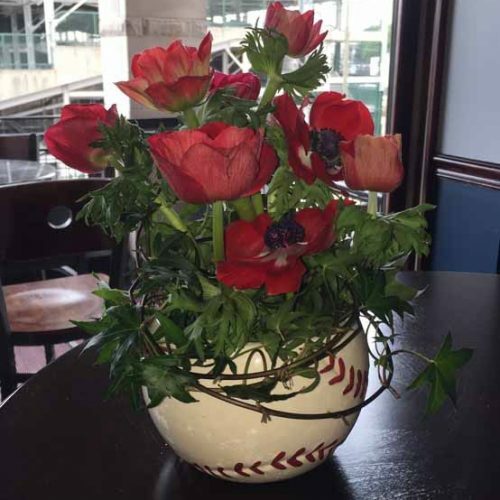 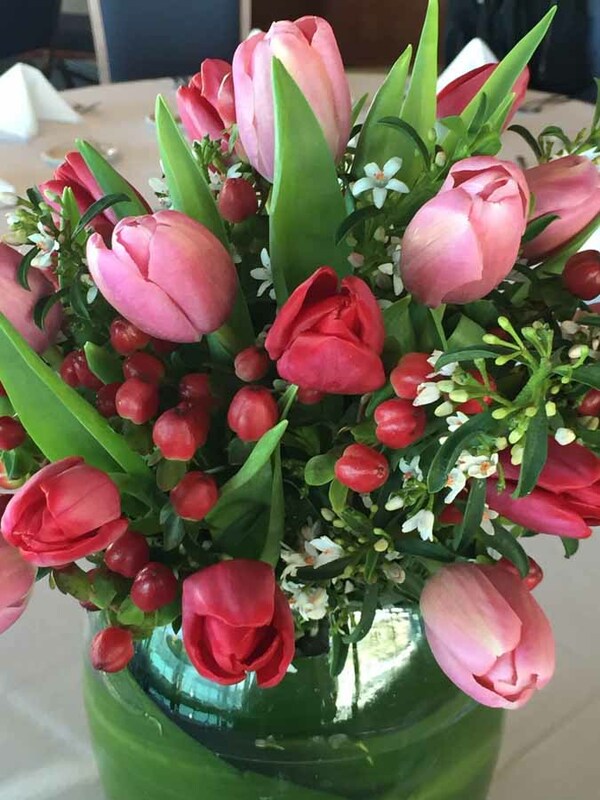 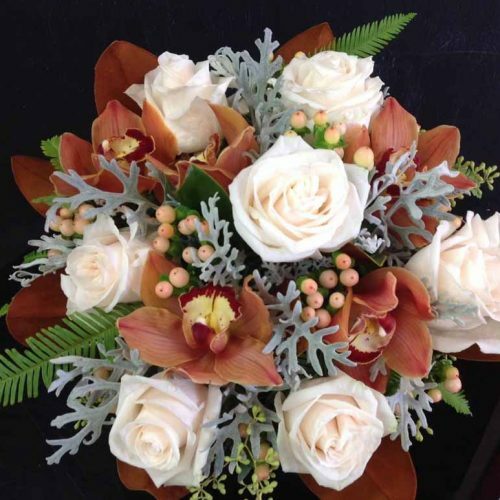 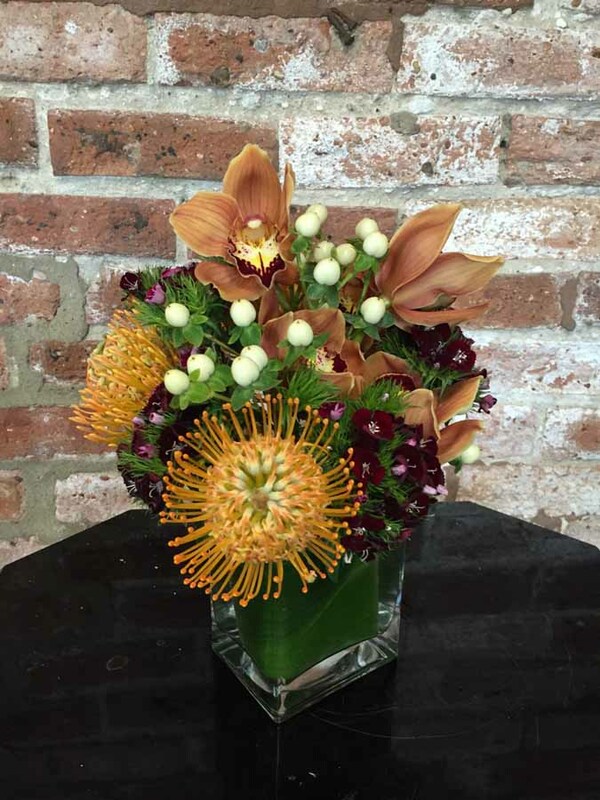 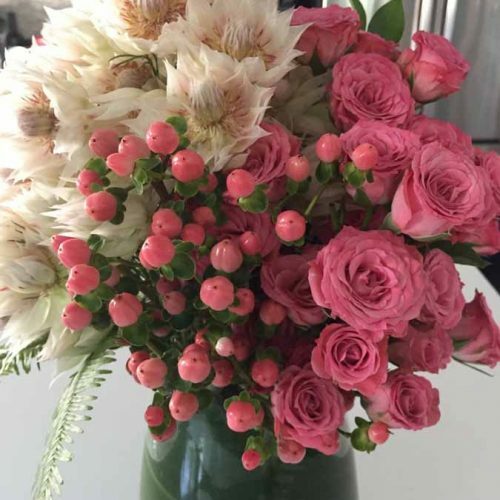 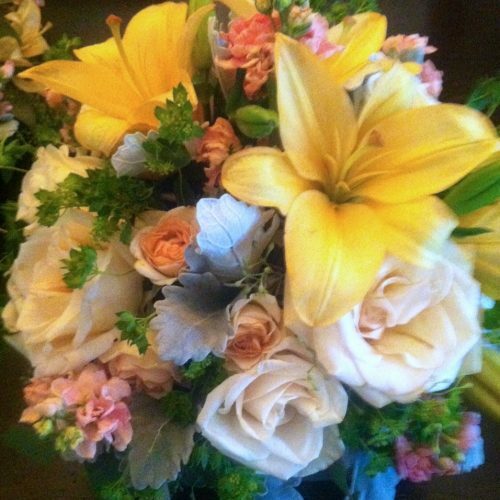 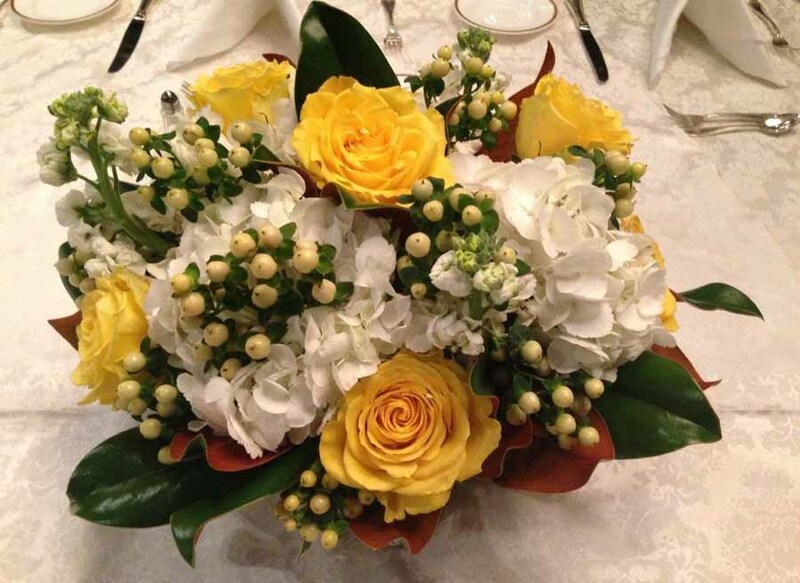 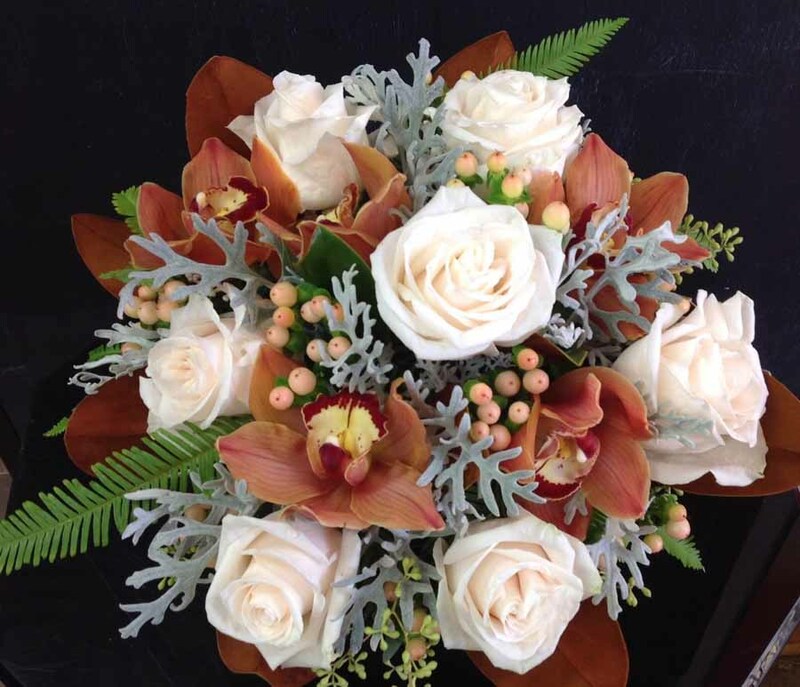 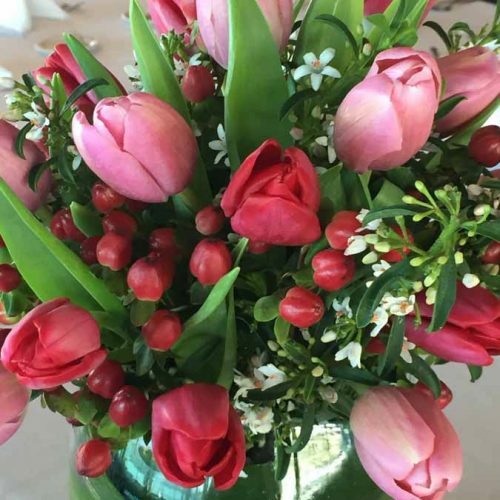 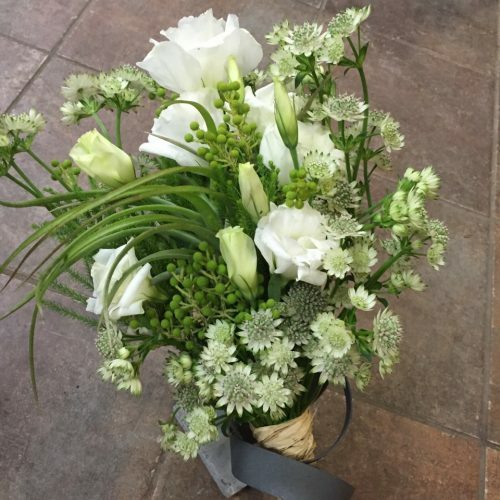 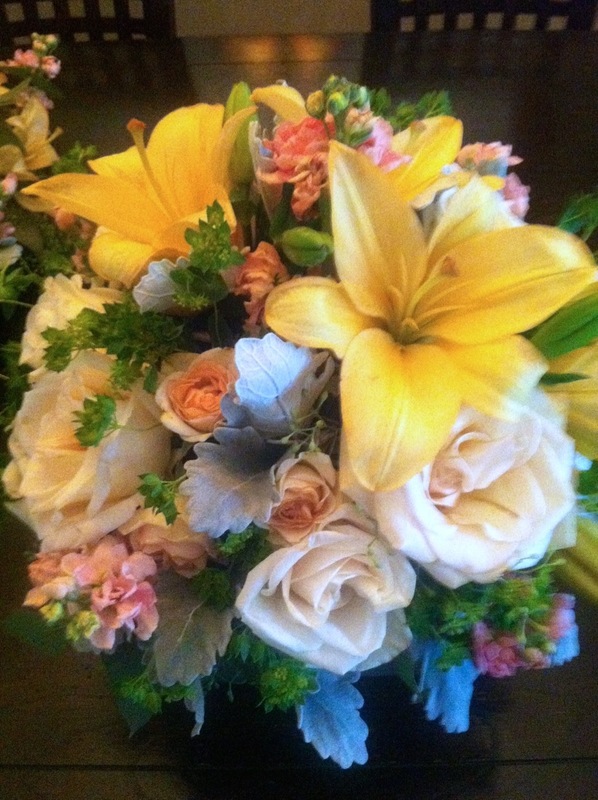 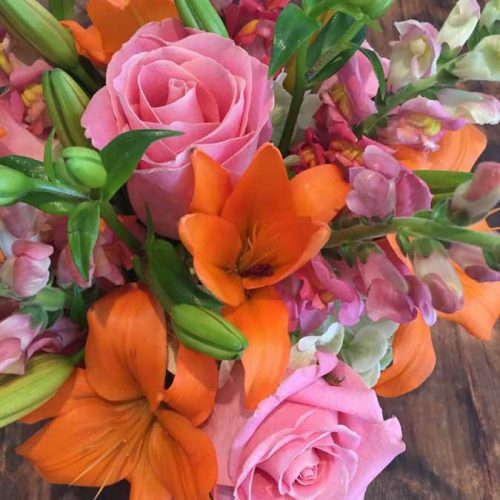 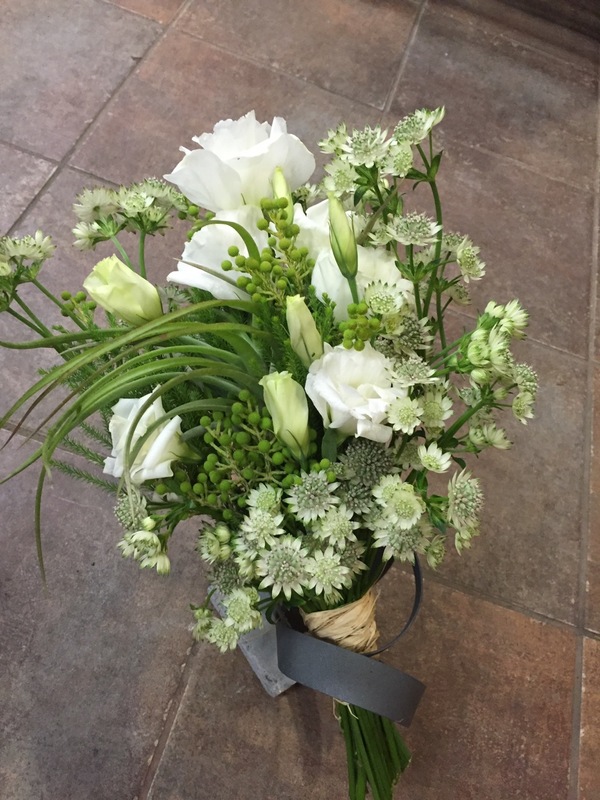 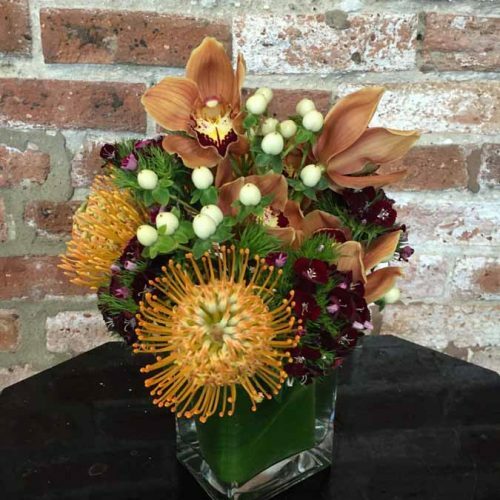 Flowers are selected fresh daily from nearby markets and delivered throughout the greater Chicagoland area. 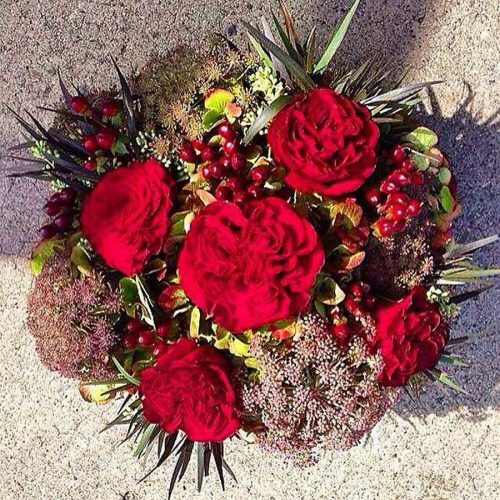 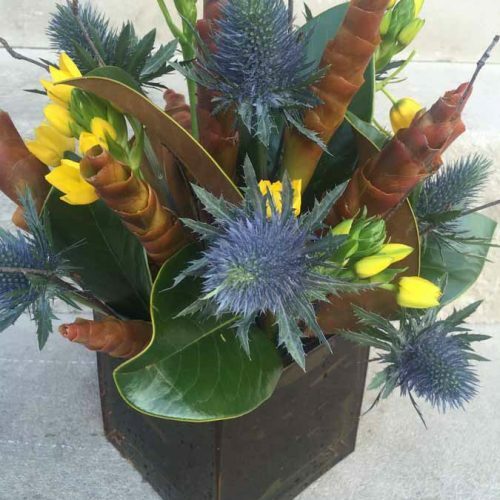 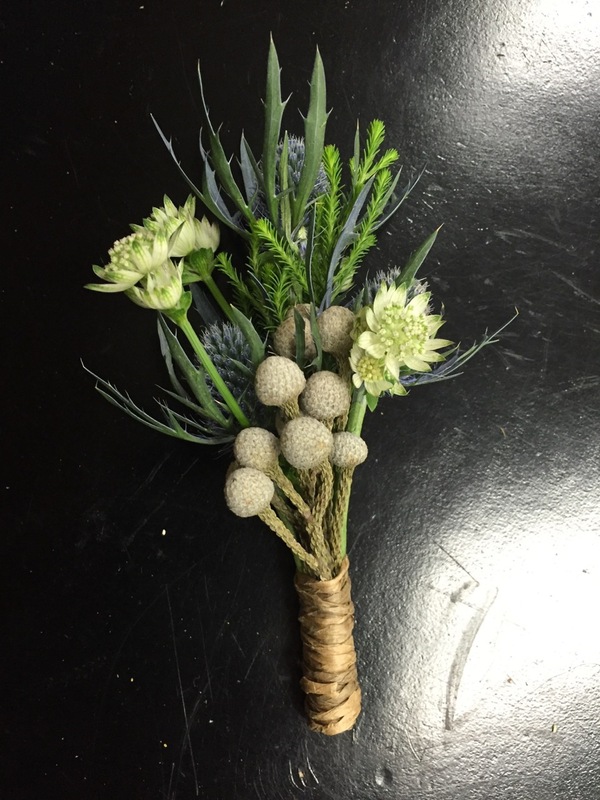 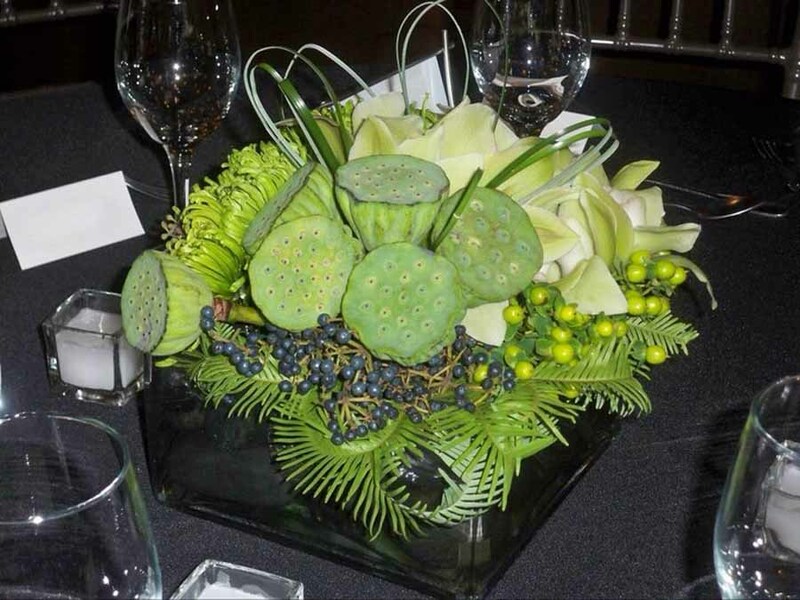 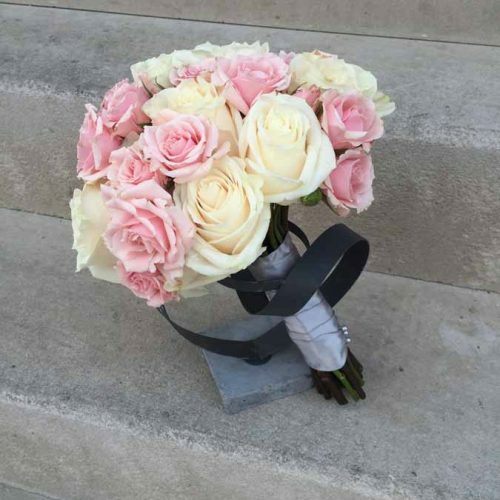 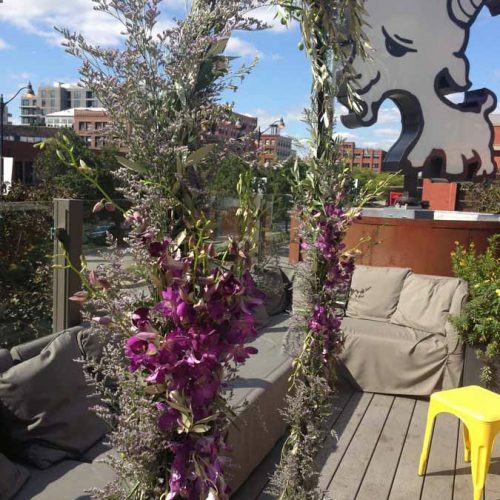 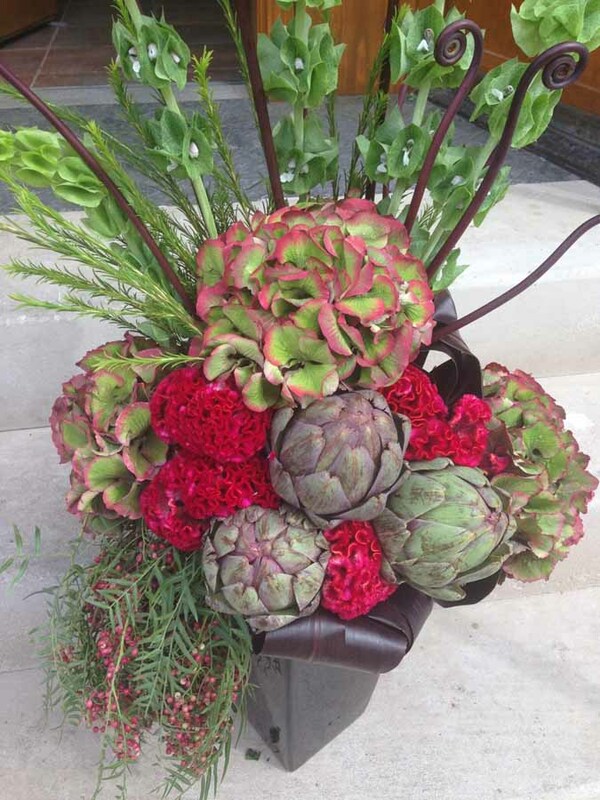 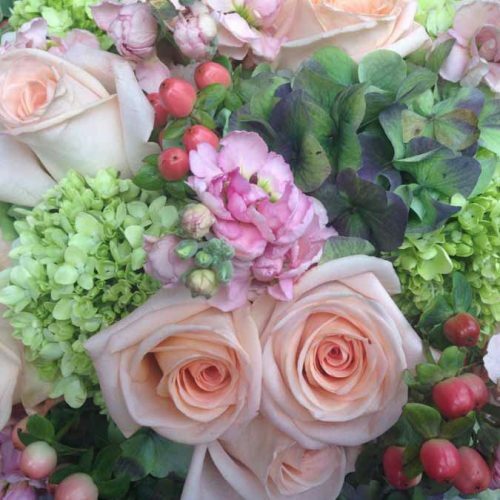 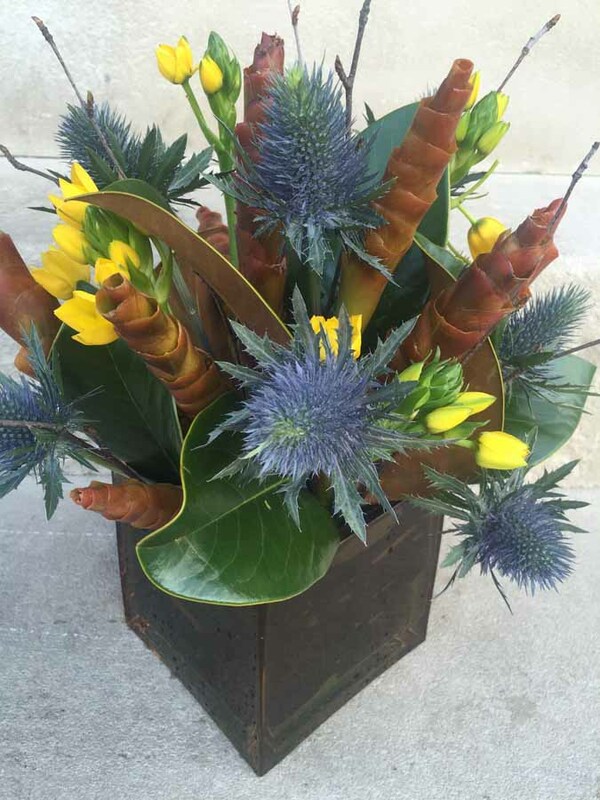 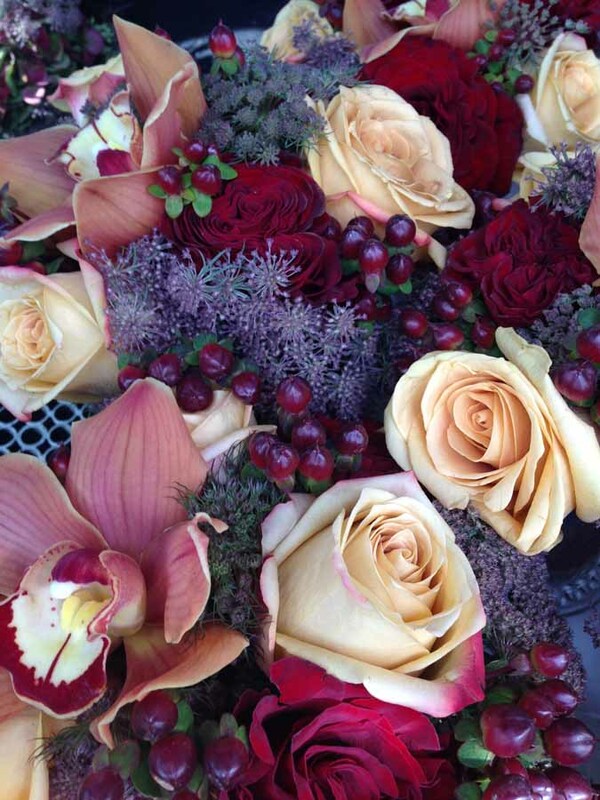 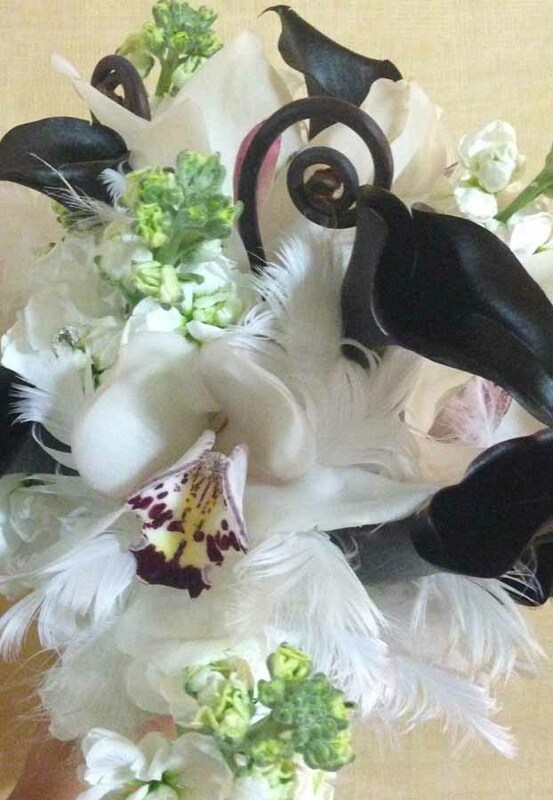 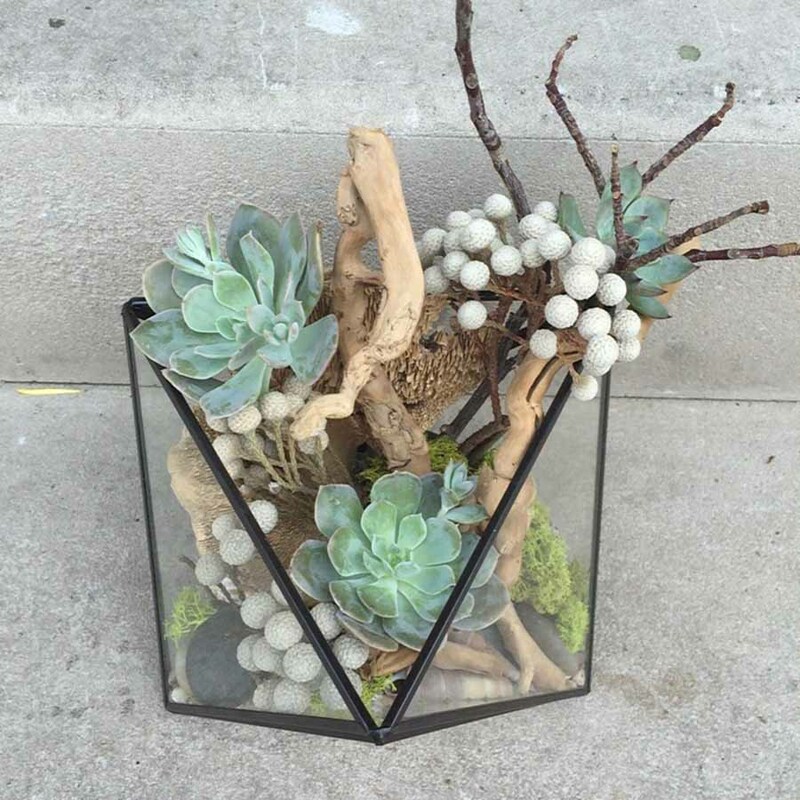 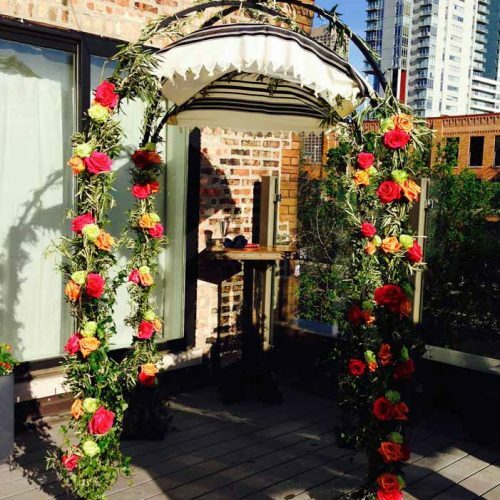 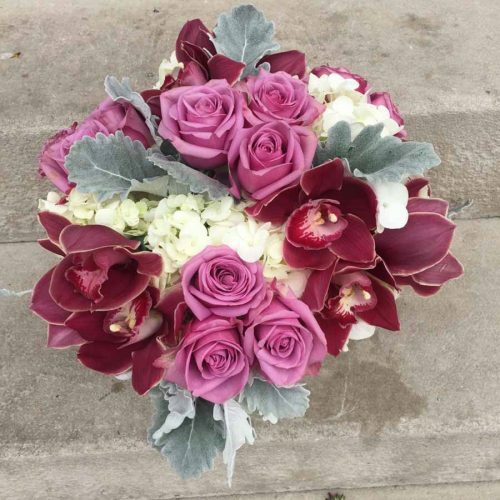 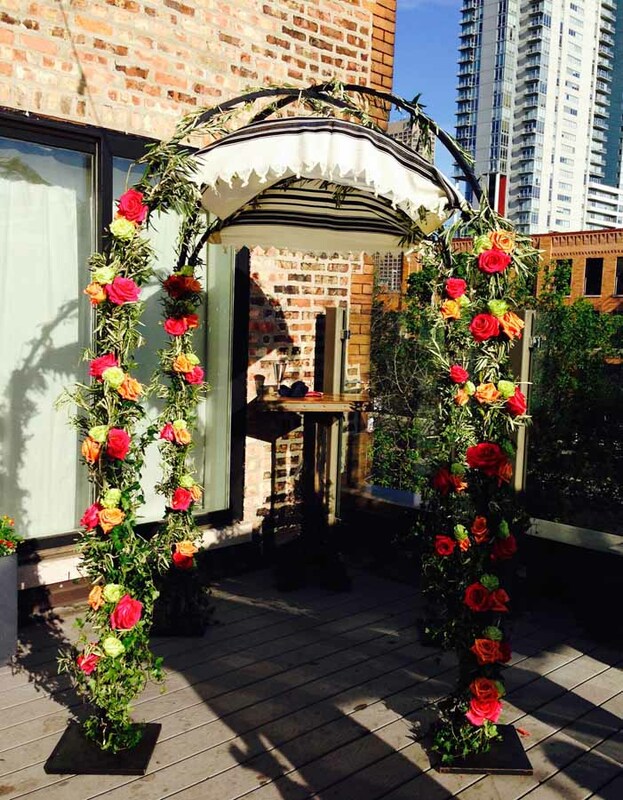 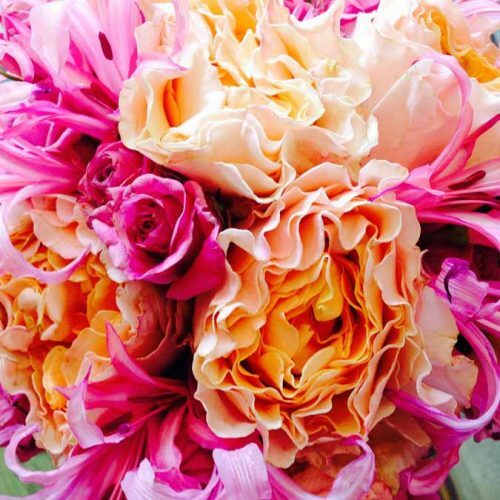 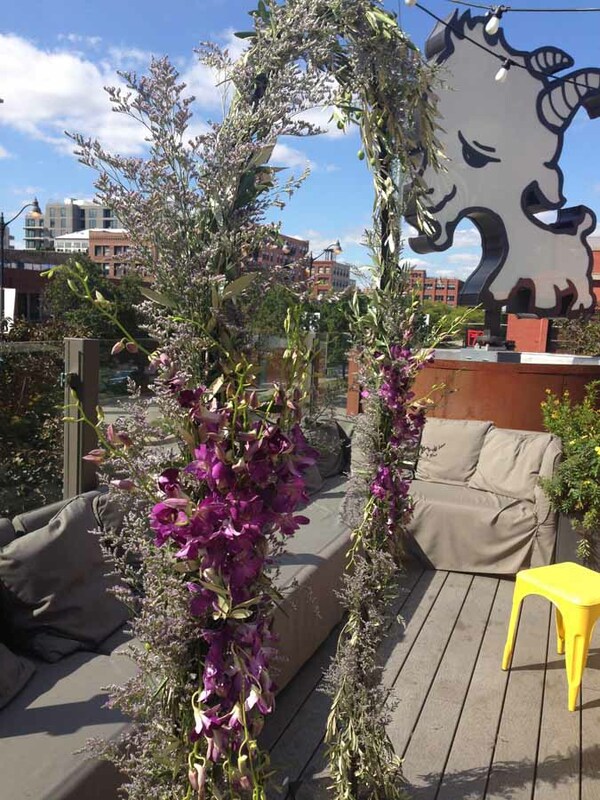 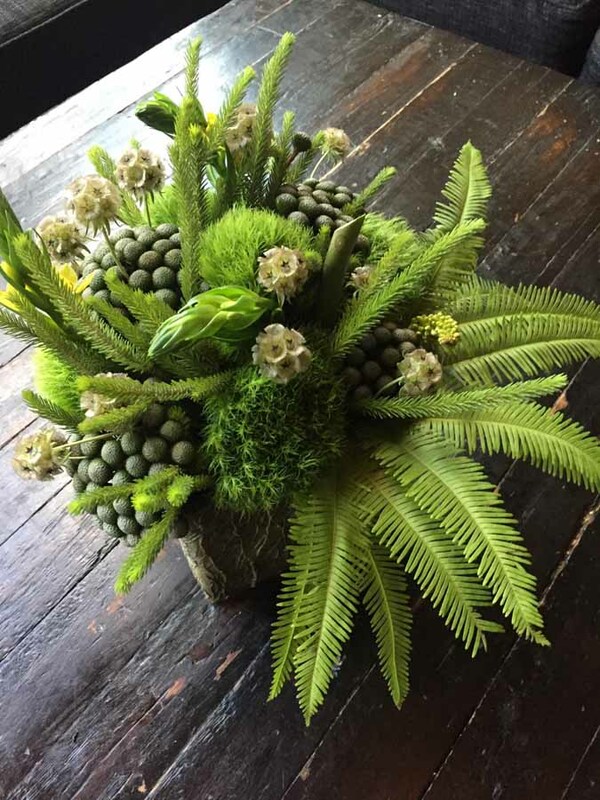 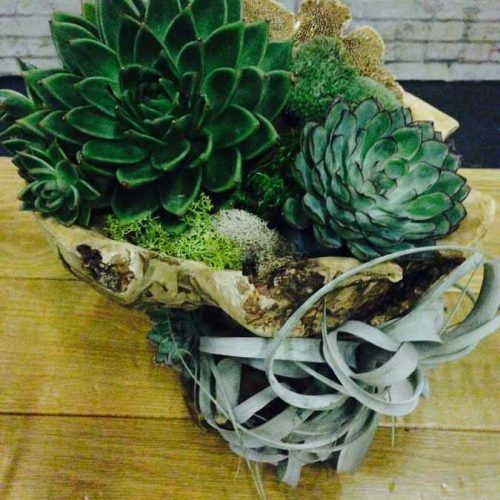 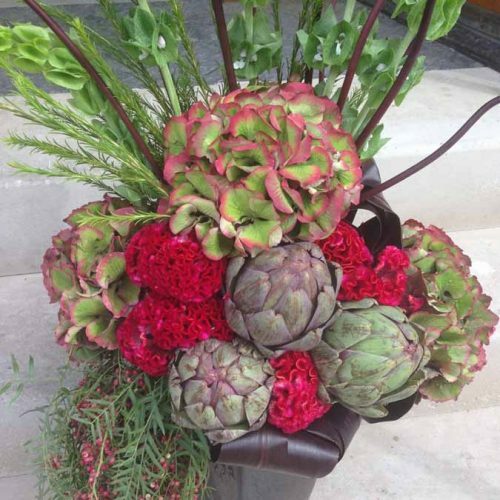 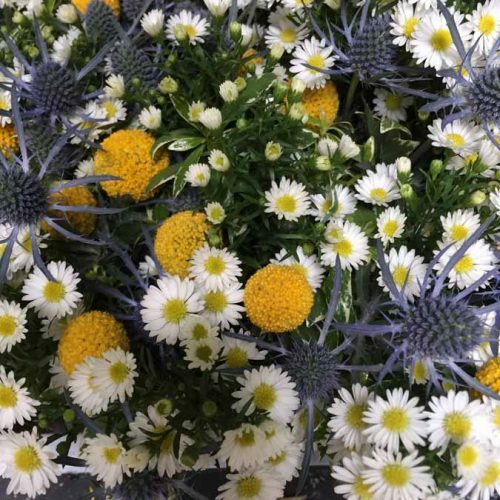 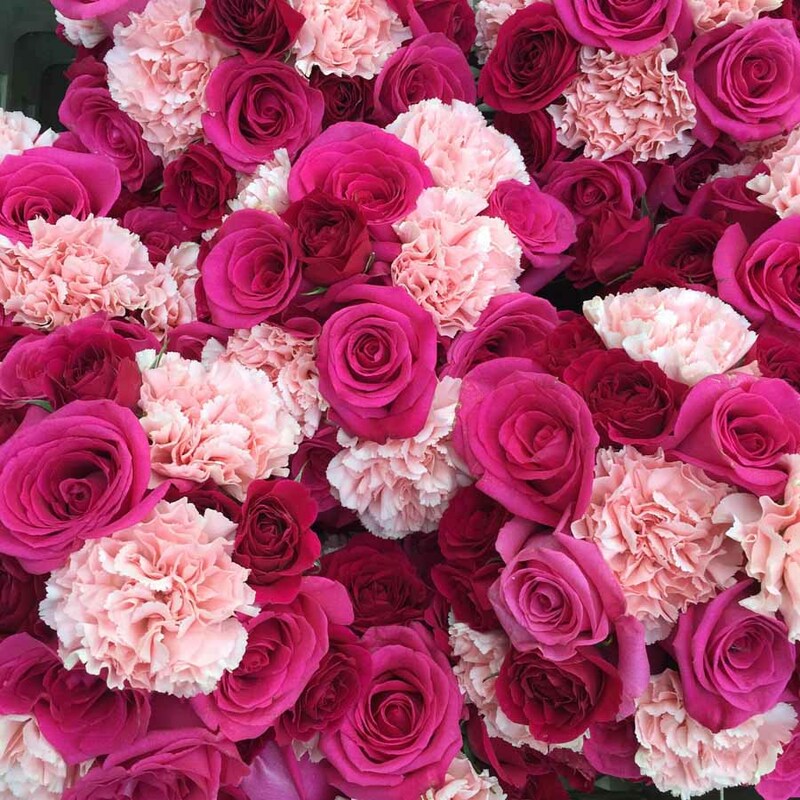 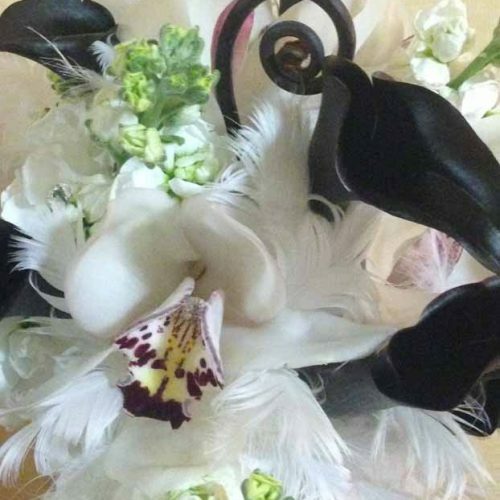 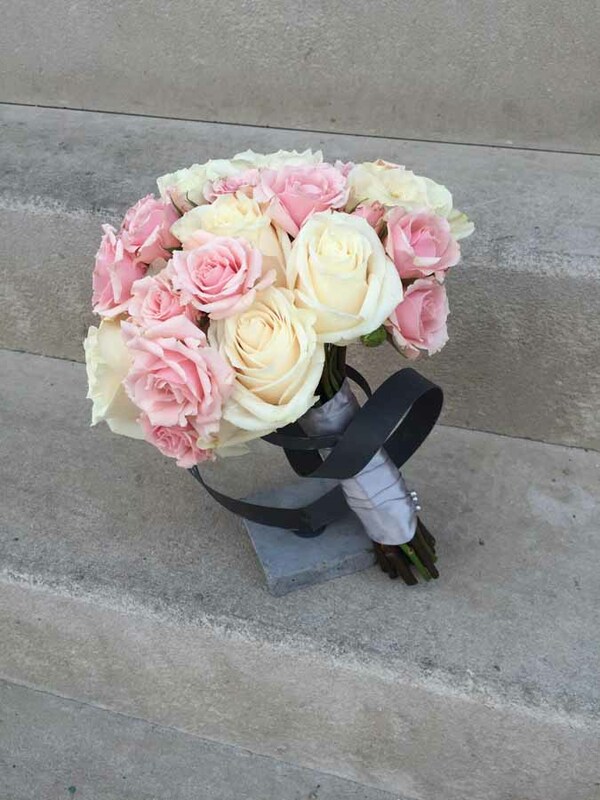 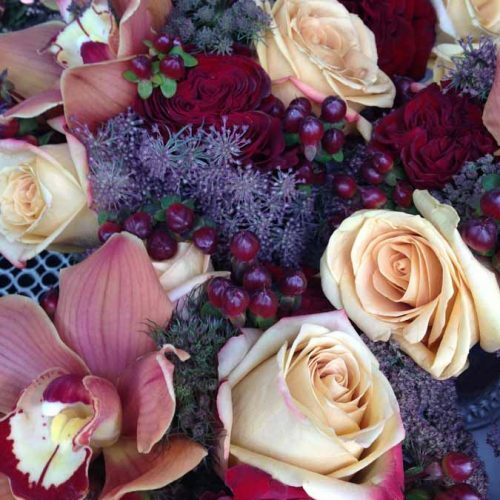 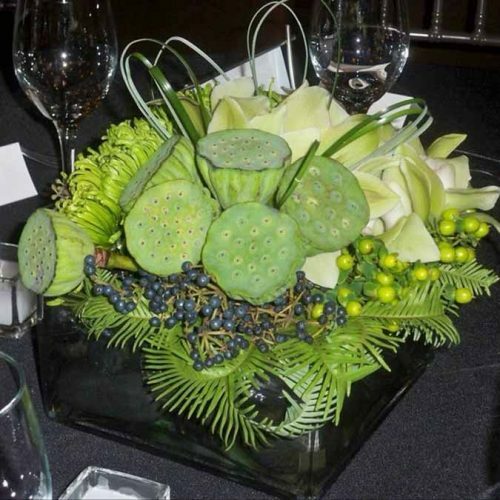 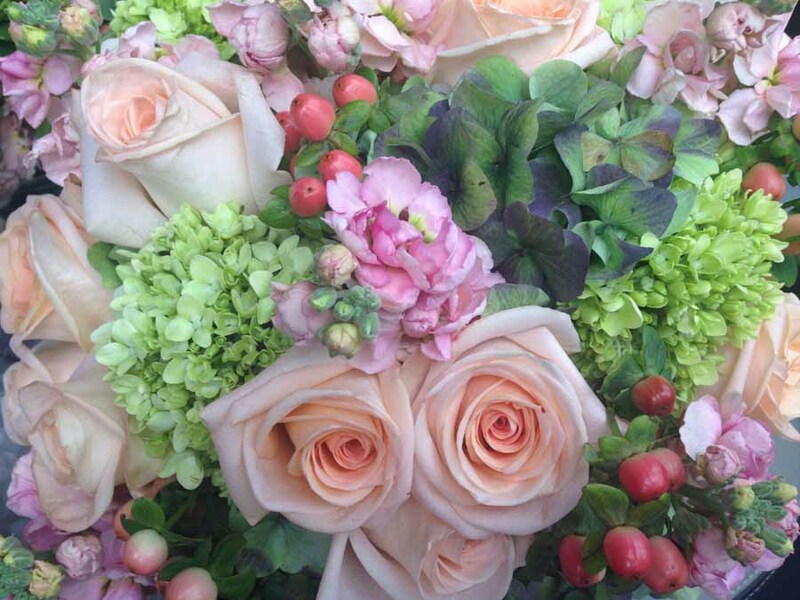 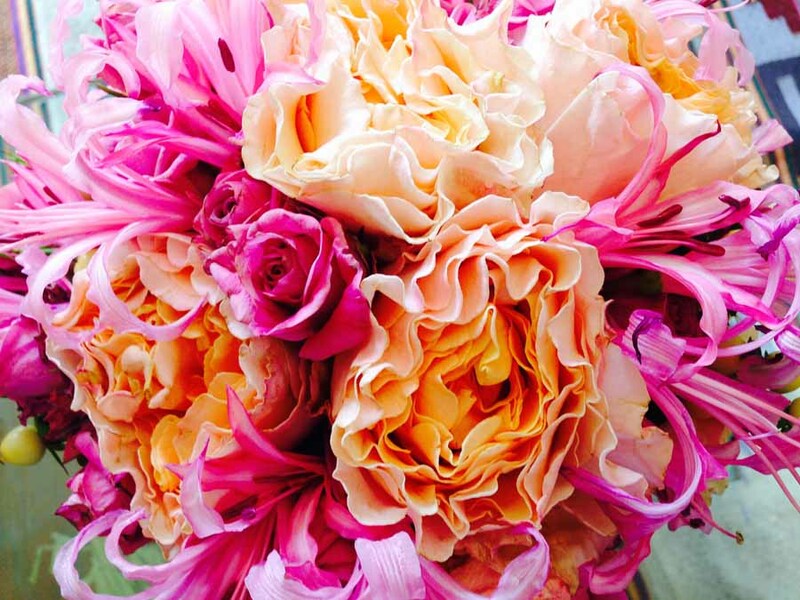 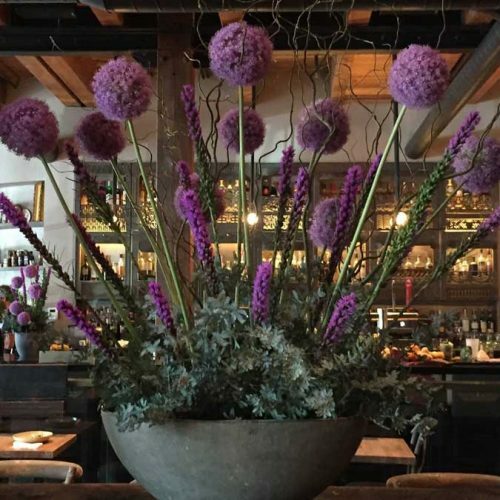 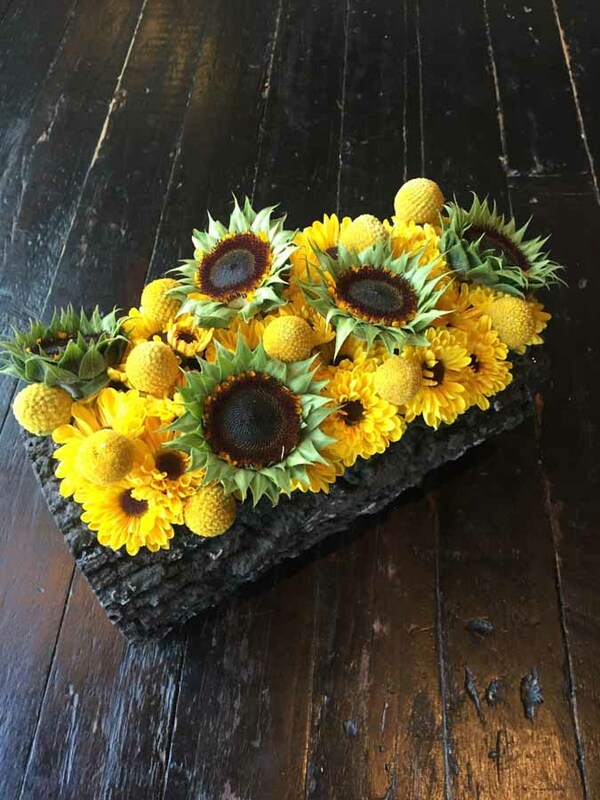 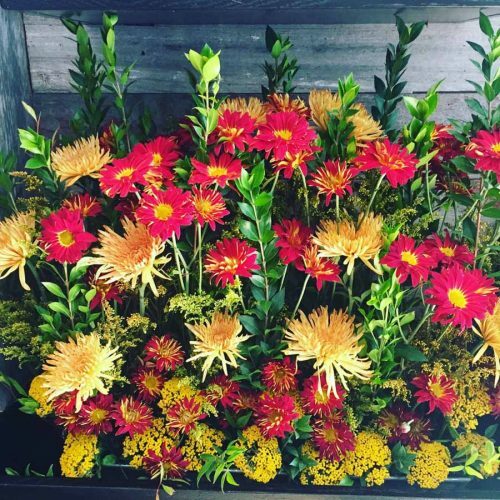 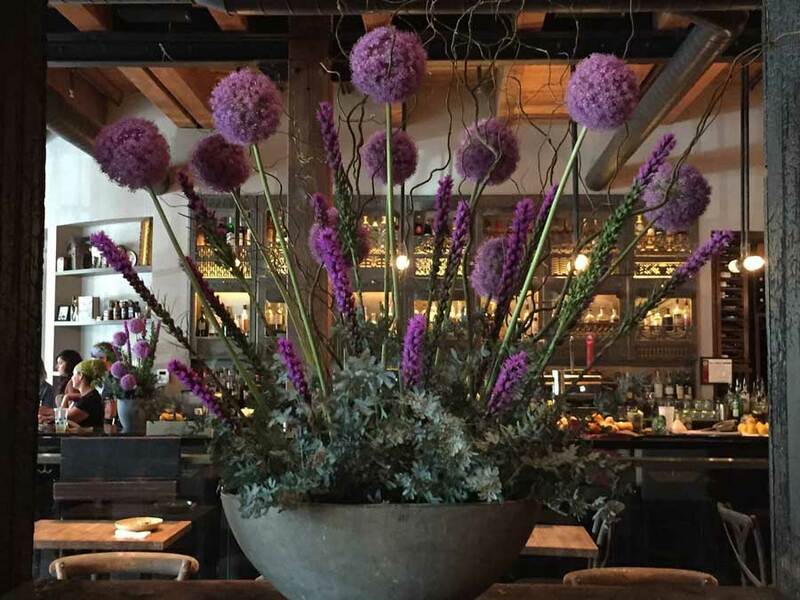 Lisa Paul is one of the most innovative floral designers on the Chicago scene. 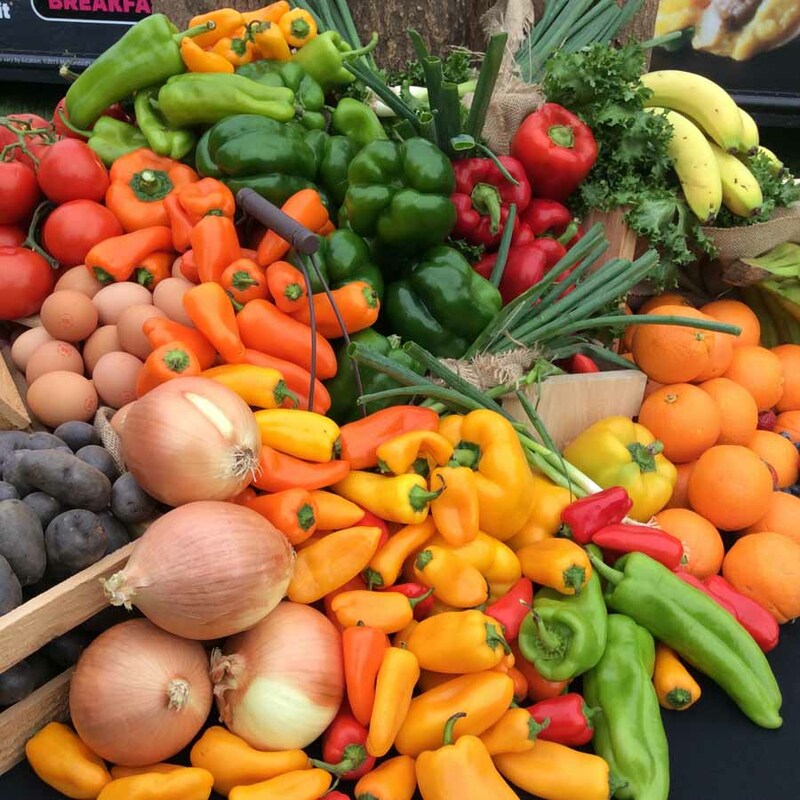 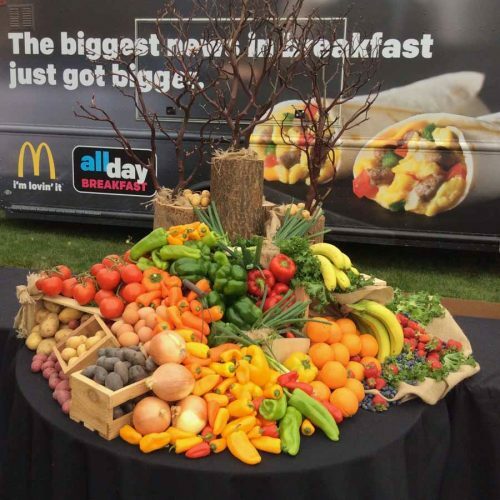 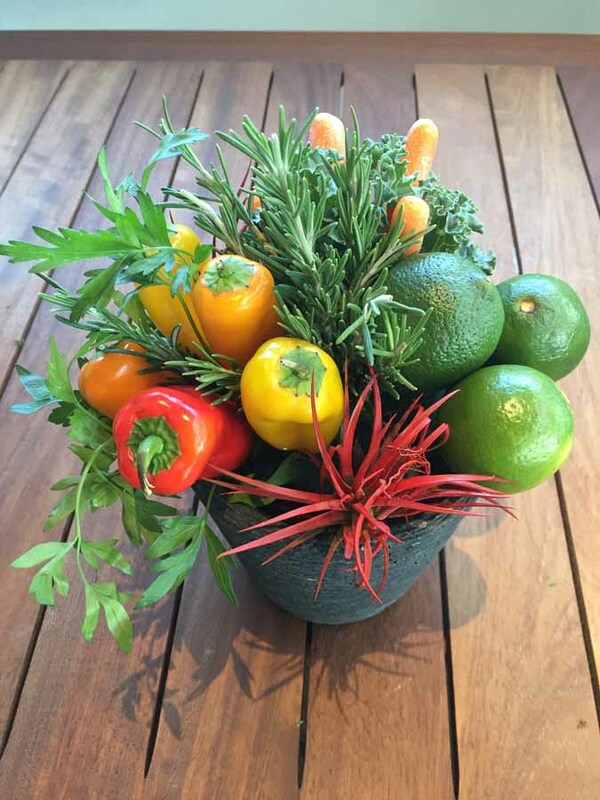 Her unique signature combines the artistic with the agriculture, the colorful with the culinary. 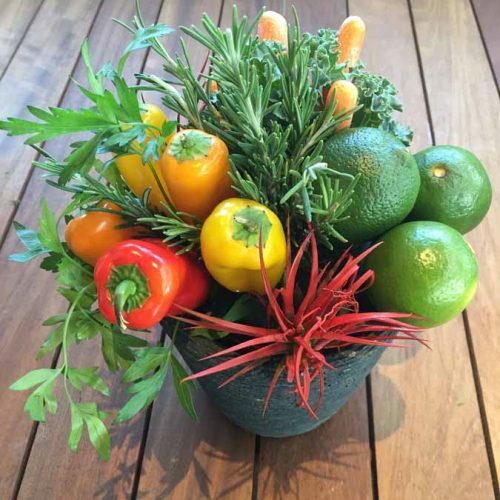 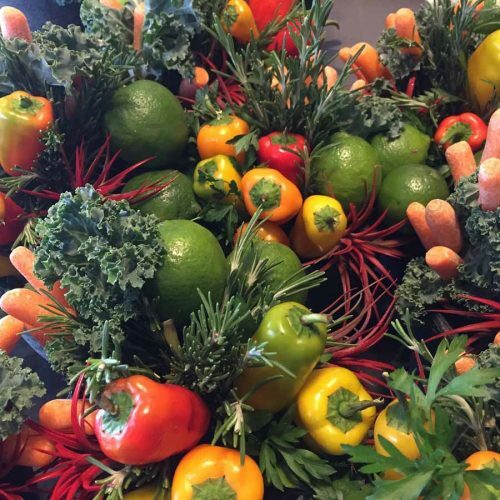 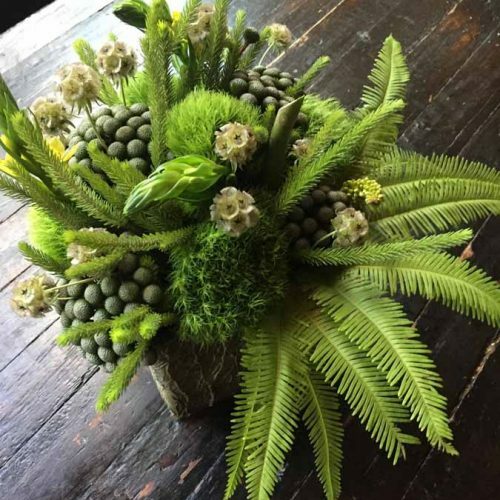 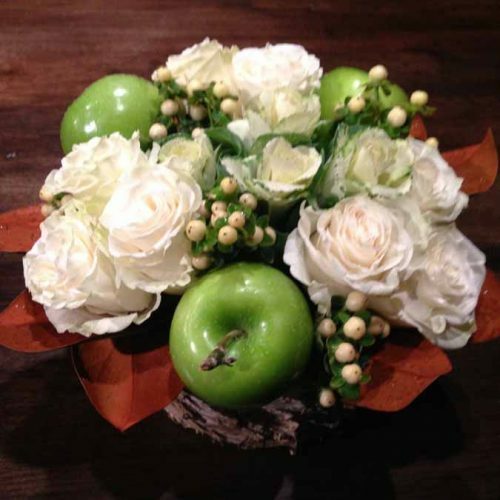 She uses herbs, fruits and vegetables in stunning natural arrangements that look as if they sprang from a lush garden. Their shapes lend a striking sculptural element to her designs. 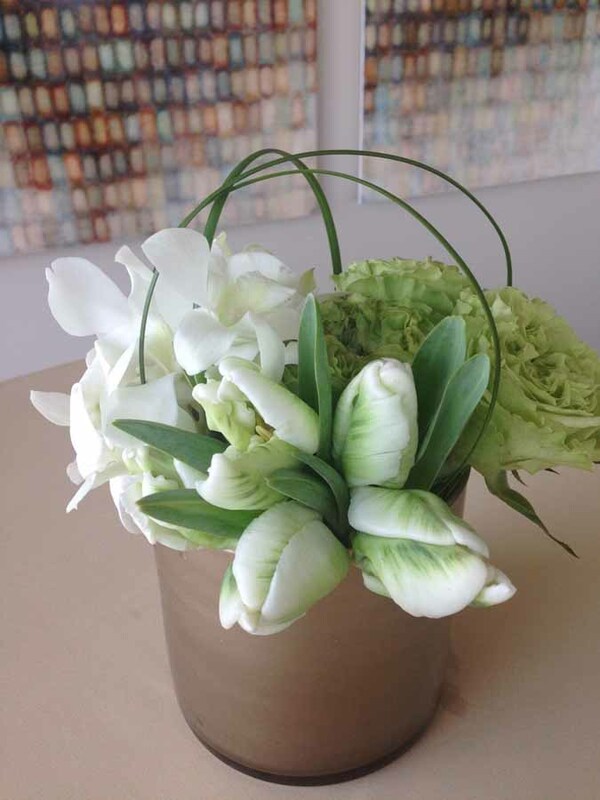 Her monochromatic style is reminiscent of an artist’s color wheel. 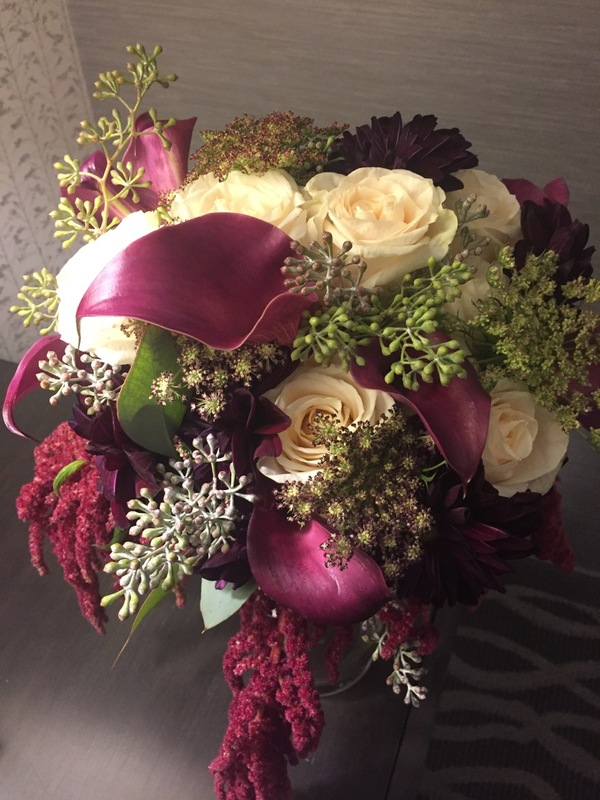 Lisa prides herself on the ability to be a chameleon and adapt to what a client wants whether it is contemporary, traditional, romantic, whimsical or asian in style. 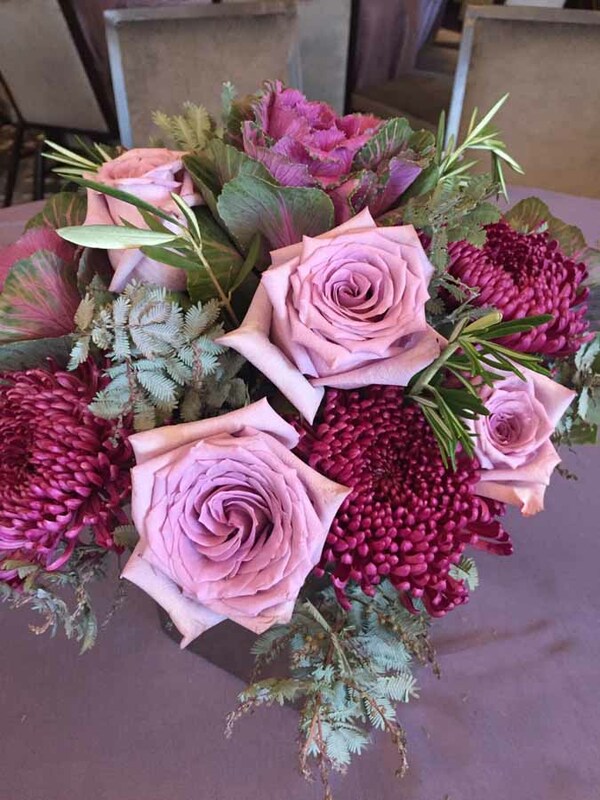 After 25 years of event planning, catering and the wine industry, Lisa followed her passion for art and entrepreneurship. 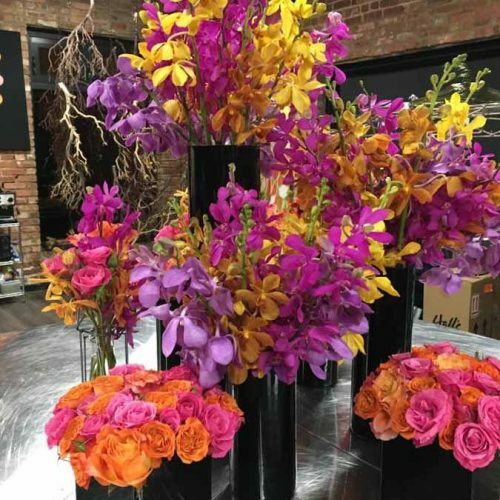 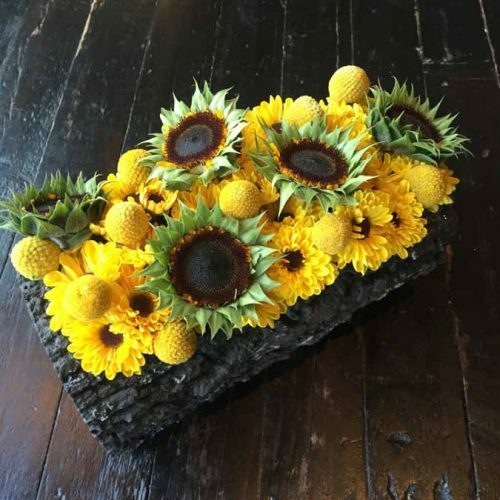 She took continuing education classes at the Art Institute and received a degree in floral design and debuted her business in 2003.
this is what they are saying. 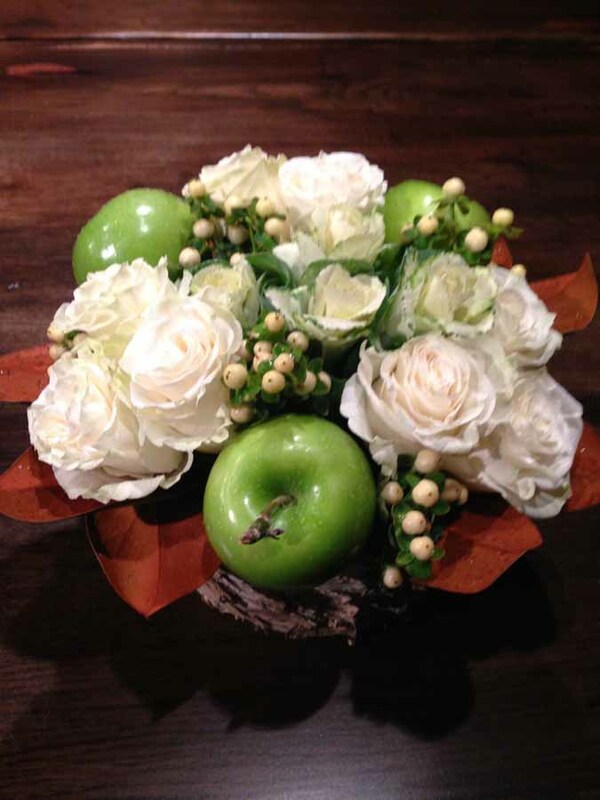 . .
Lisa is not only my florist but a long time friend. 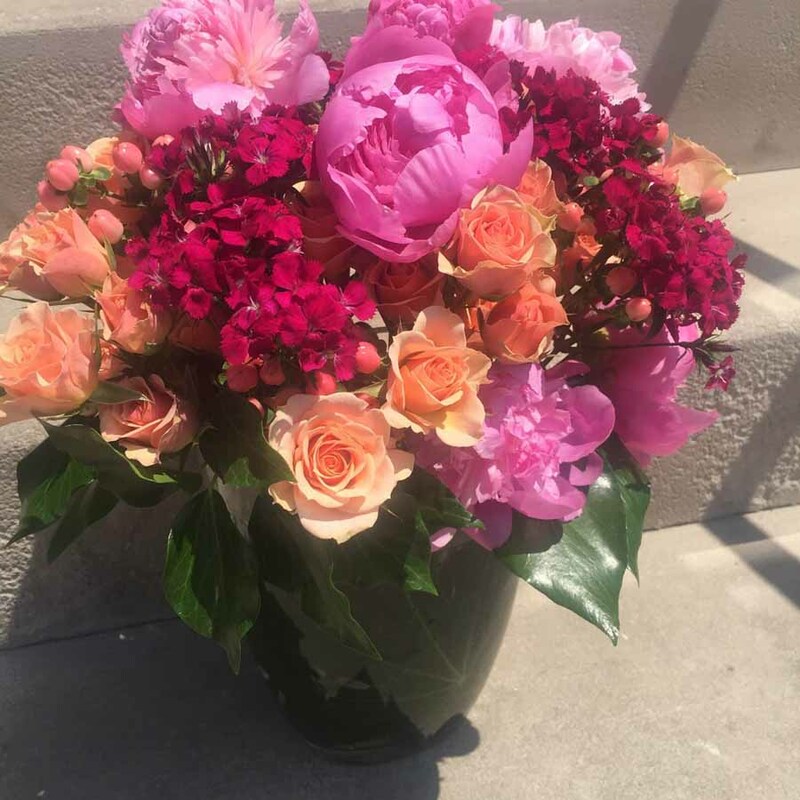 After over 12 years of working together, she still manages to surprise me with new things and always captures the whimsy and beauty I love in florals. 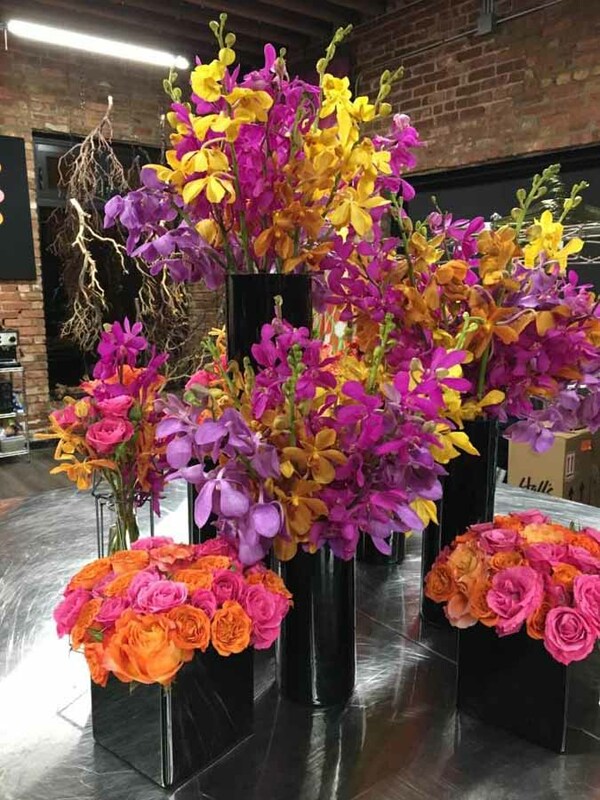 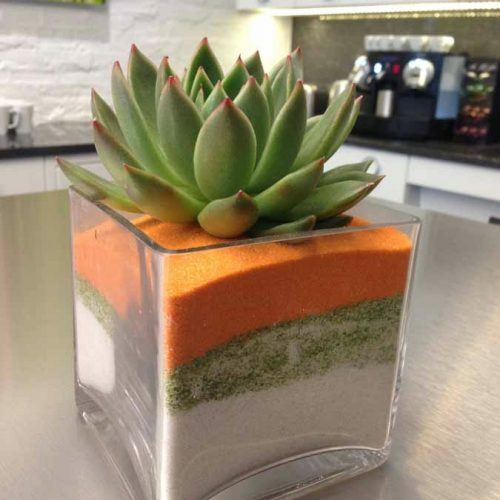 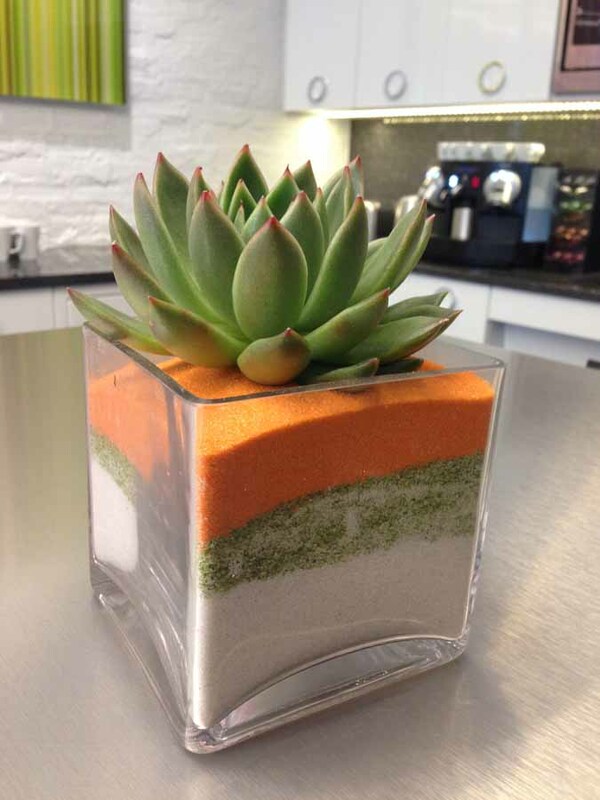 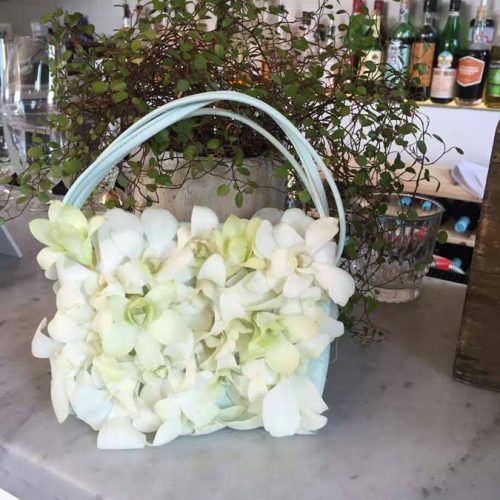 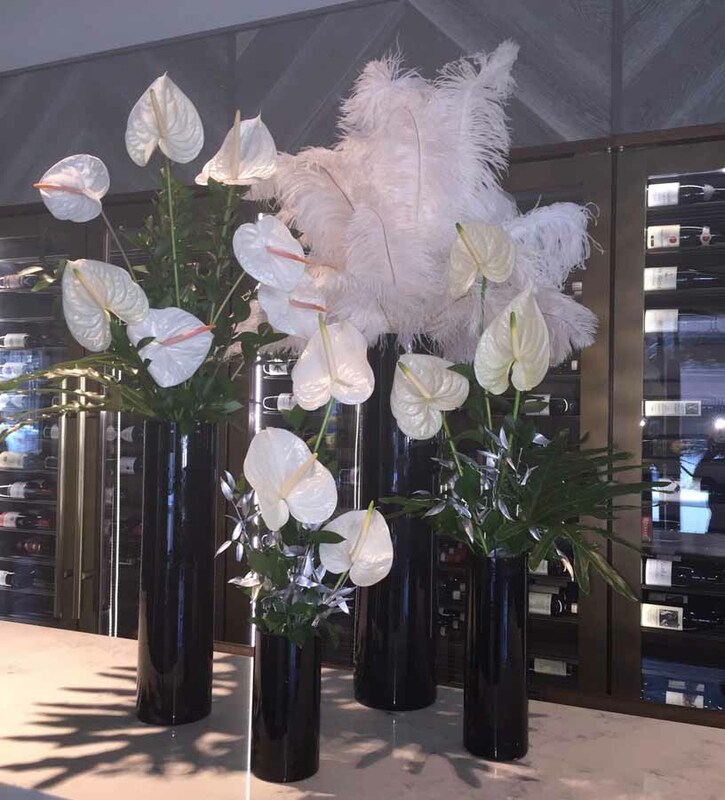 We have worked with Lisa Paul on a number of projects over the years, ranging from new restaurant openings to renovations and weekly floral. She has a wonderful overall sense of design and style. 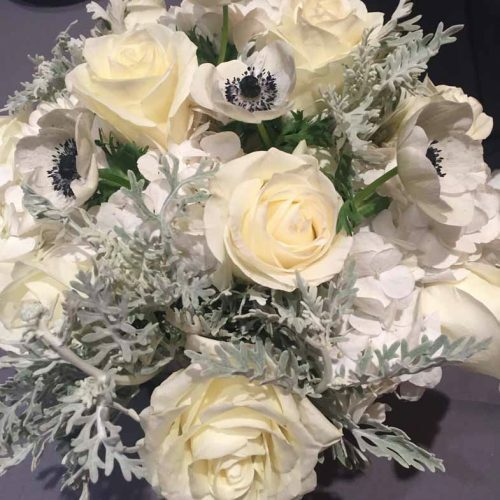 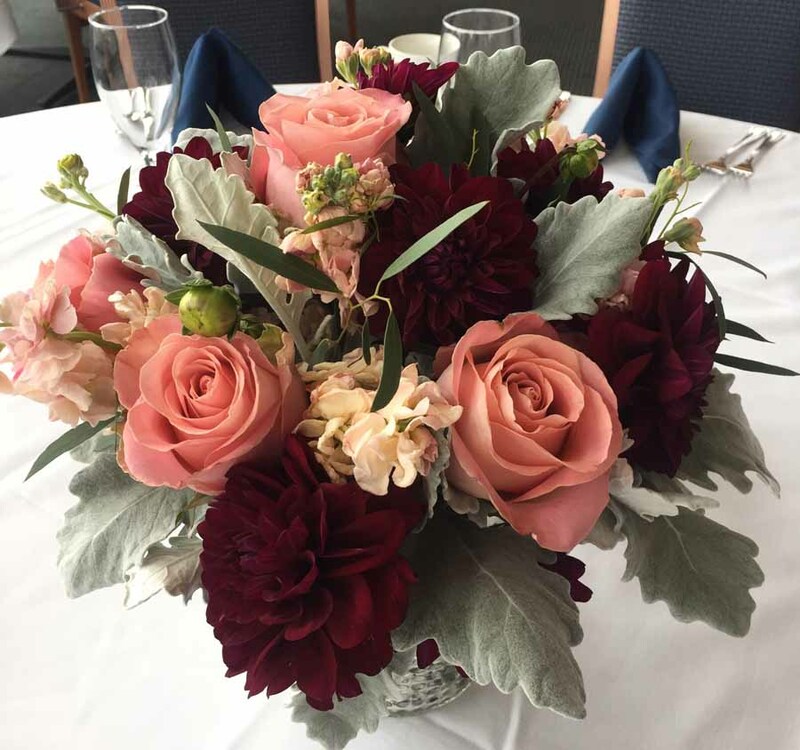 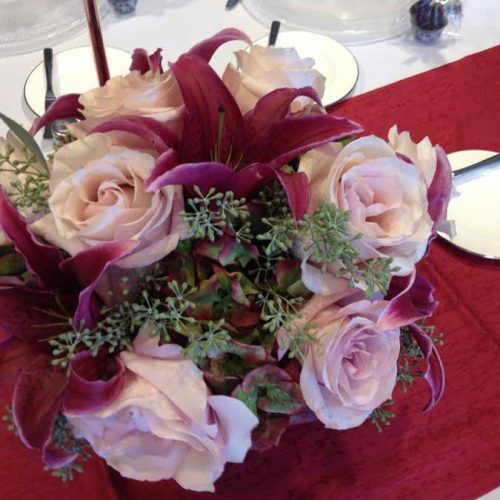 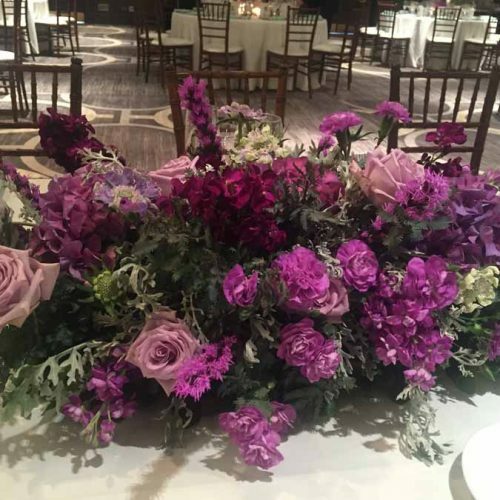 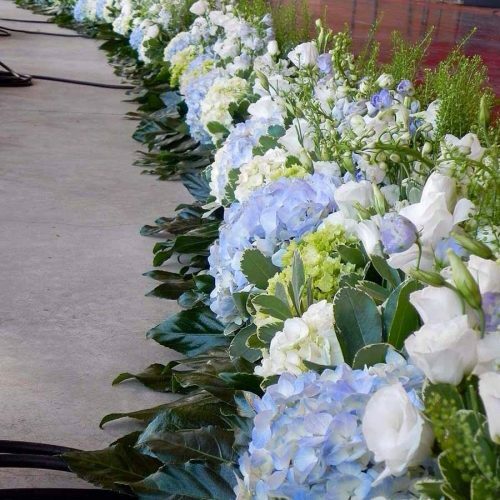 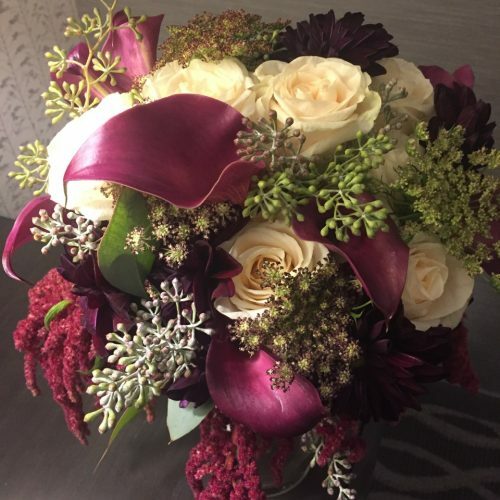 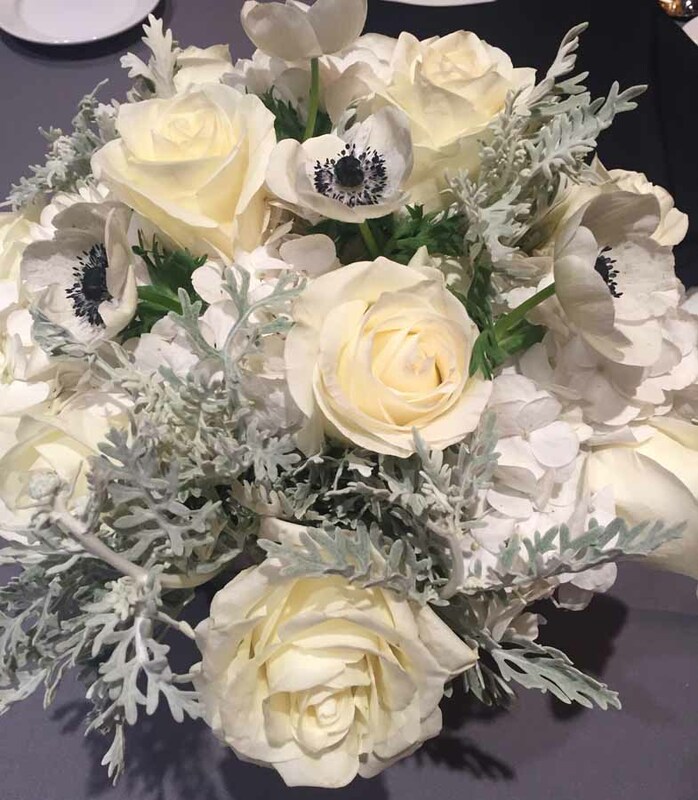 She provides creative floral for our business and has consulted on interior color coordination and other design projects. 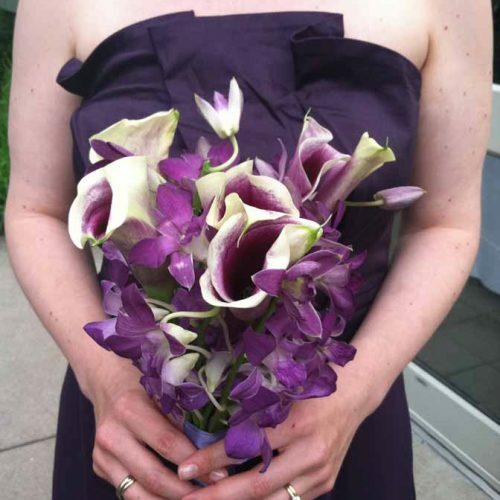 Lisa is energetic, passionate about her work and knows the value of building long-term relationships. 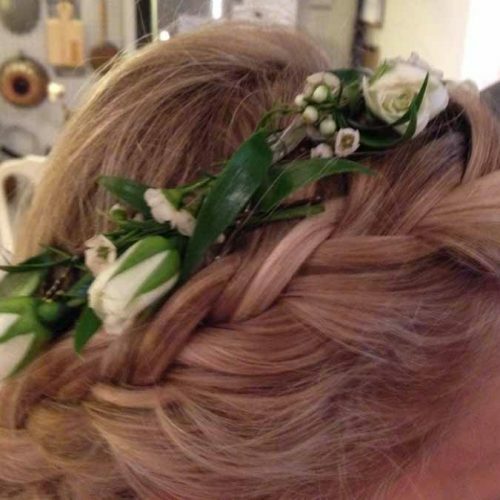 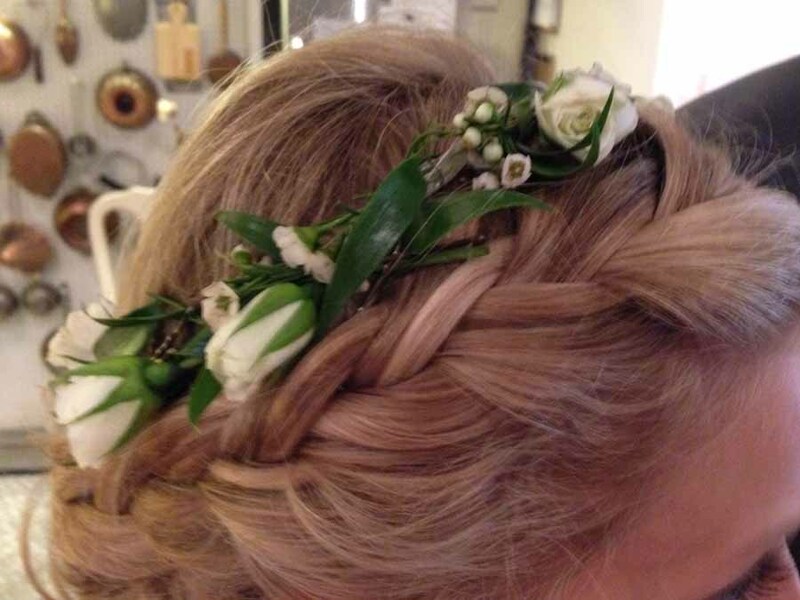 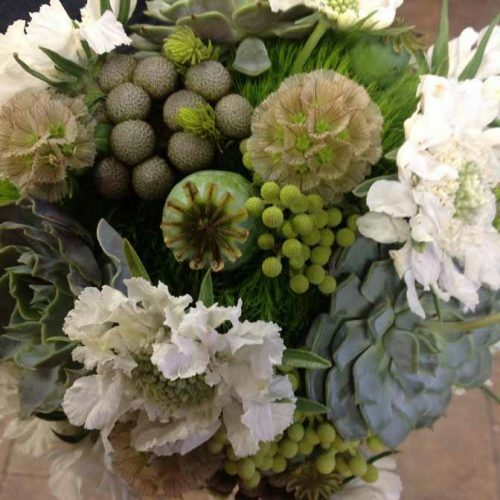 Lisa has the ability to create traditional, contemporary, dramatic and romantic designs . . whatever our clients desire. 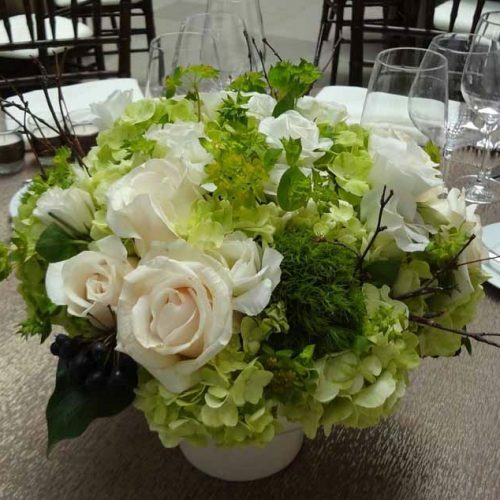 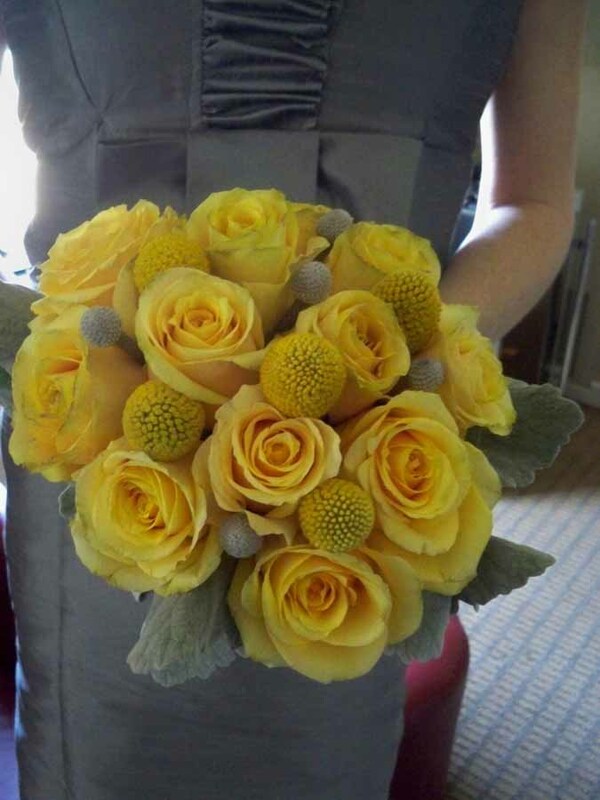 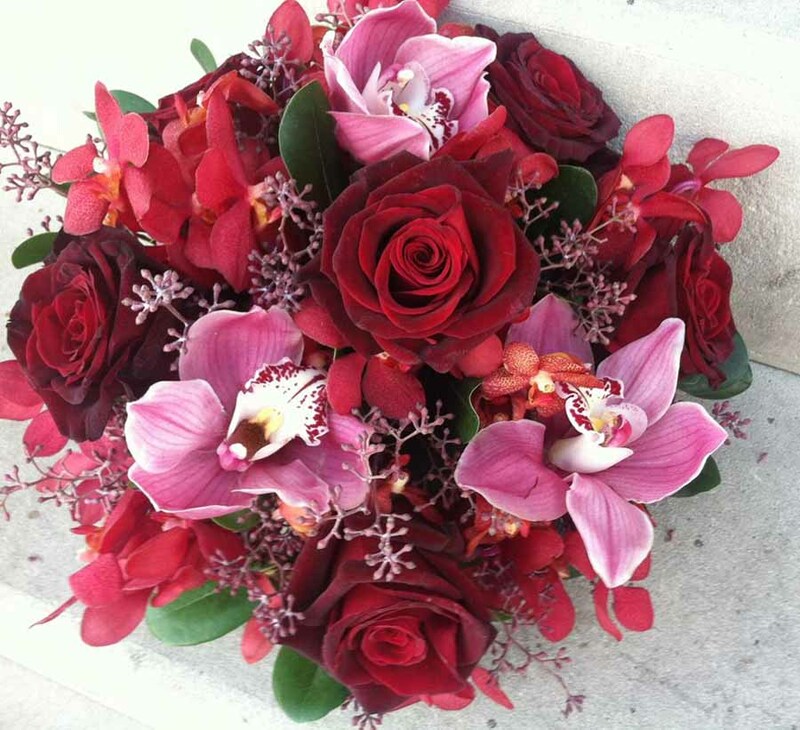 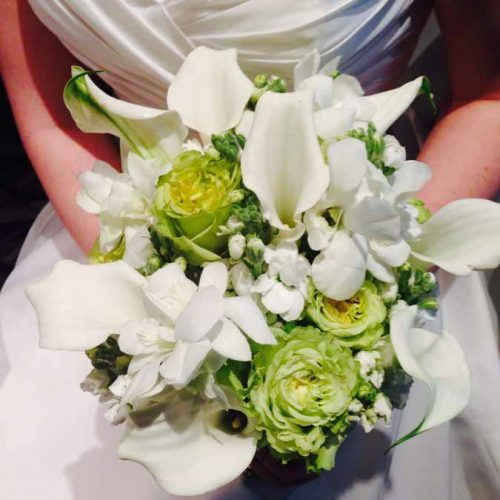 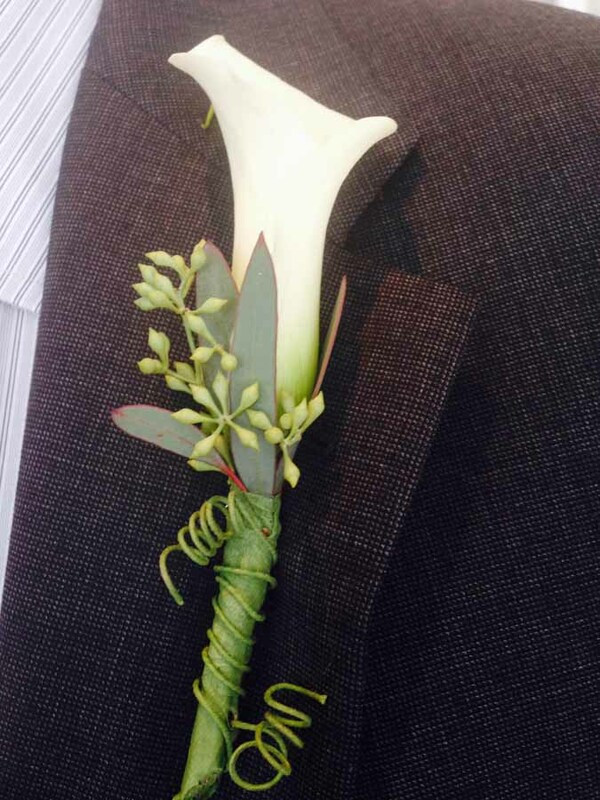 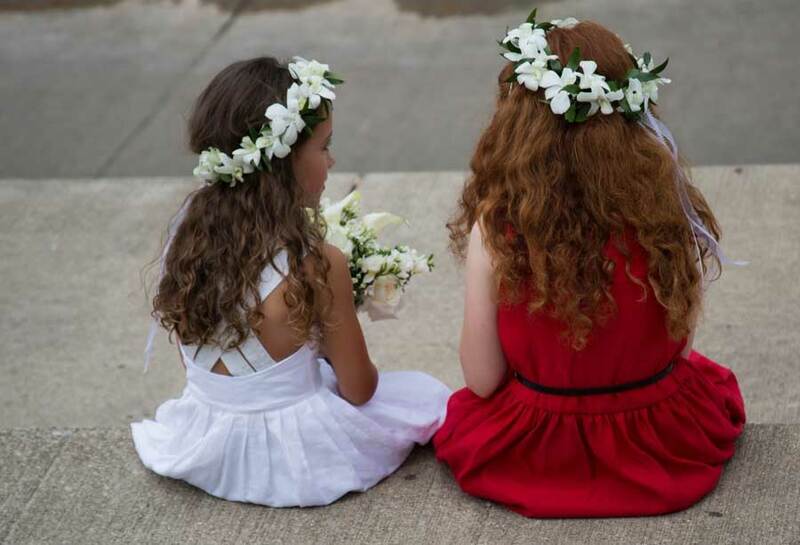 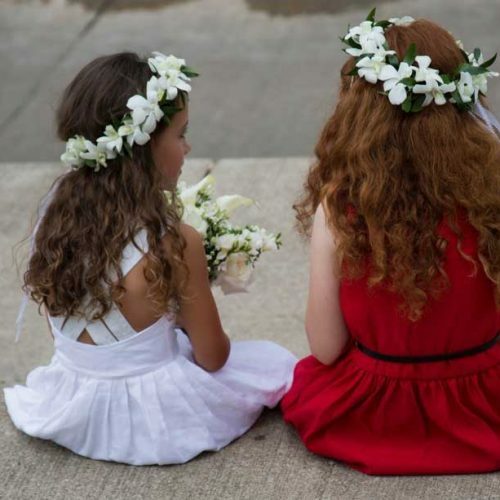 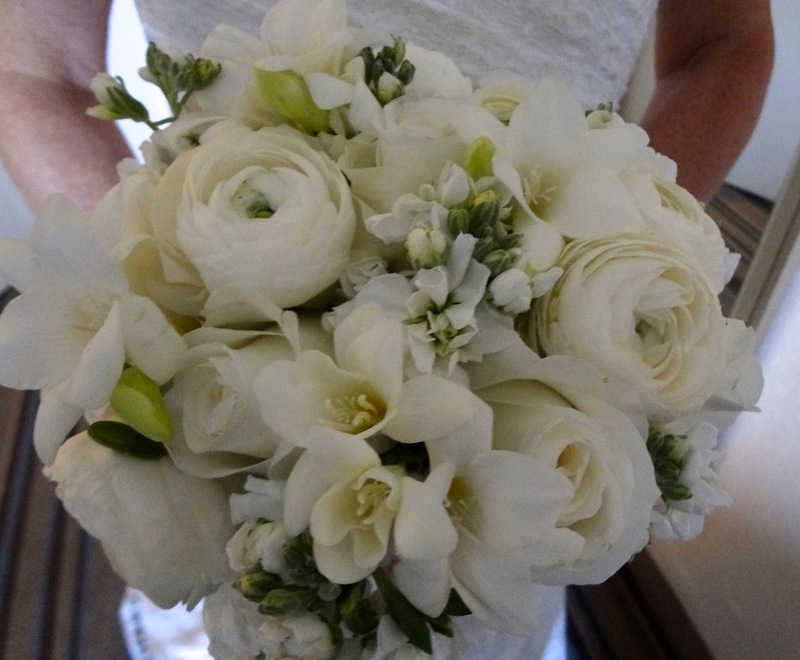 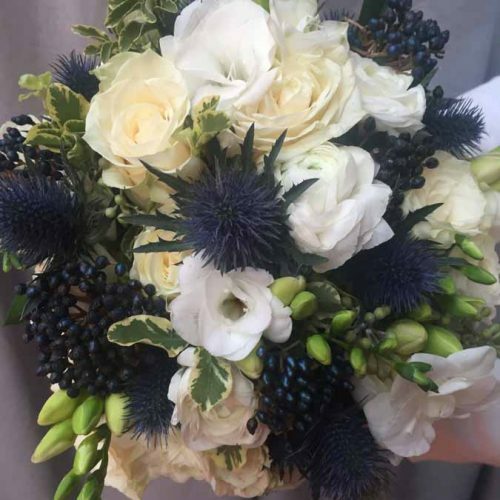 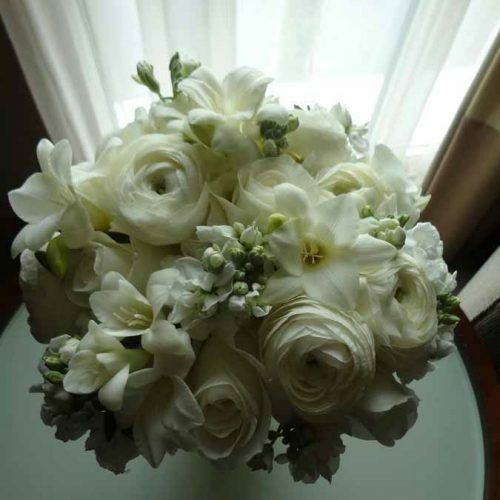 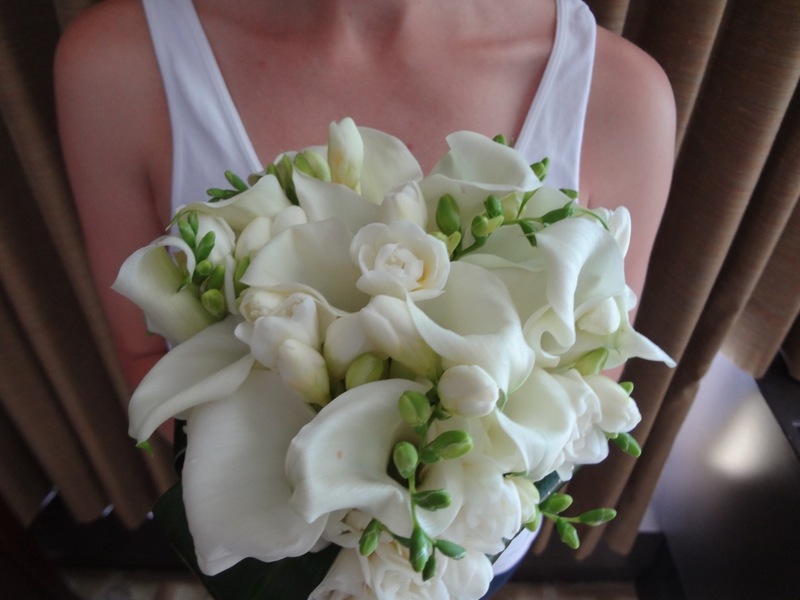 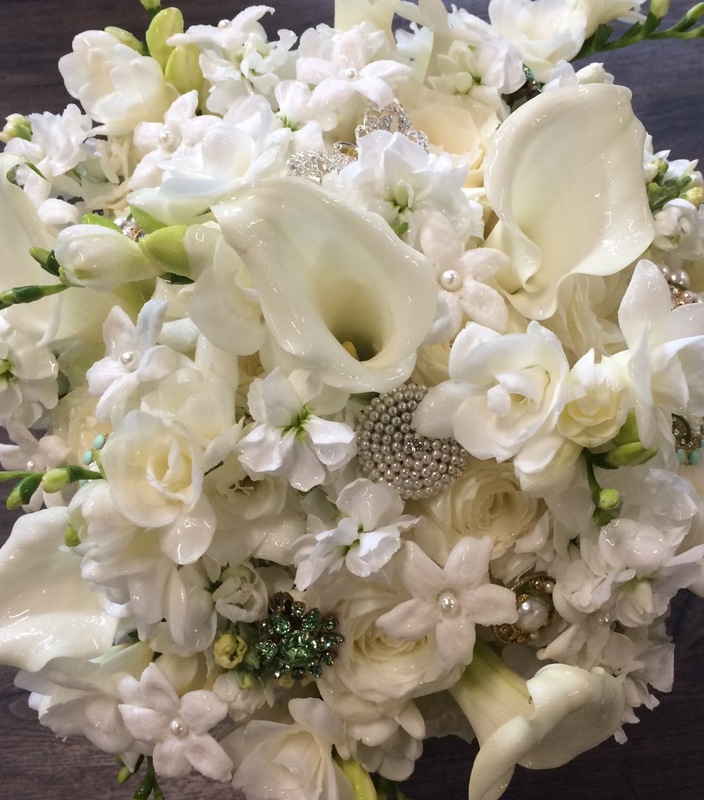 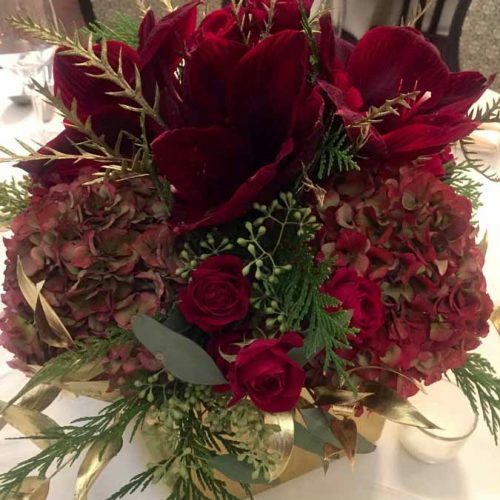 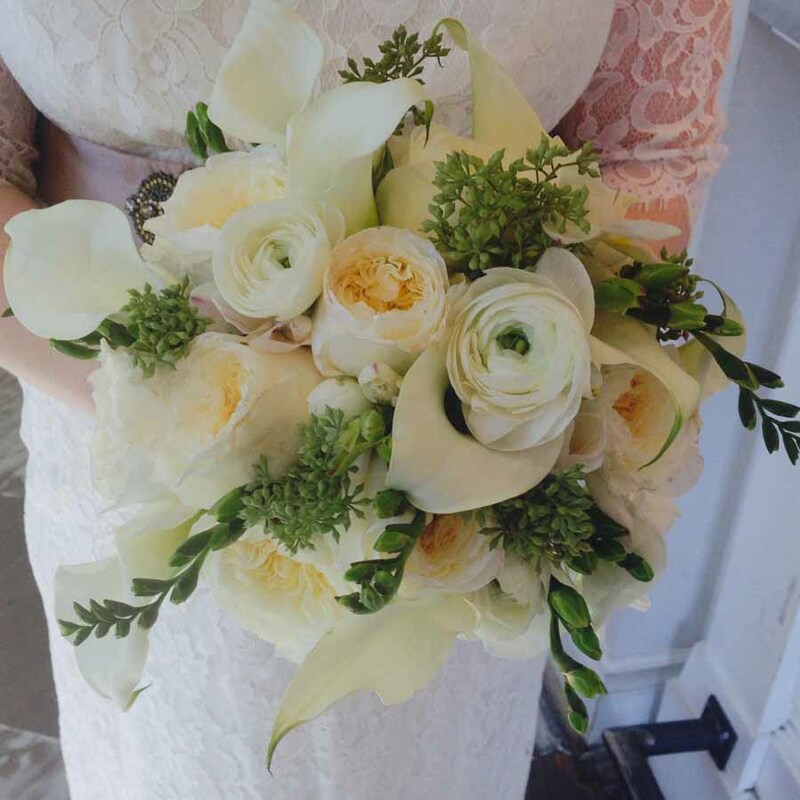 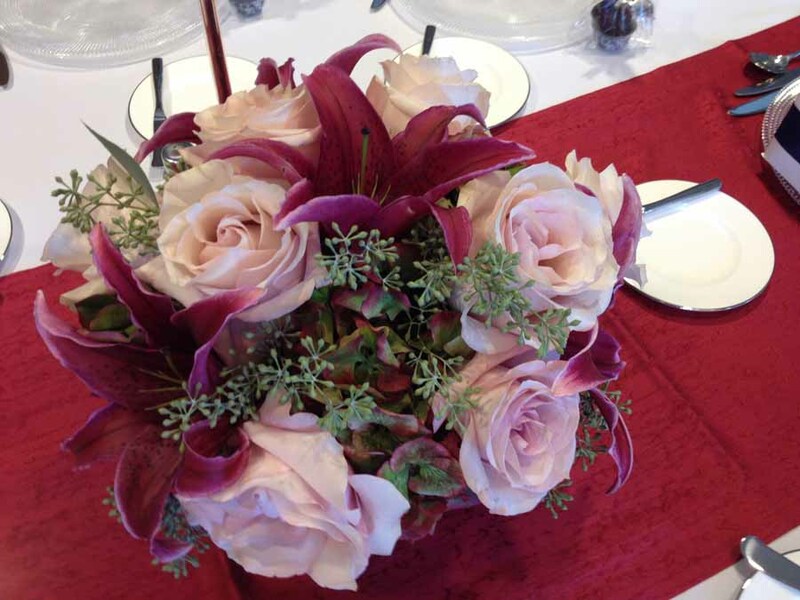 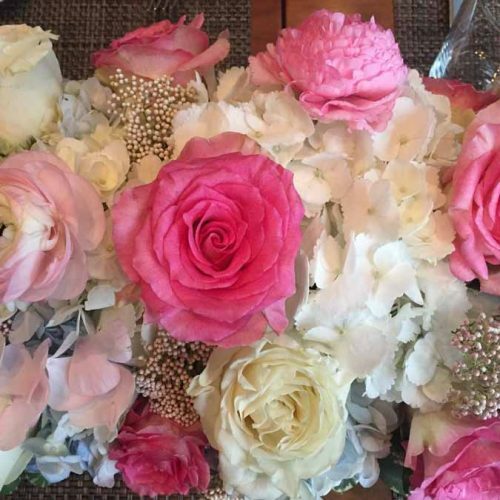 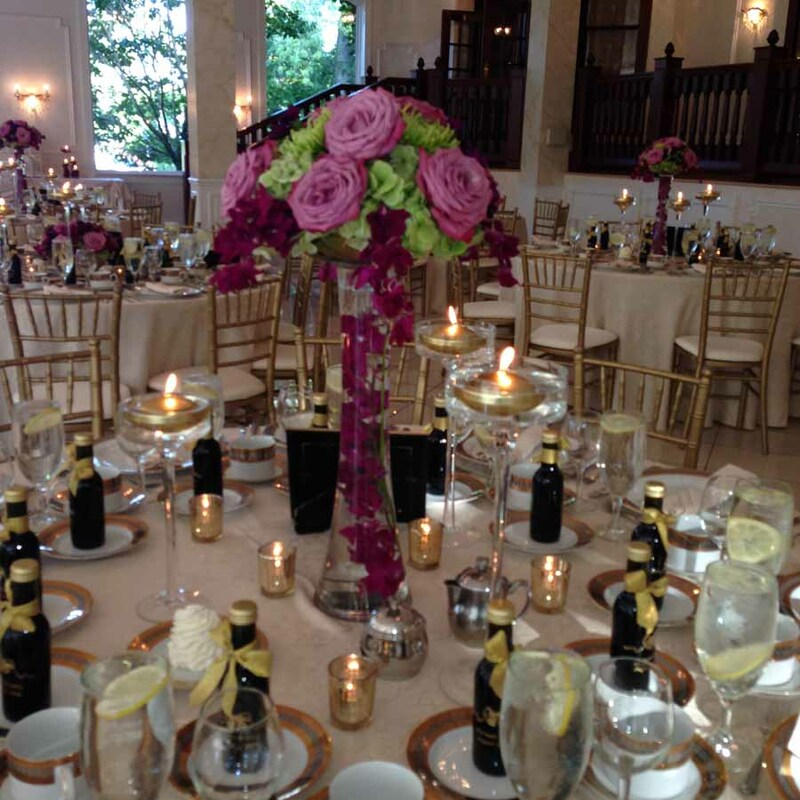 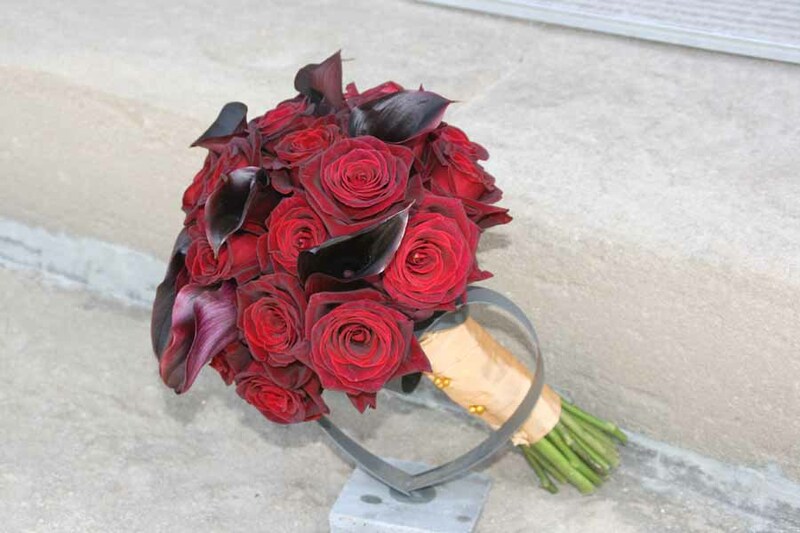 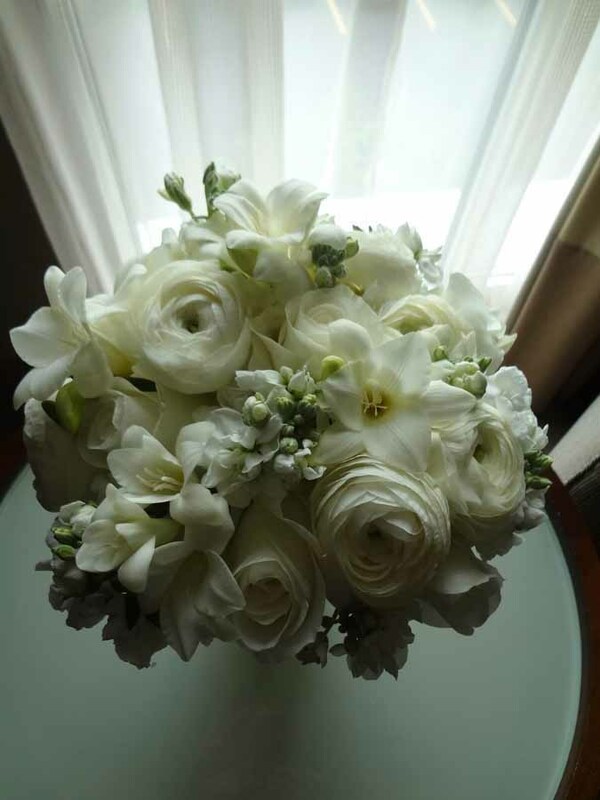 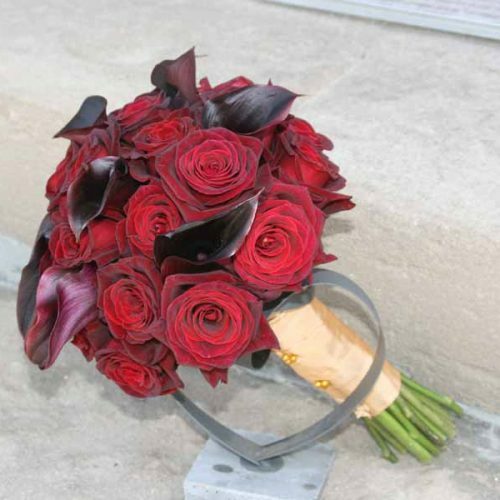 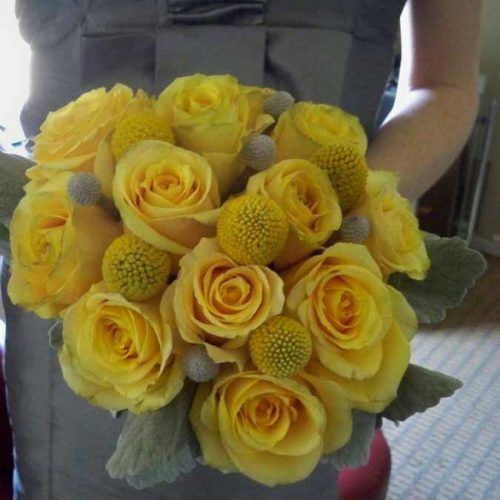 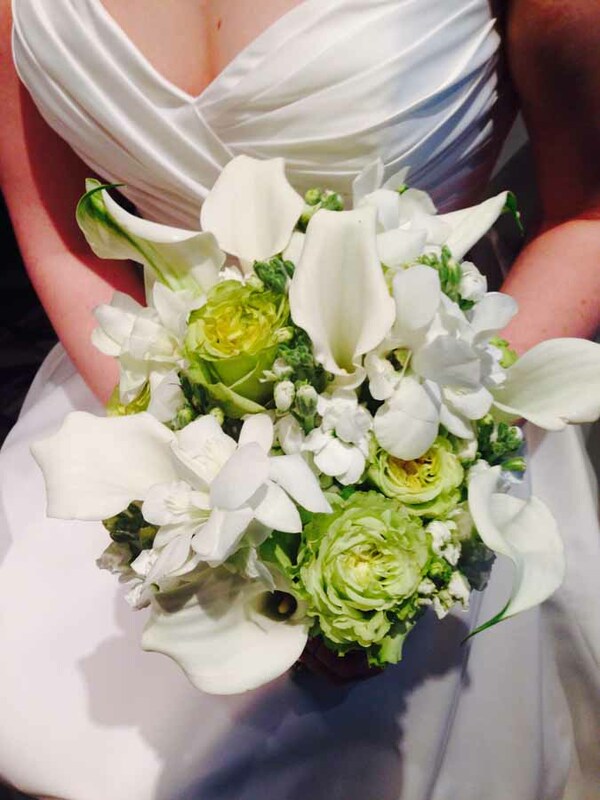 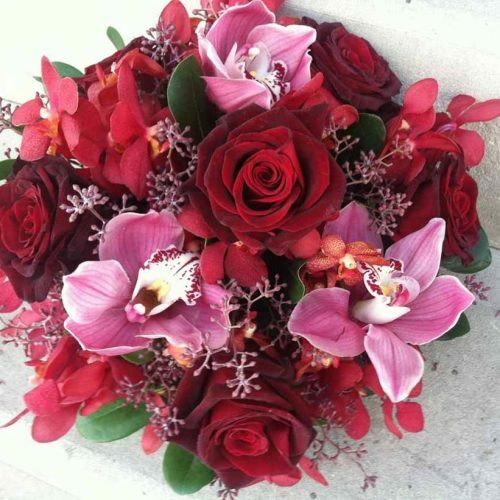 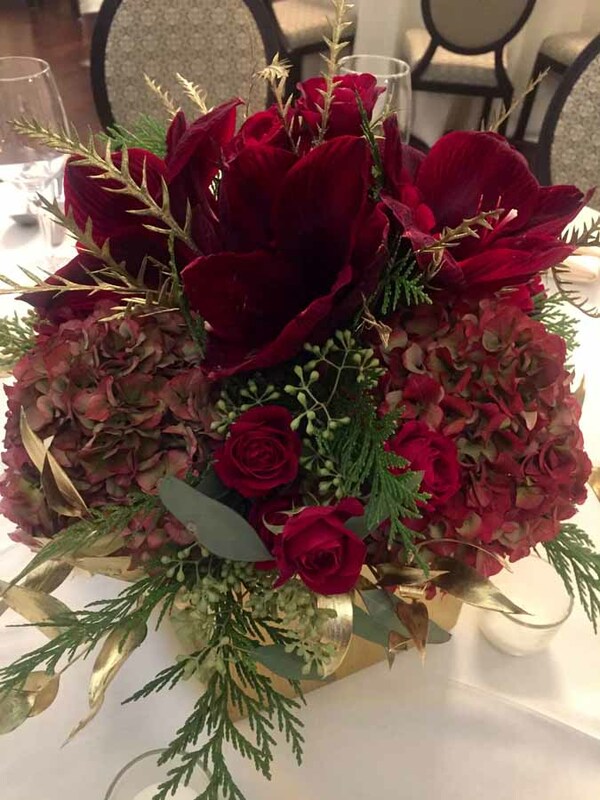 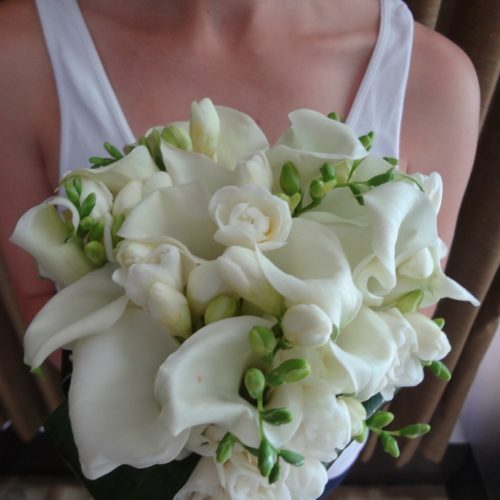 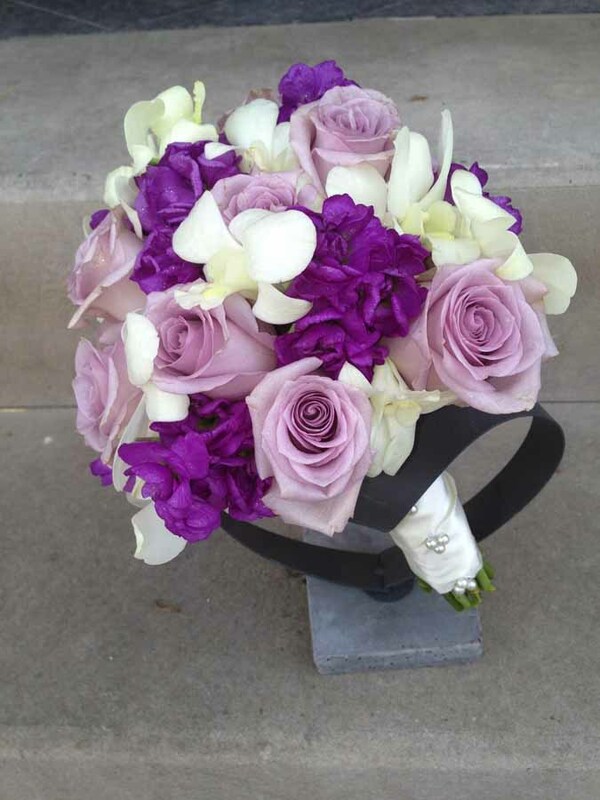 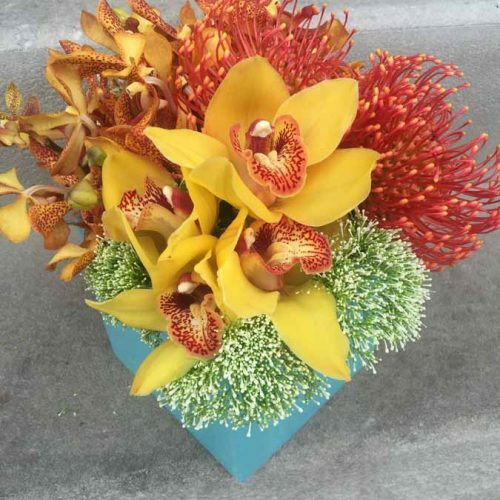 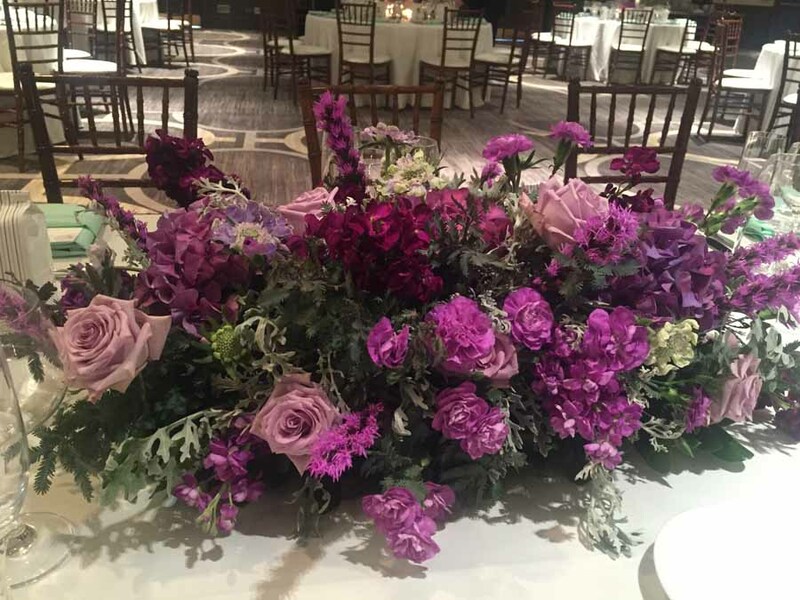 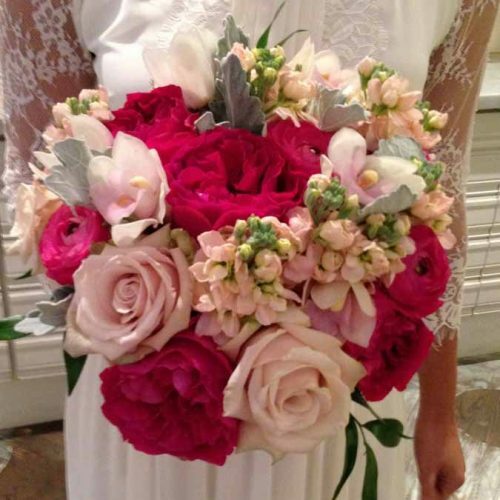 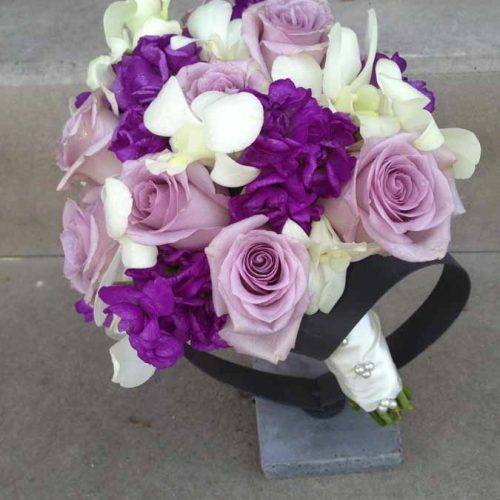 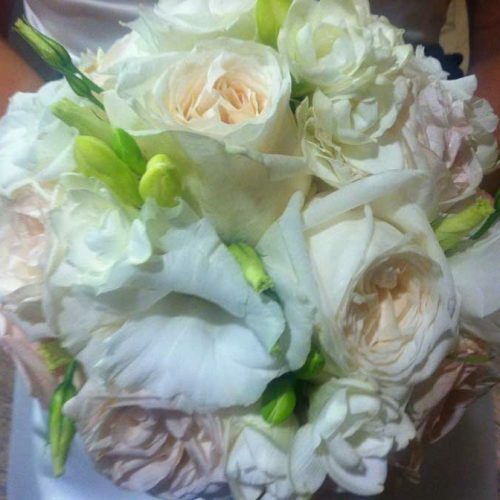 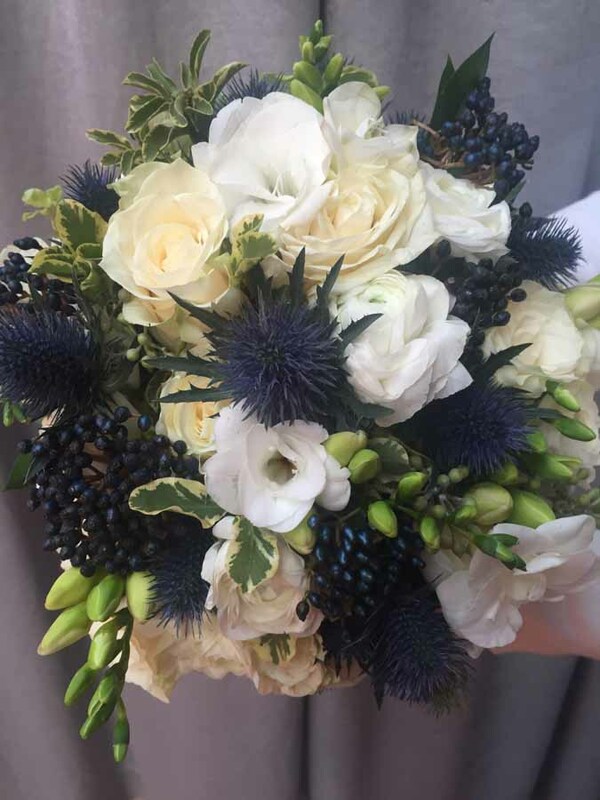 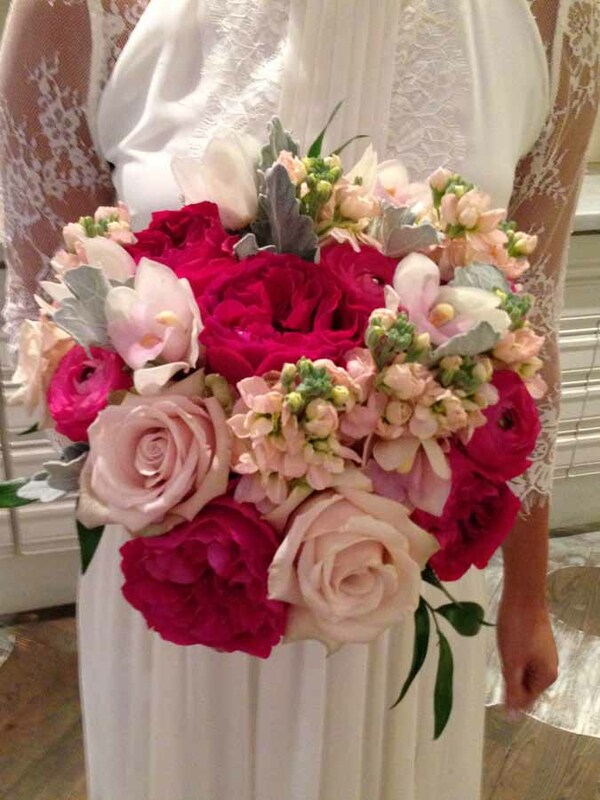 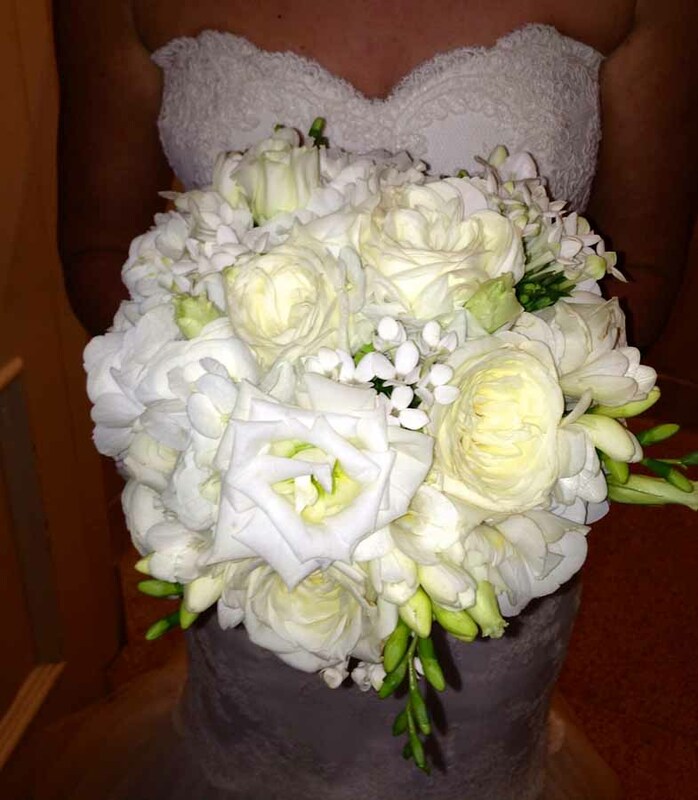 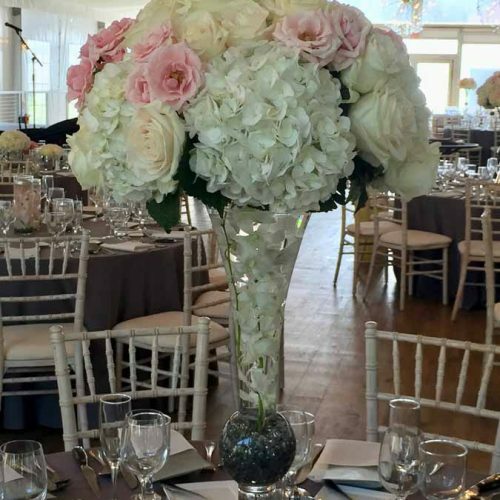 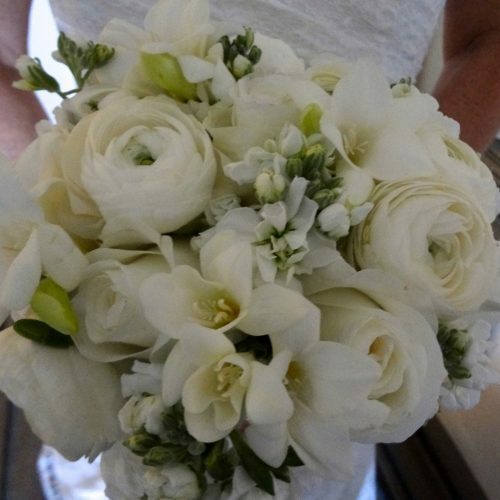 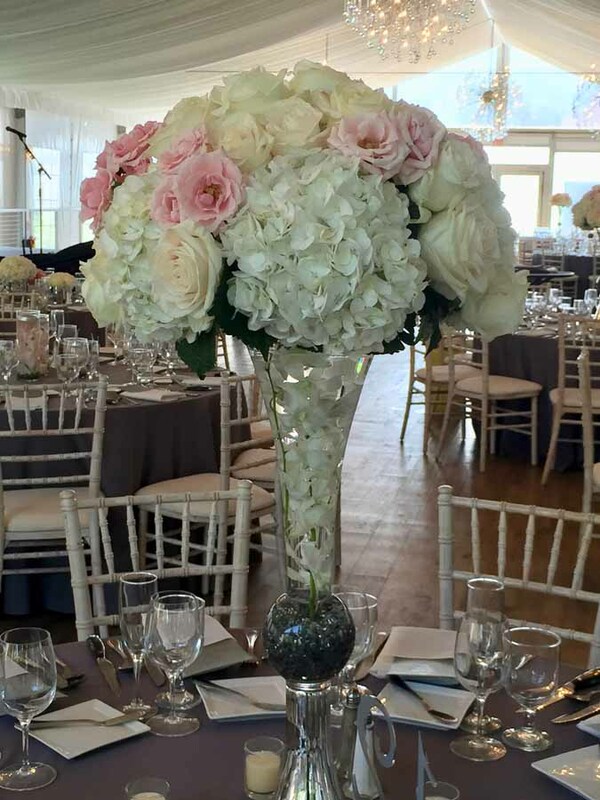 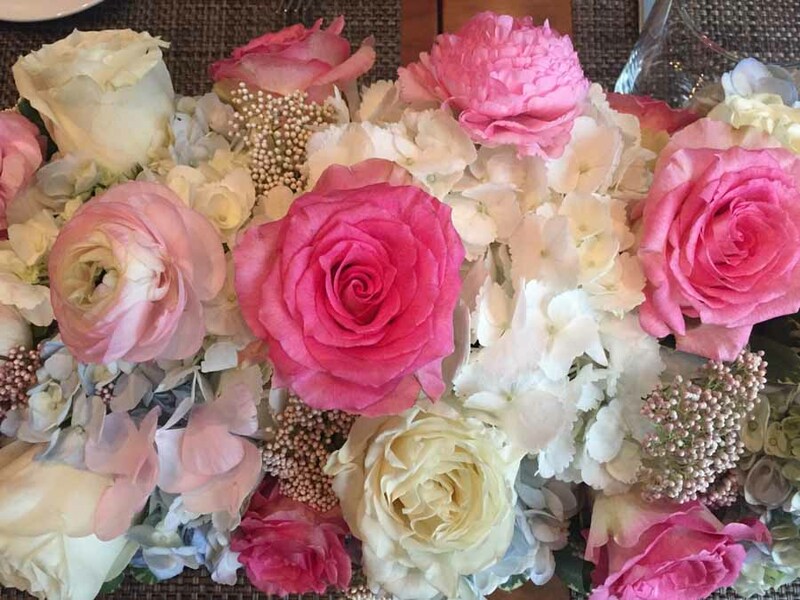 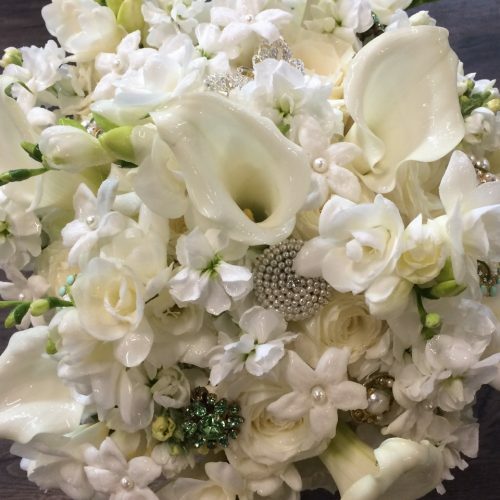 While you have myriad choices when it comes to floral designers, it is not just about the flowers. 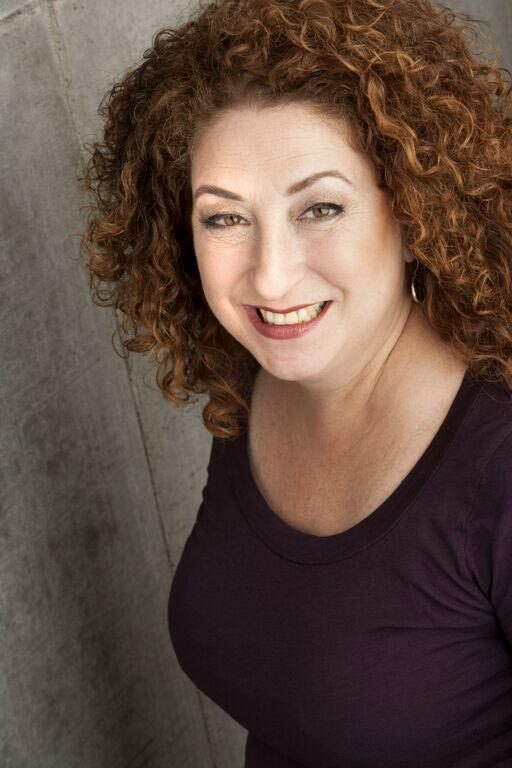 I had the good fortune of meeting Lisa Paul years ago and now cannot and will not stage an event without her. Lisa makes the difference. 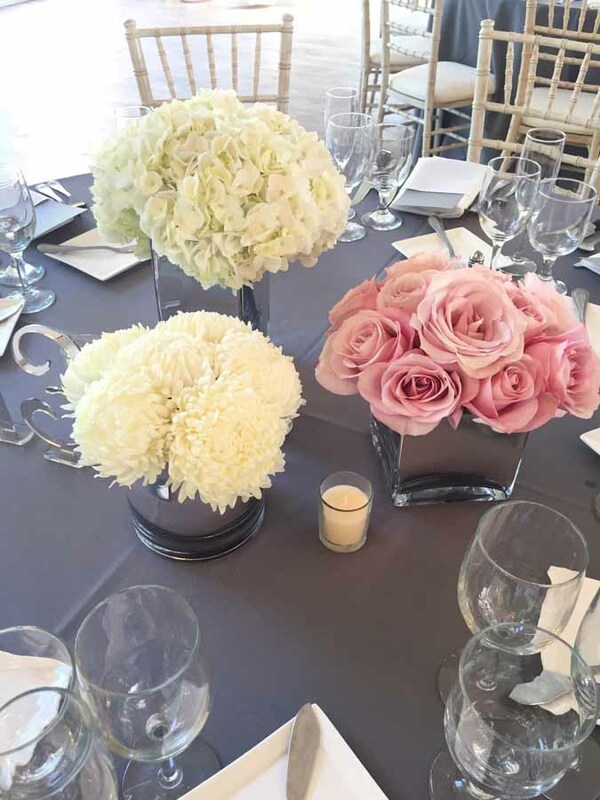 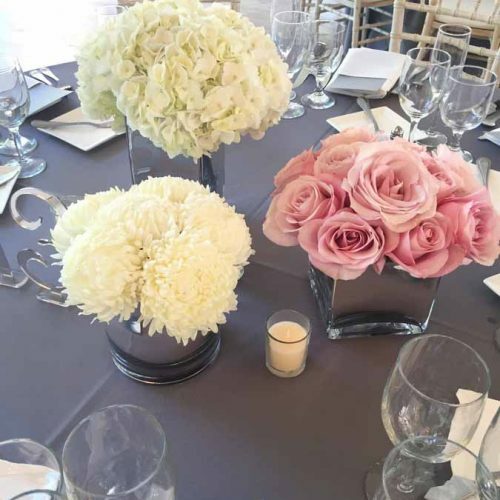 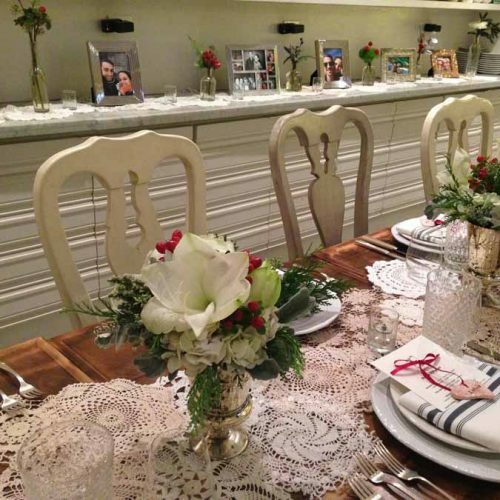 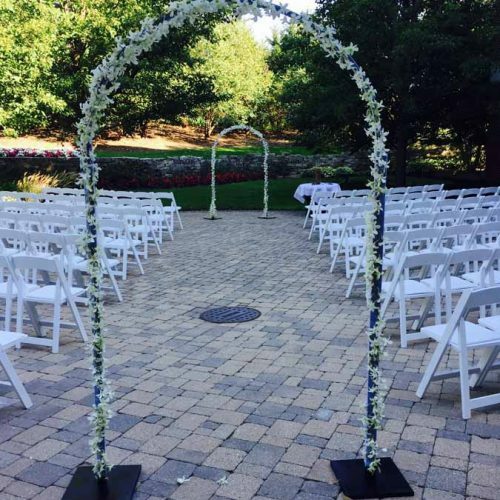 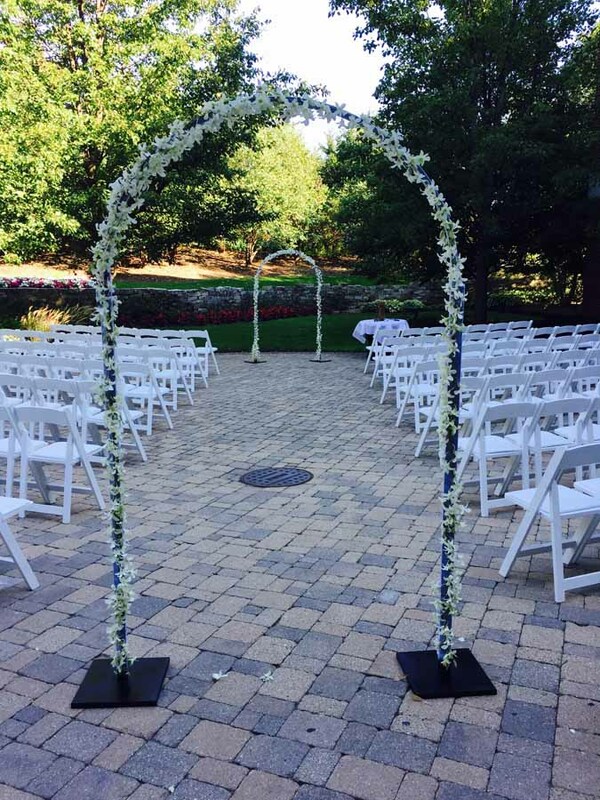 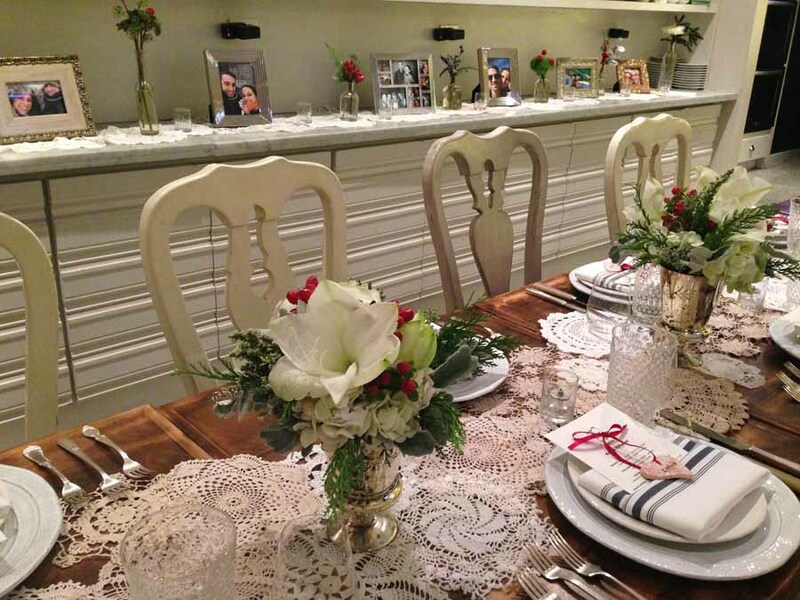 Her experience as an professional meeting and event planner, combined with her expert eye for detail and color will ensure that your event is the best that it can be. 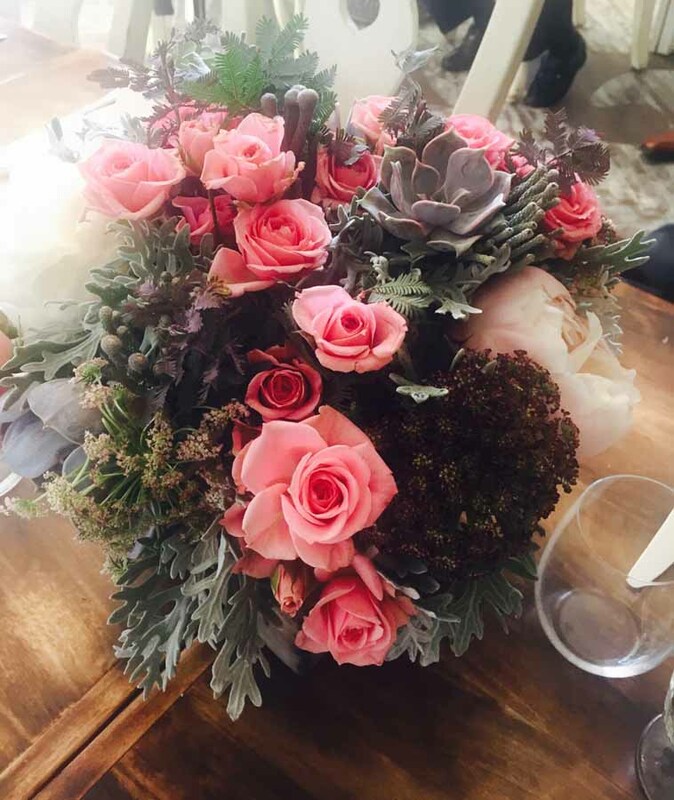 color & company without a doubt is the best floral company around. 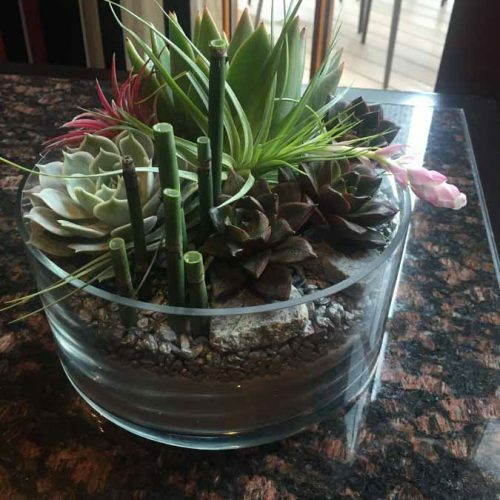 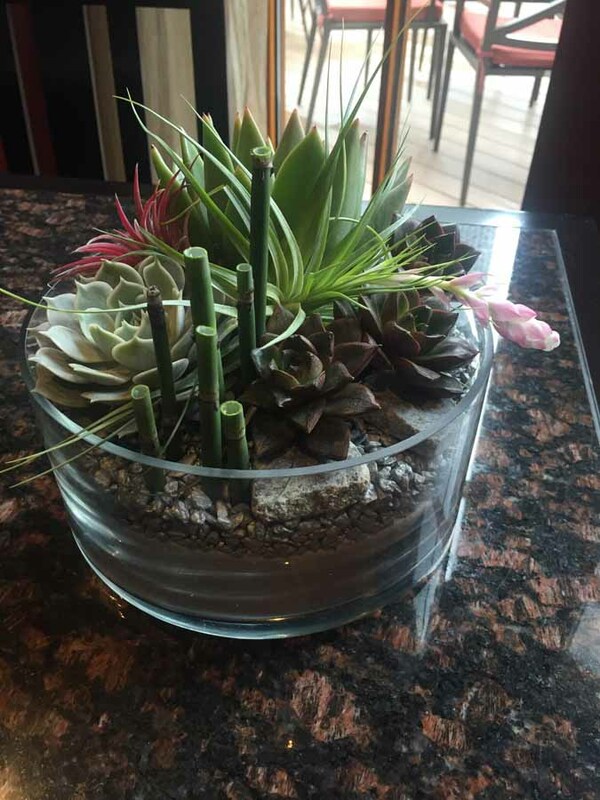 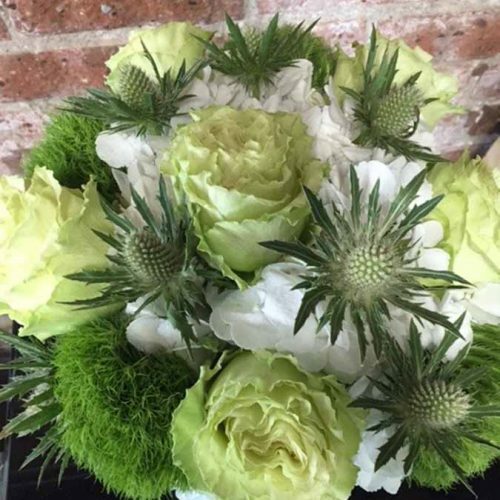 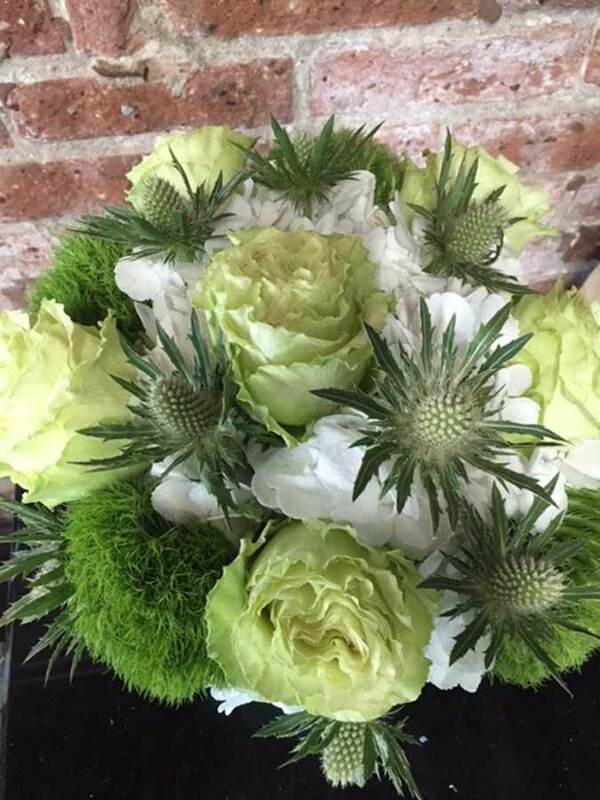 Lisa, the owner always adds her personal touch on every arrangement. 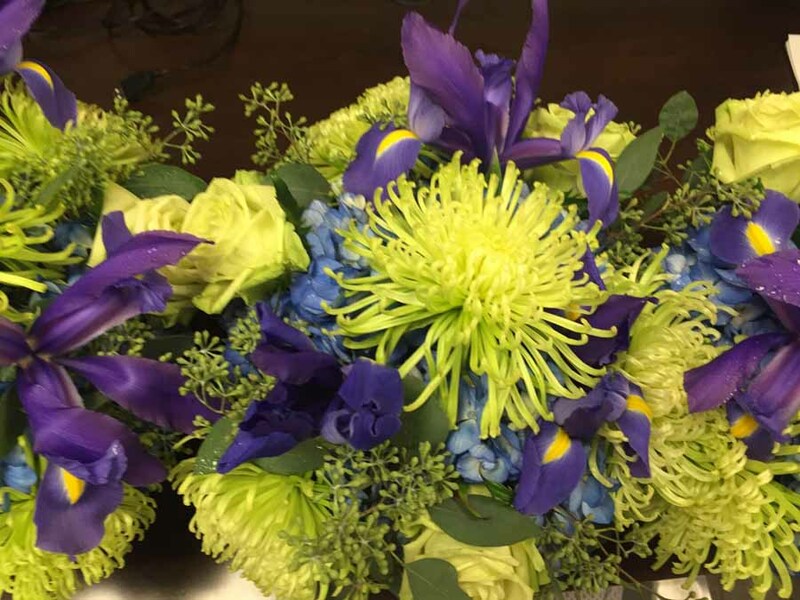 She makes you feel like you are the most important client she has. 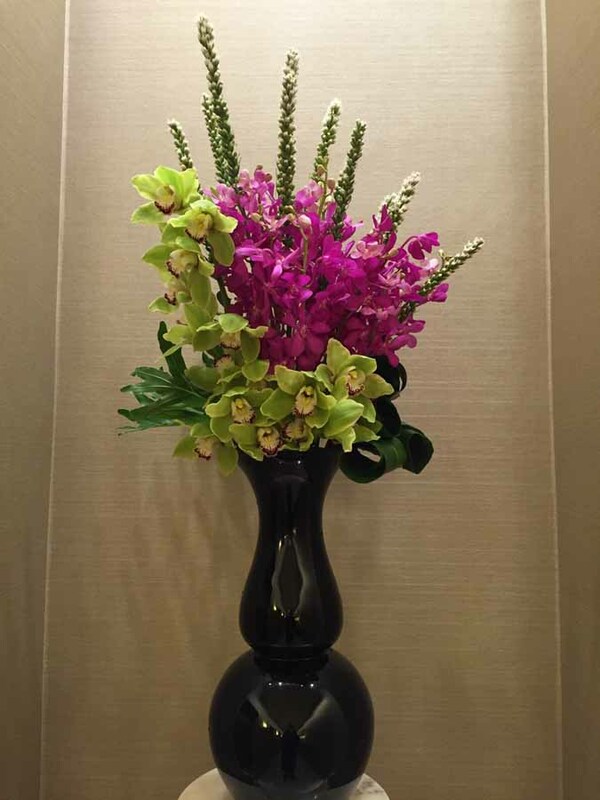 I have never been disappointed with their arrangements and neither have my clients. 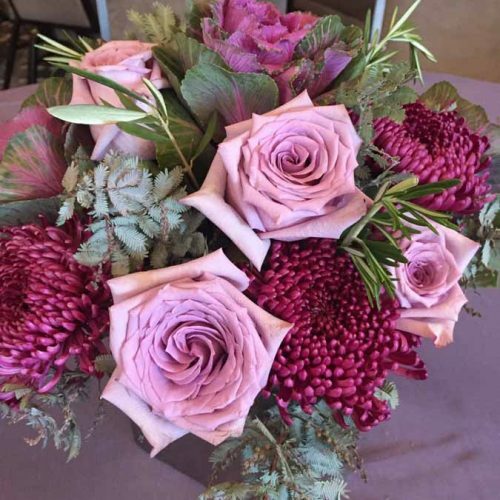 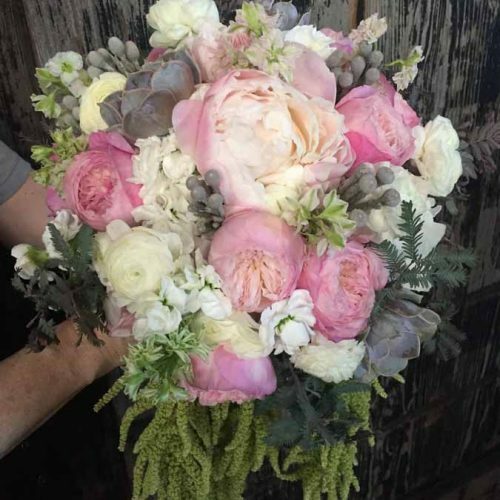 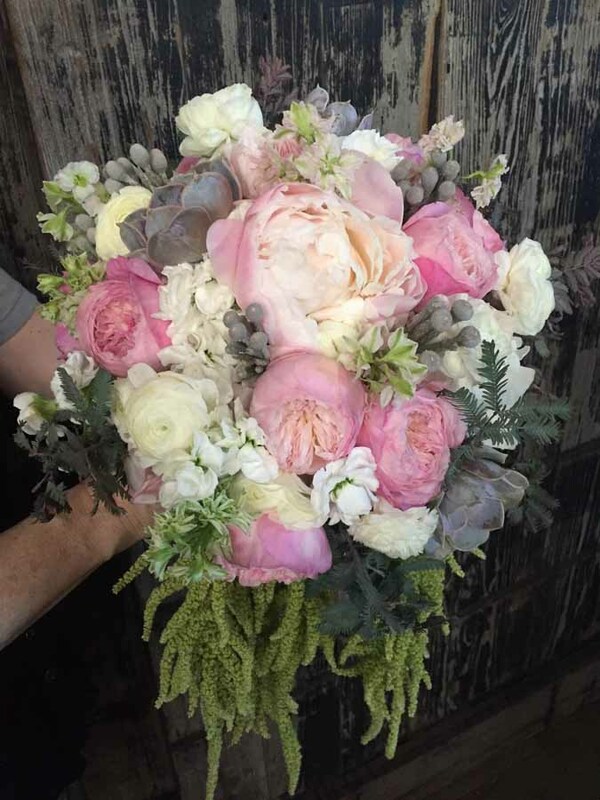 color & company will always be my go to for unique, creative floral design. 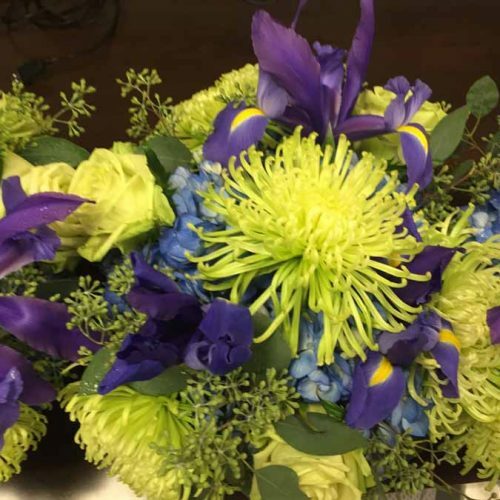 The show stopping arrangements color & company delivers on a weekly basis are always a topic of conversation amongst the residents. 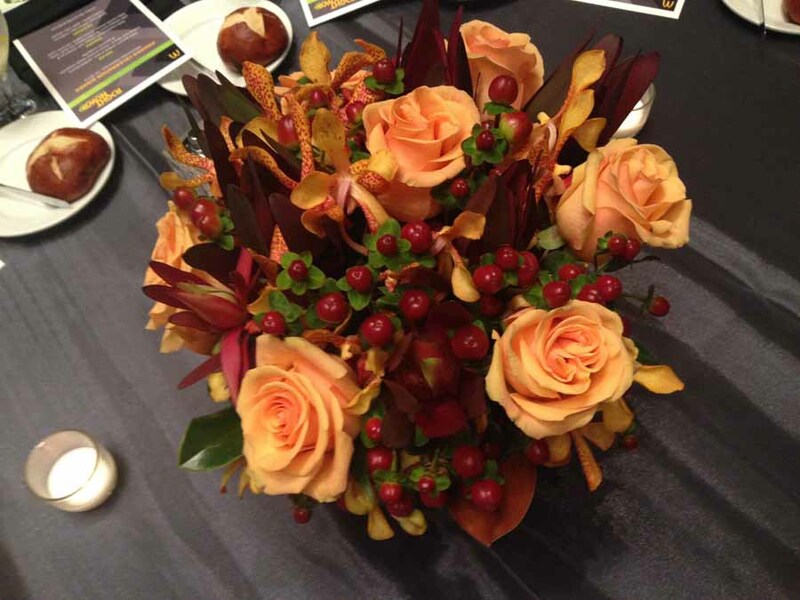 color & company does a phenomenal job at putting together designs that wow everyone. 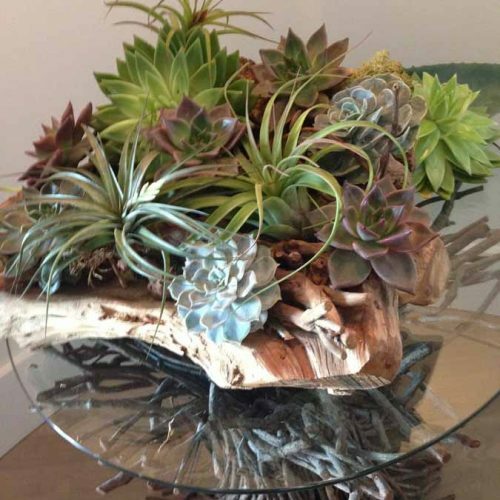 Lisa and her Team are very responsive and detail oriented, and I would recommend them to anyone. 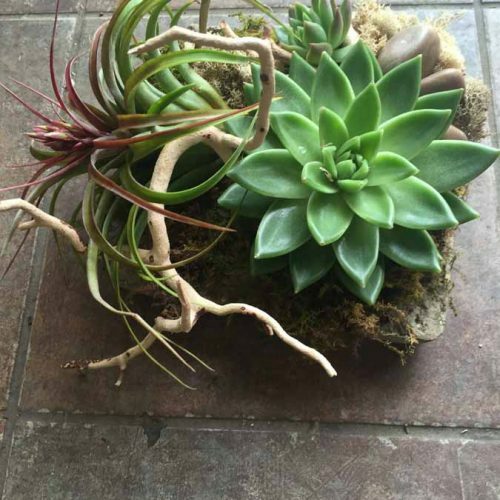 We can’t wait to get them into more of our buildings. 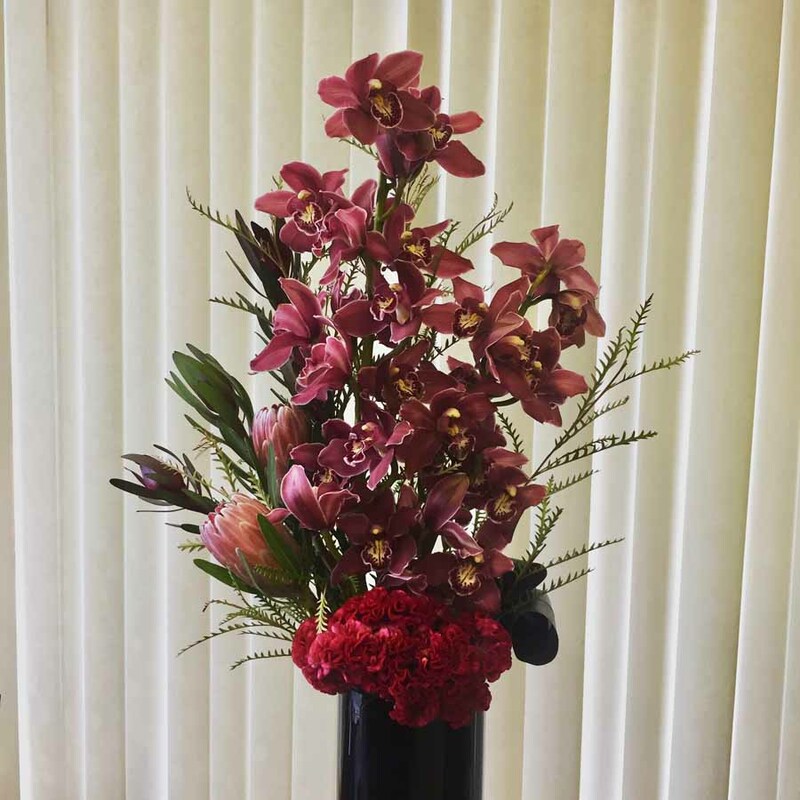 we bring your vision to life . 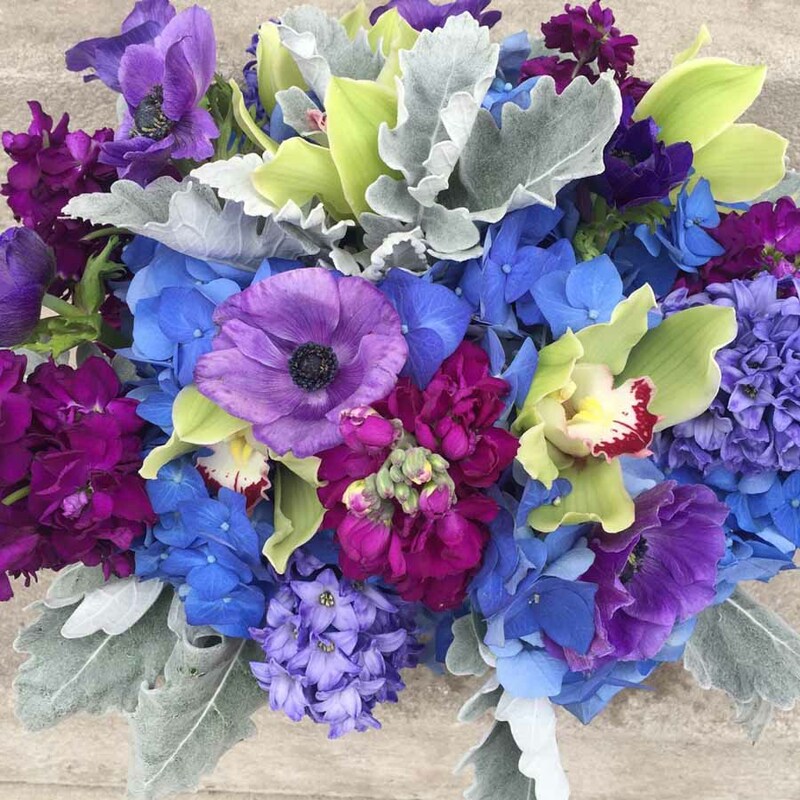 . .
© 2019 color & company.... color & company...etc all rights reserved.